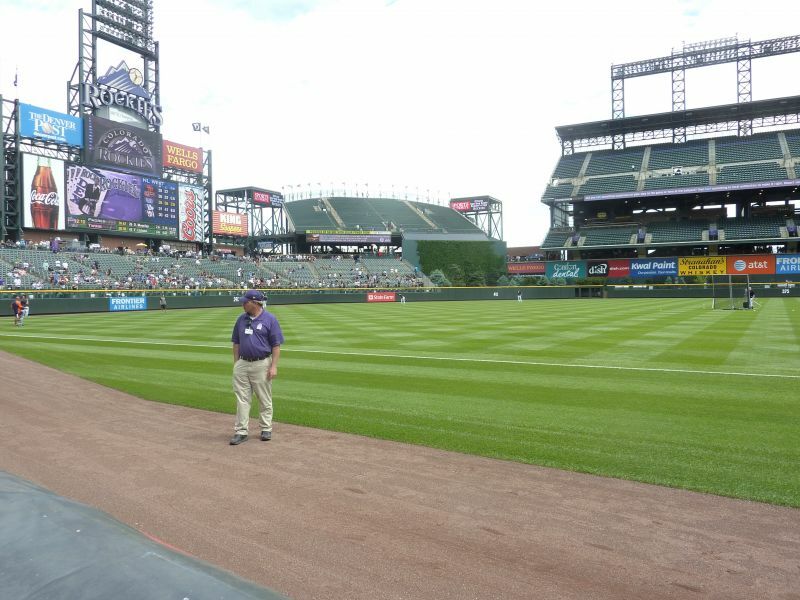 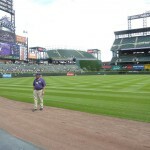 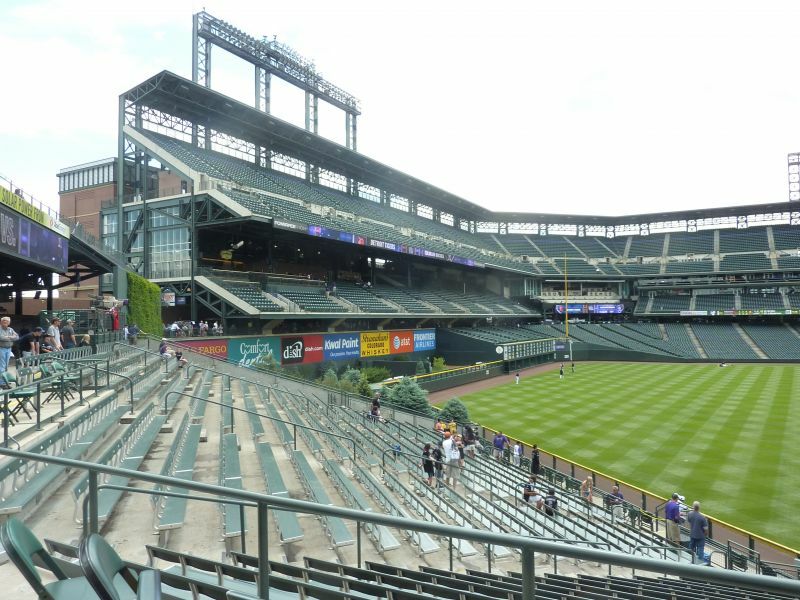 IMPORTANT NOTE: While the content, review, ratings, and ranking will mostly stay the same, some information will be updated based on my 2018 trip to Coors Field. 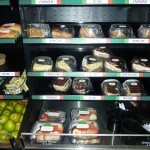 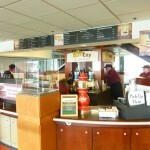 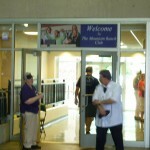 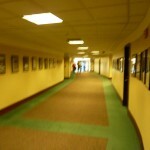 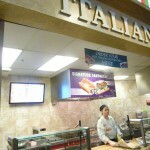 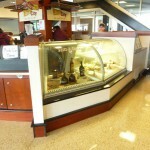 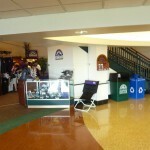 All new photos will be added as well. 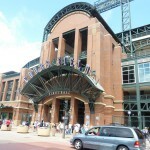 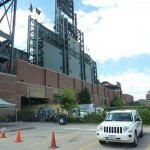 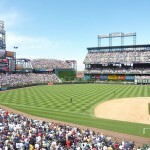 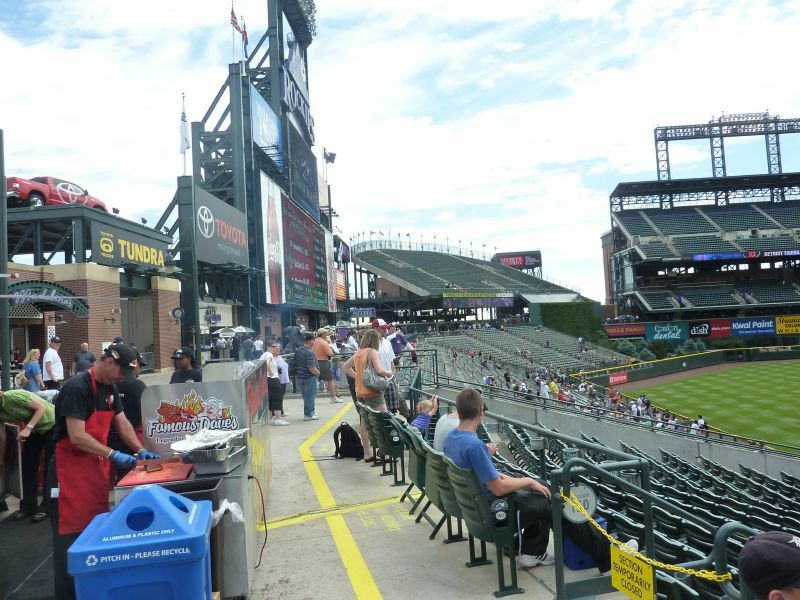 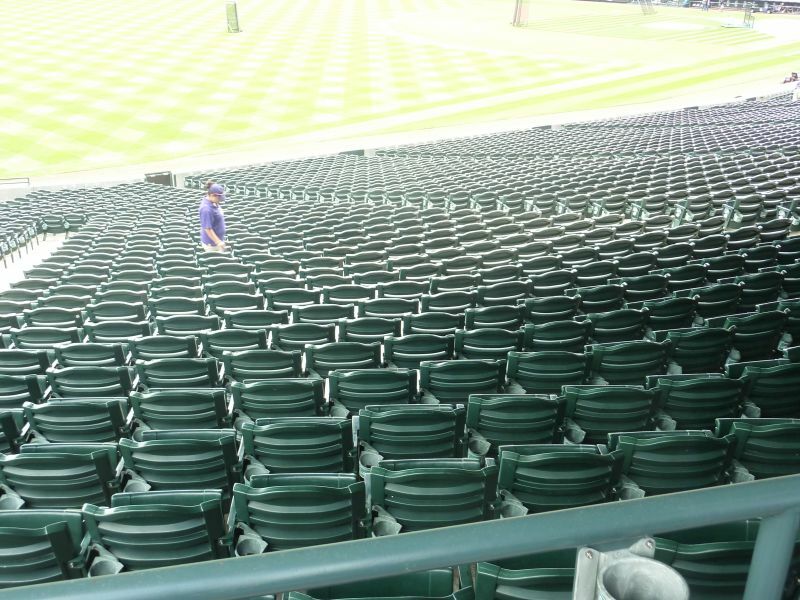 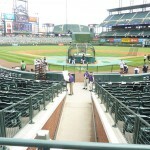 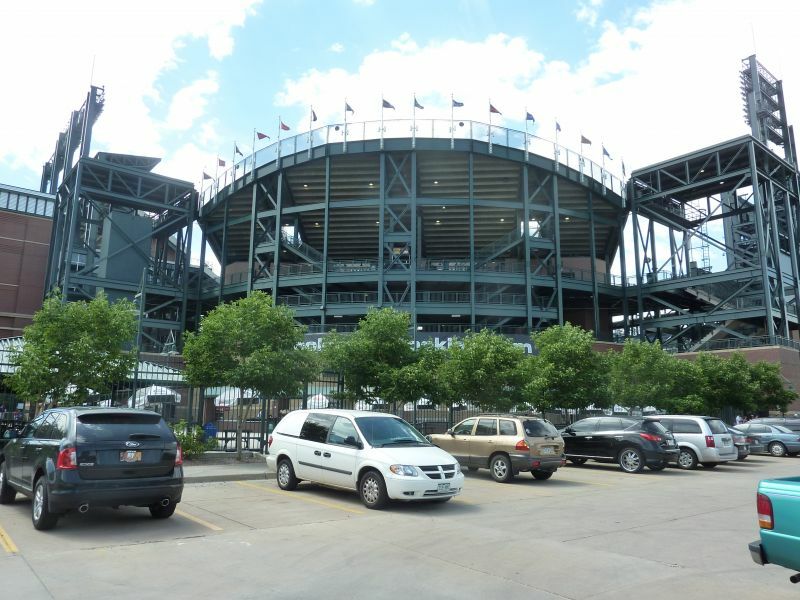 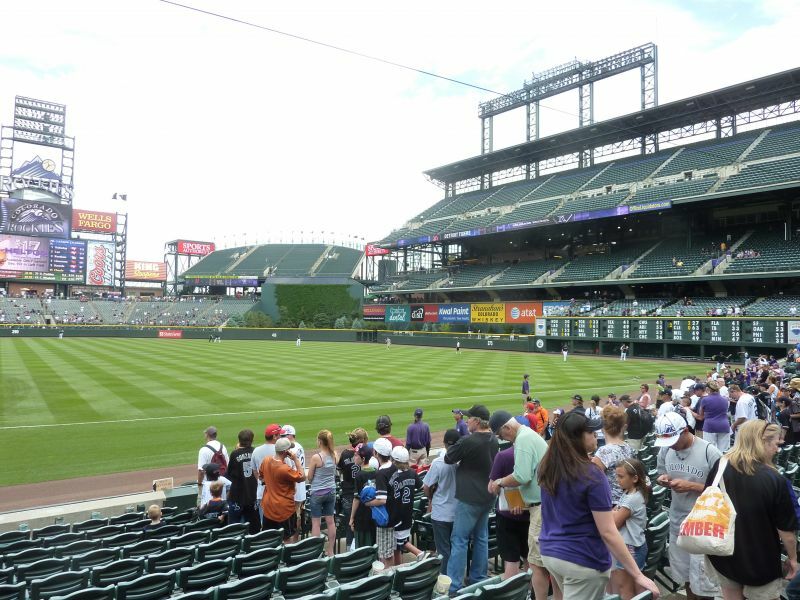 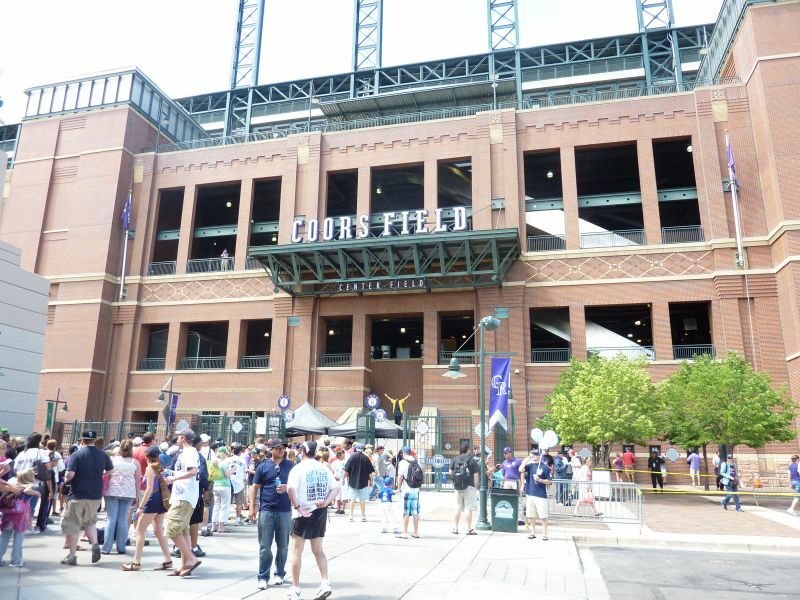 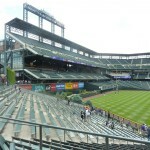 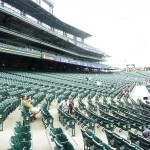 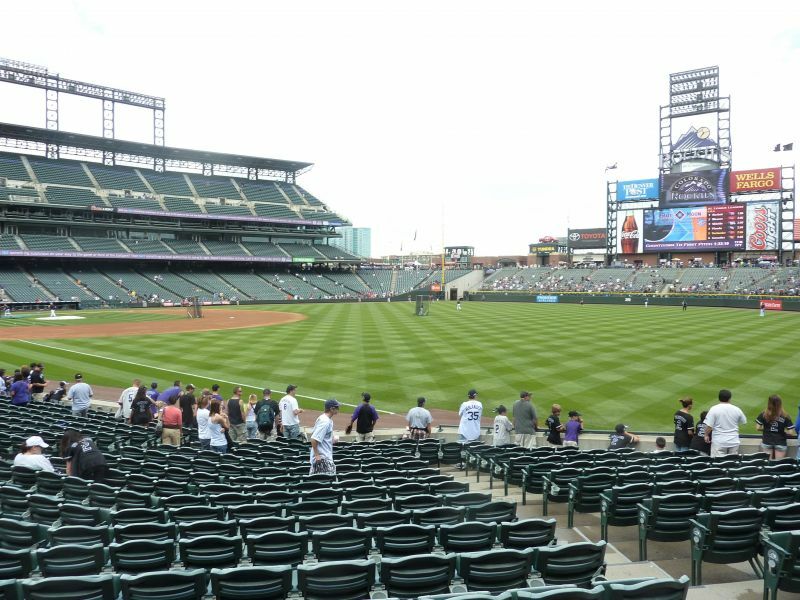 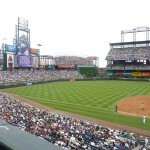 Coors Field is one of those ballparks that everybody loves, but you don’t really know why until you go. 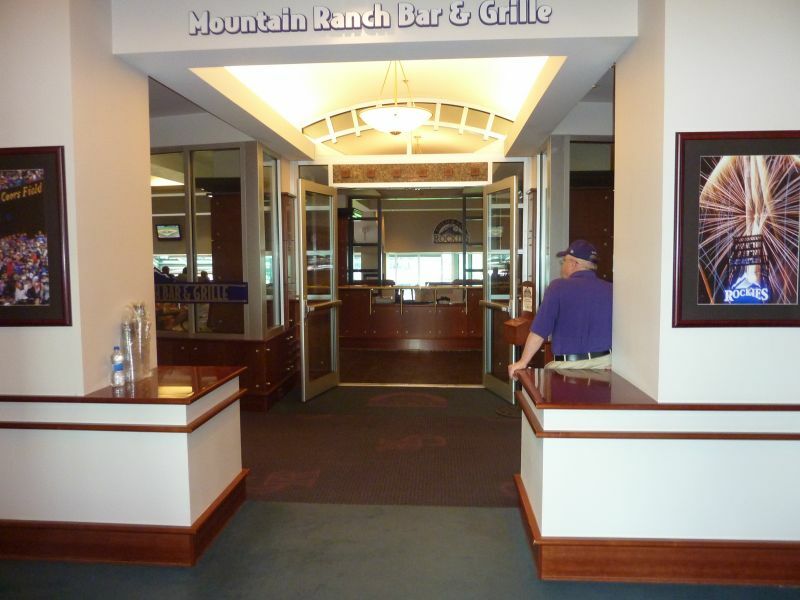 Looking at the pictures, there’s very little to distinguish the interior, especially considering the modest scale of the over hyped mountain views. 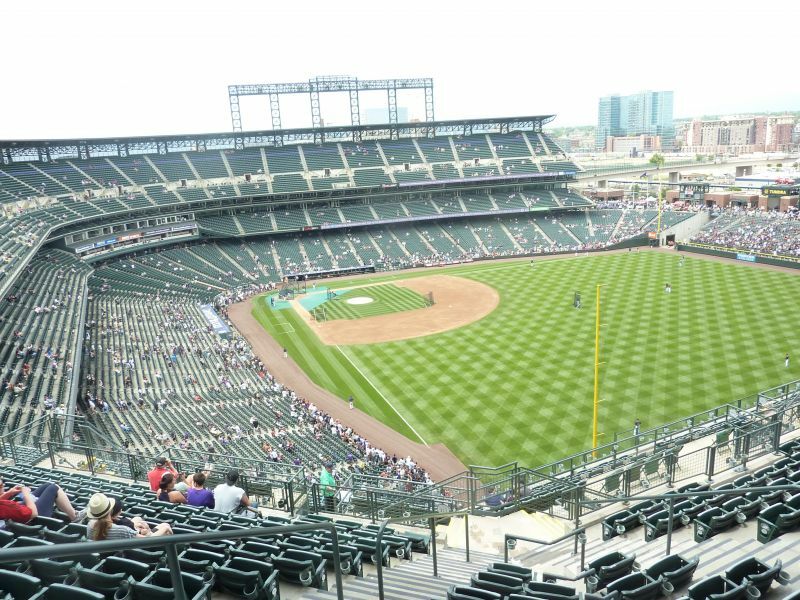 I know pretty much everything about a ballpark before I go, and I went into Denver thinking Coors Field was pretty overrated. 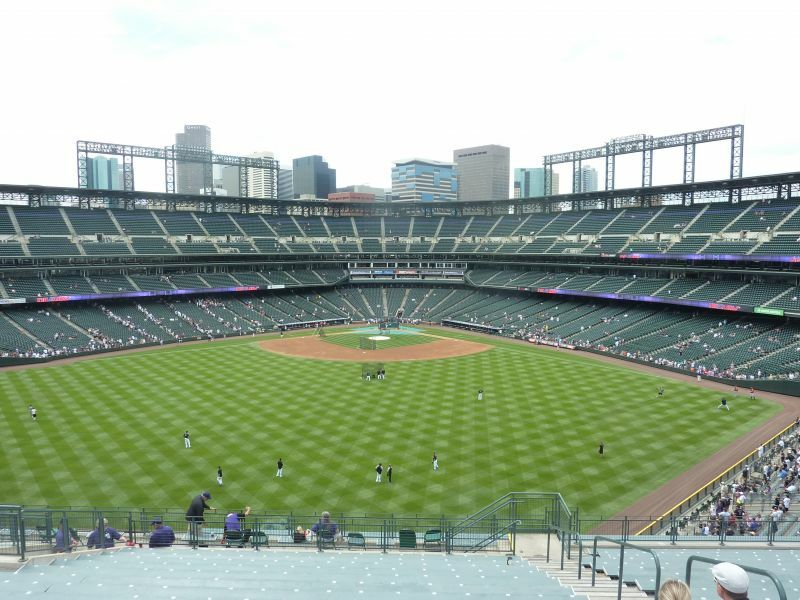 According to the ballpark consensus ratings (yes, I have too much time on my hands), Coors Field ranks 4th, right behind the clear gems in San Francisco, Pittsburgh, Baltimore. 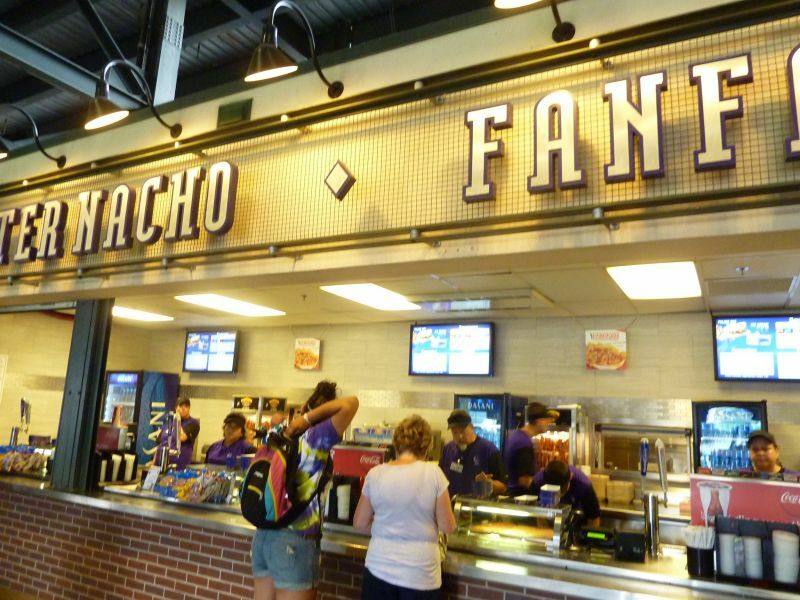 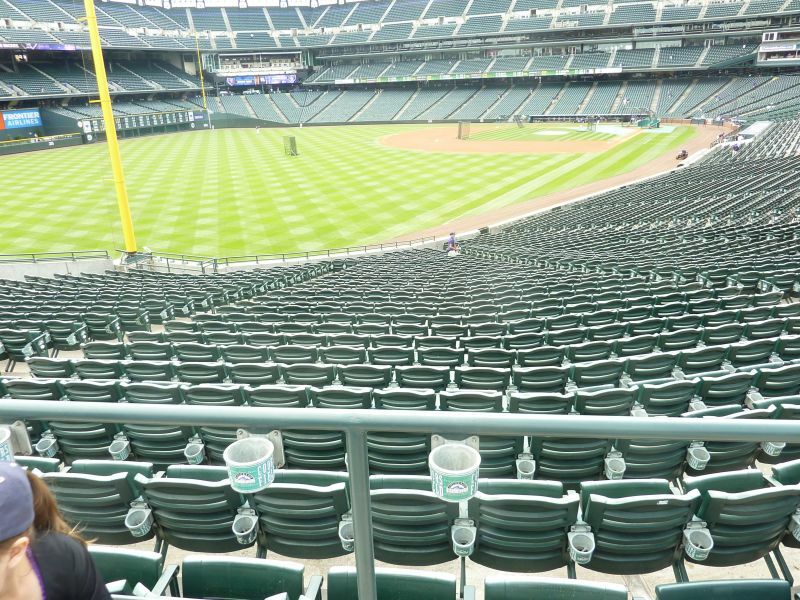 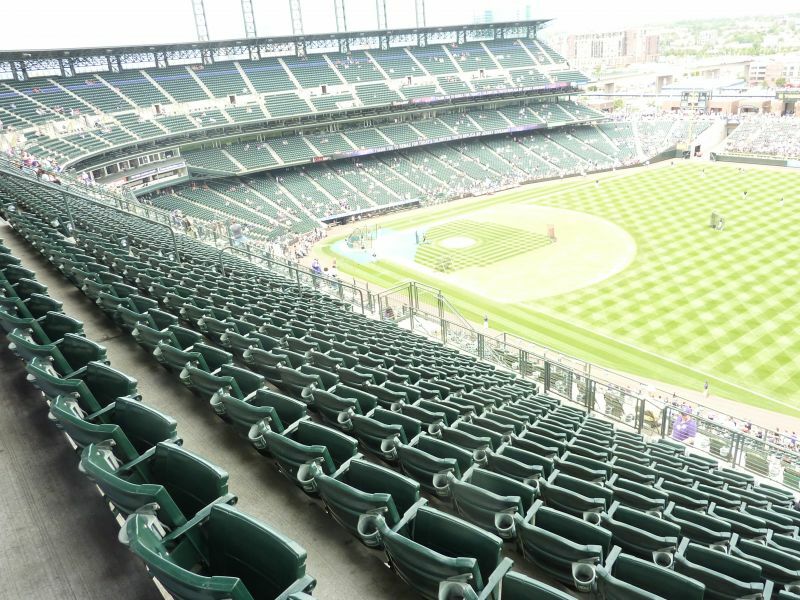 With the interior design more geared toward functionality (getting 50,000+ fans in the ballpark) than aesthetics, I stand by my statement that Coors is nowhere near the aforementioned three. 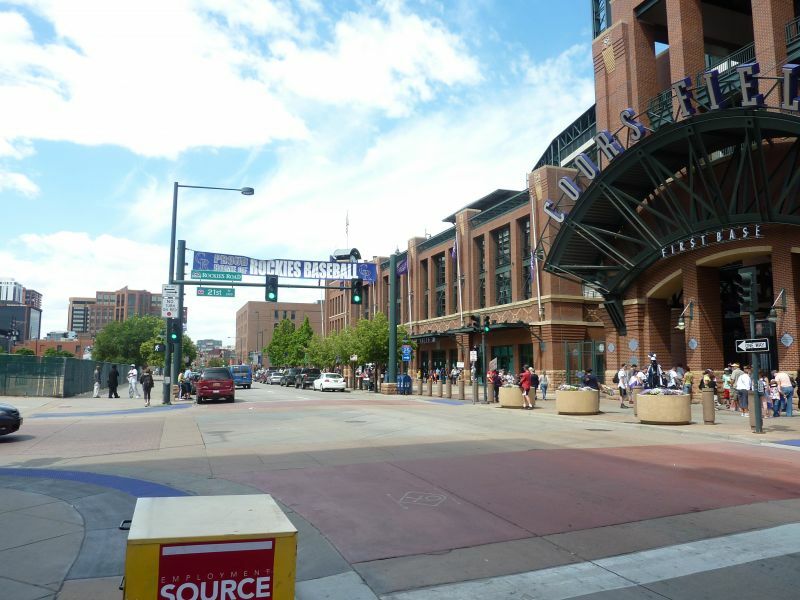 But at the same time, it’s pretty darn hard not to like Coors Field. 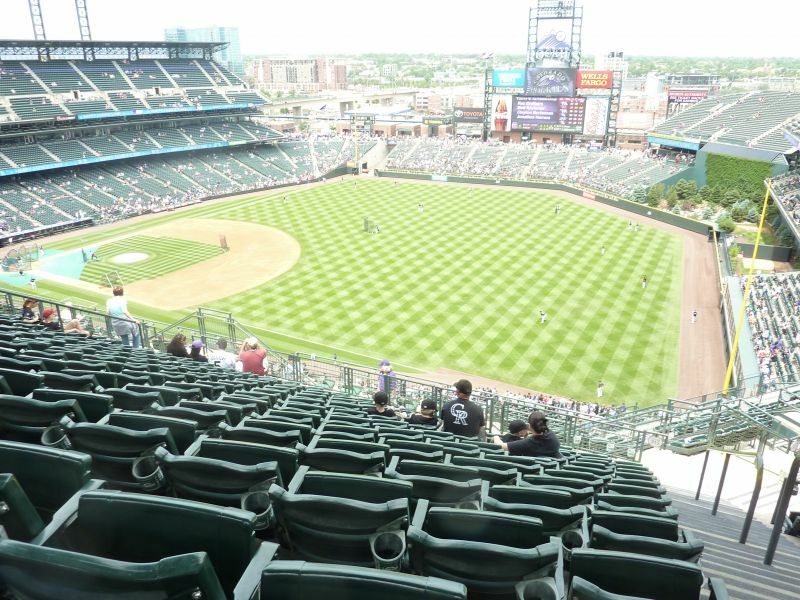 I don’t know whether it’s the great fans, the nice ushers, or just the thin rocky mountain air, but it has that certain subjective feel that makes it a great place to watch a game. 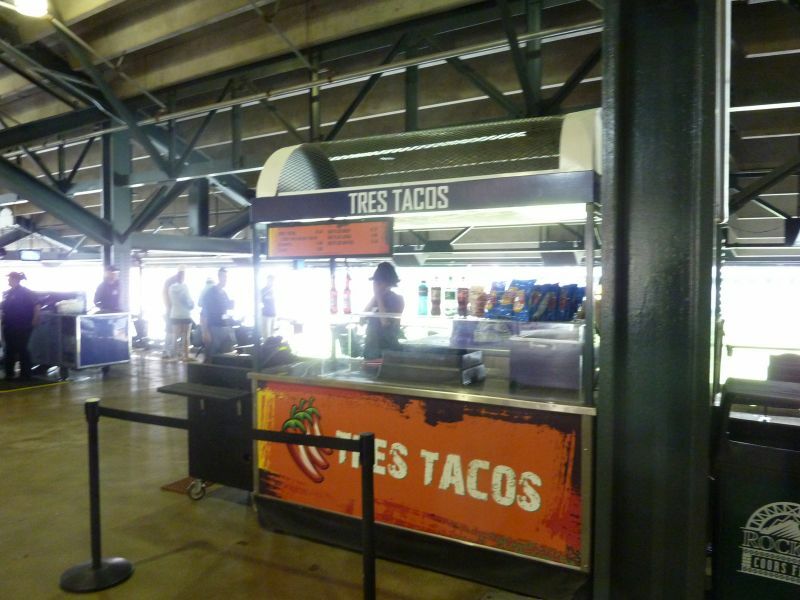 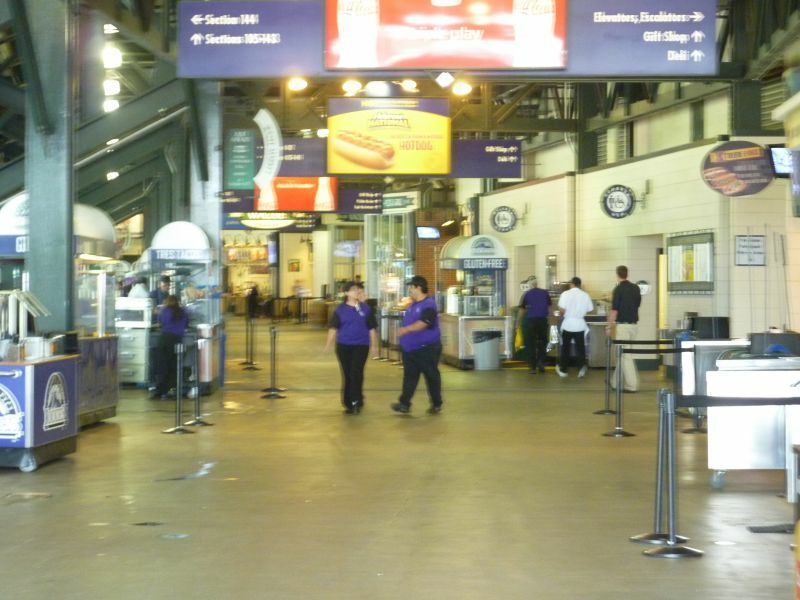 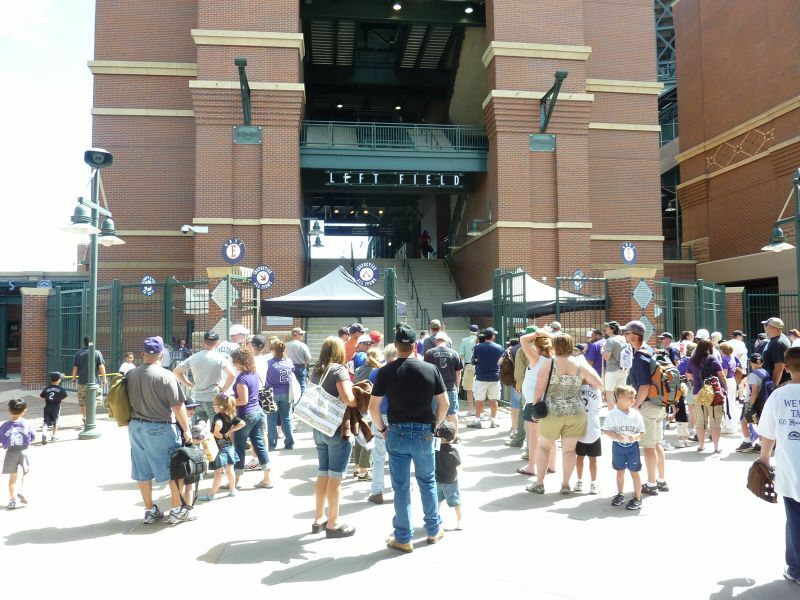 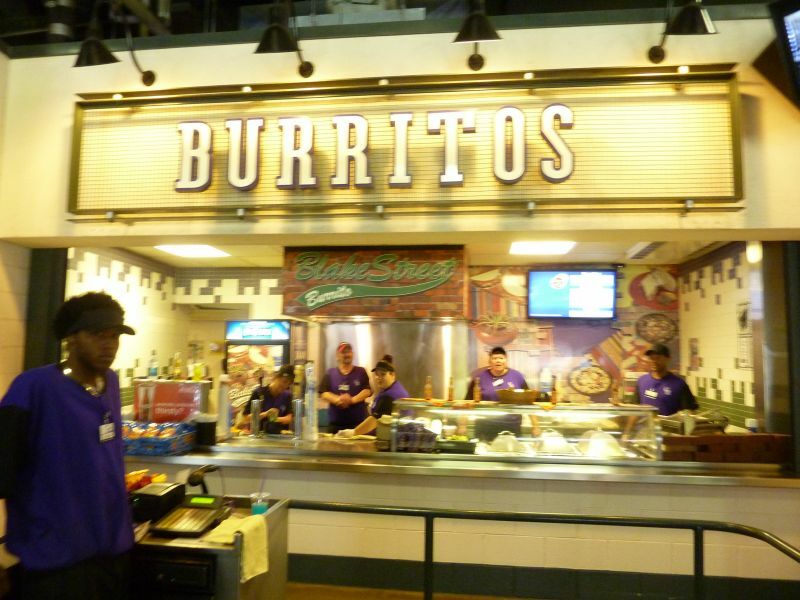 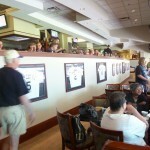 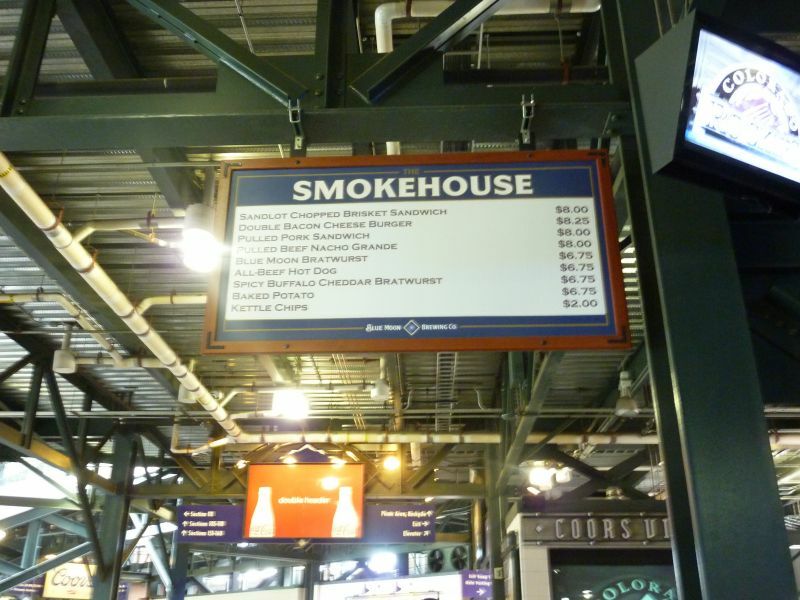 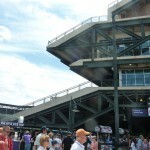 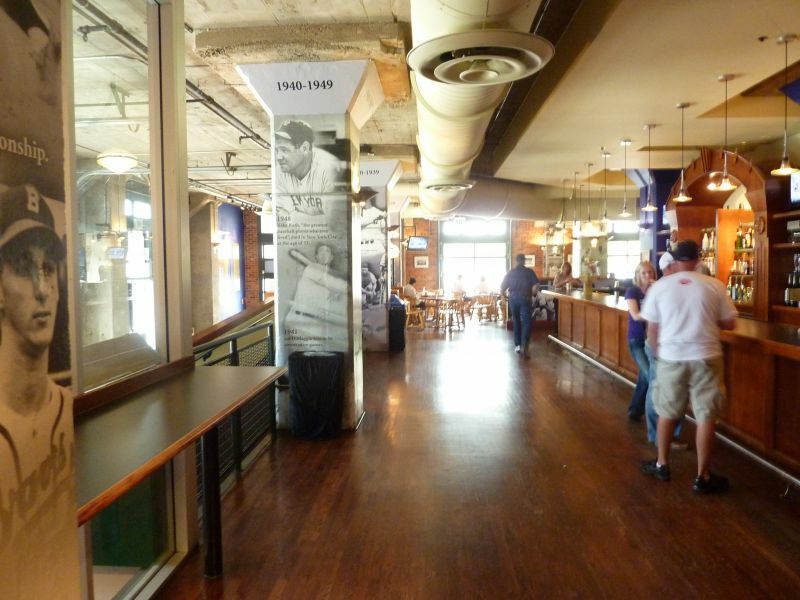 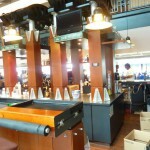 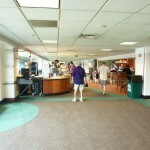 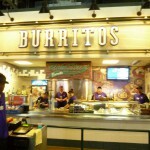 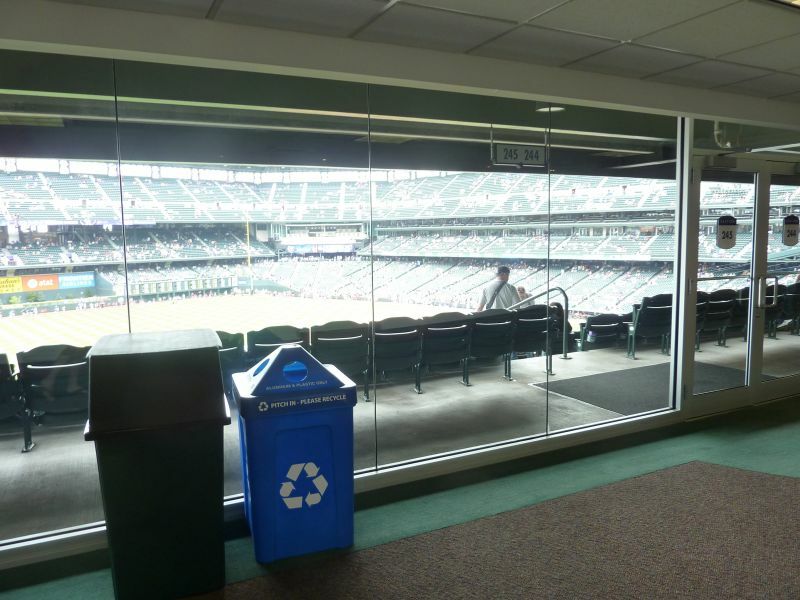 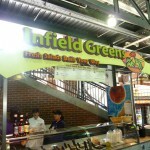 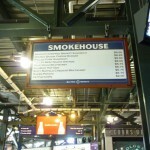 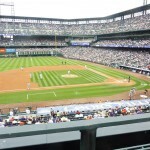 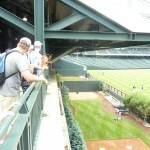 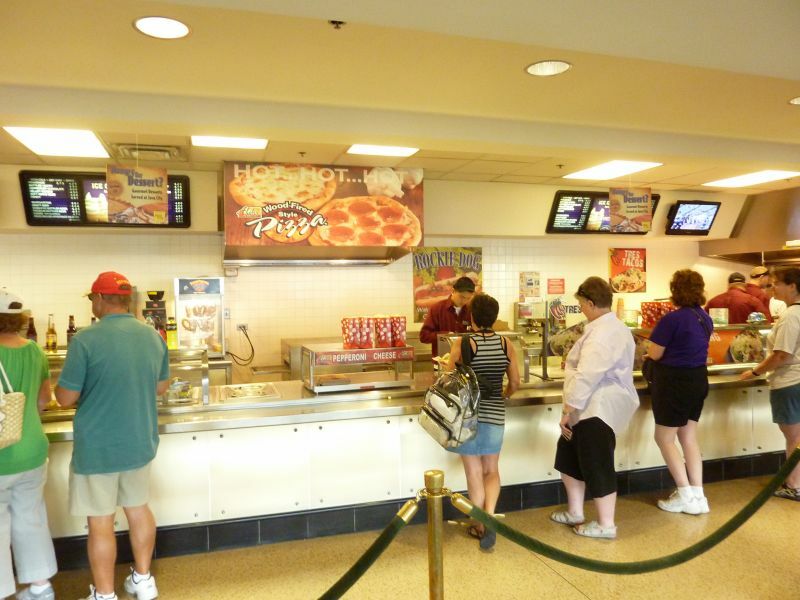 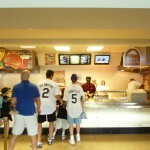 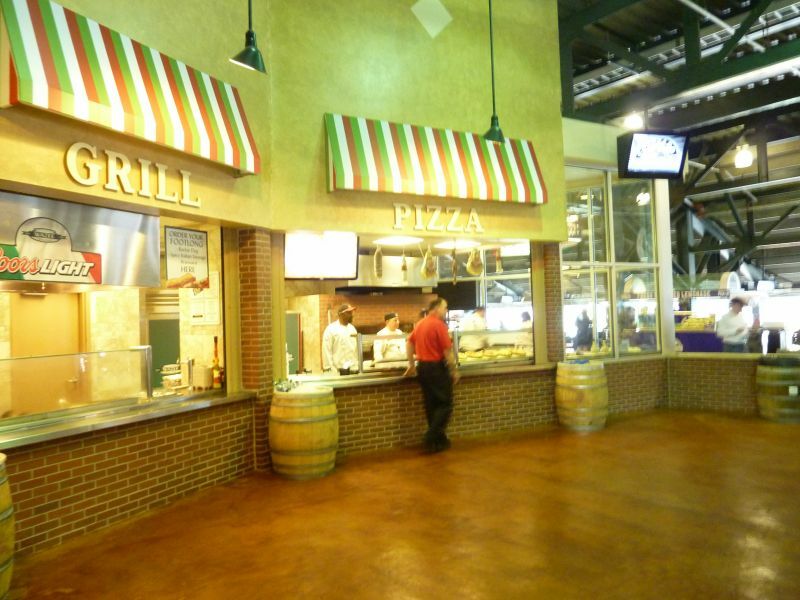 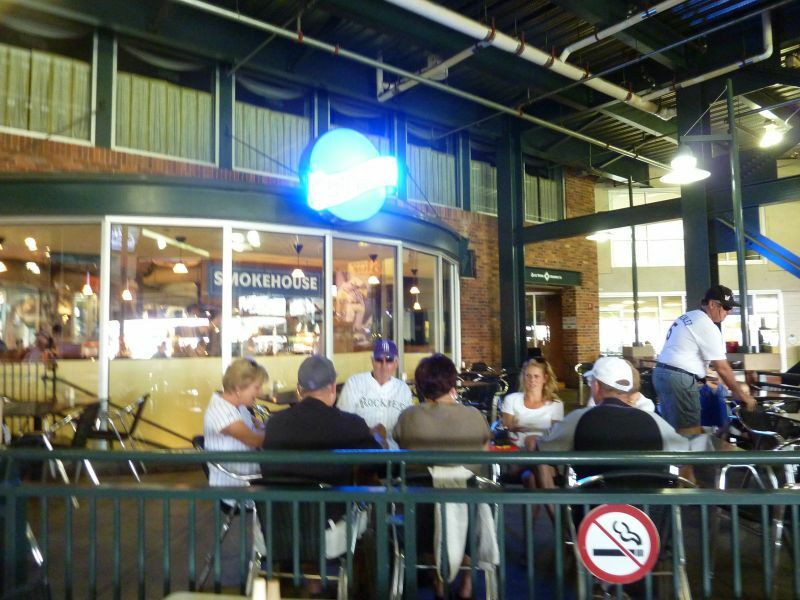 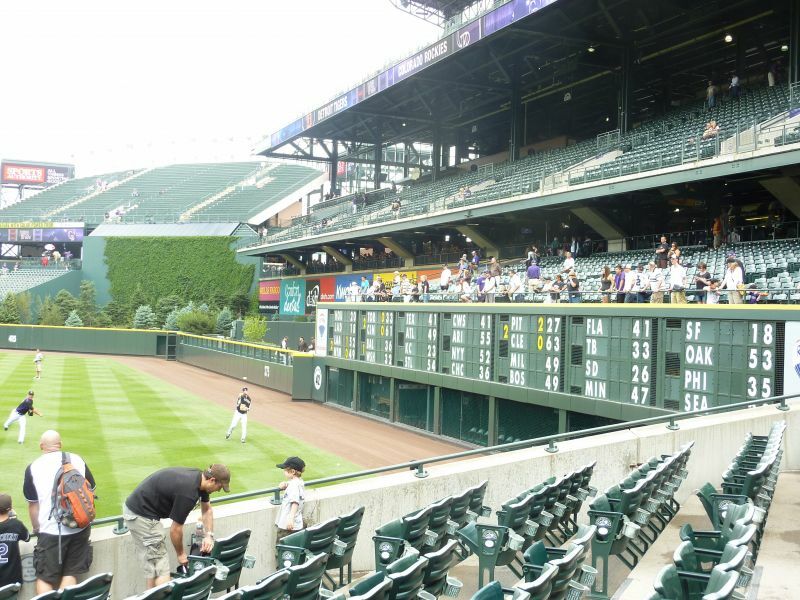 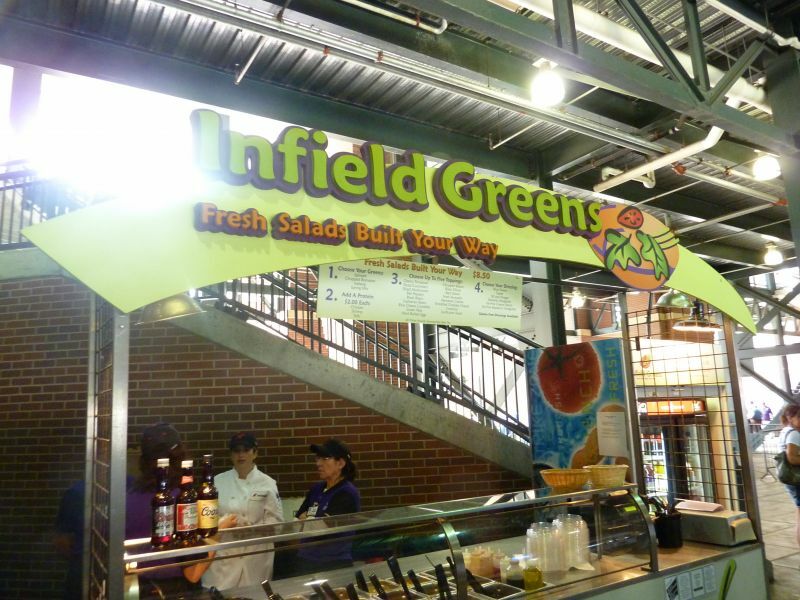 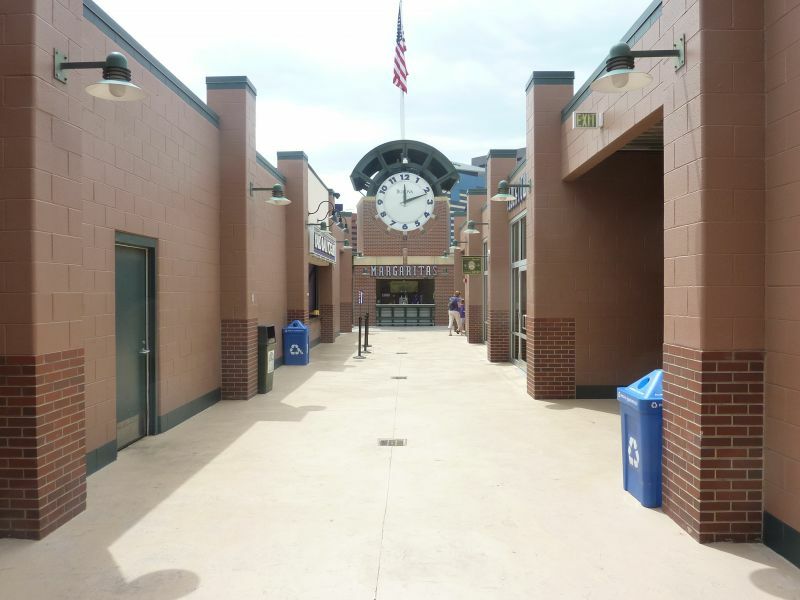 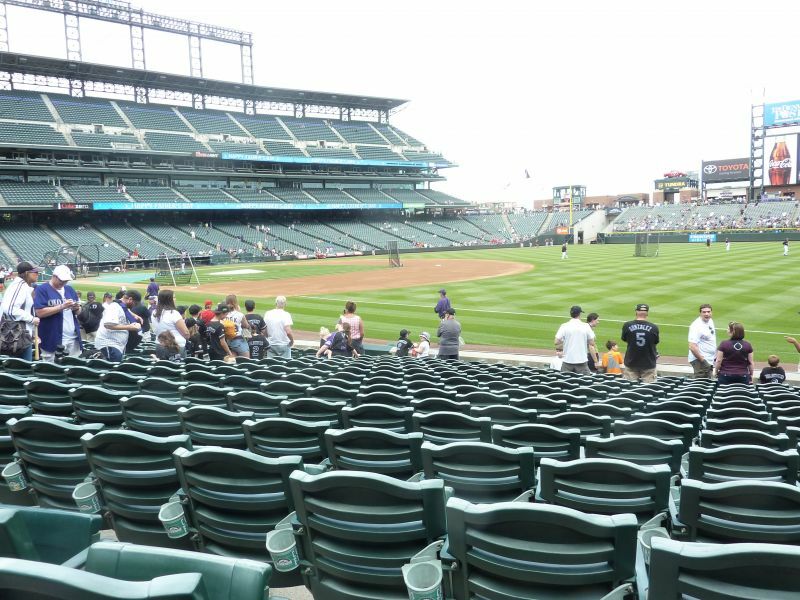 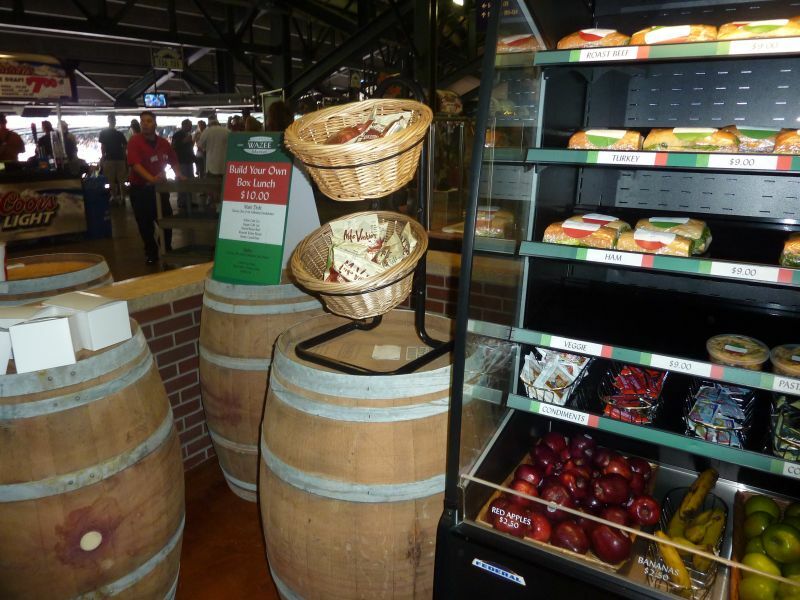 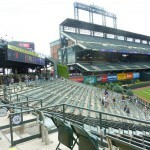 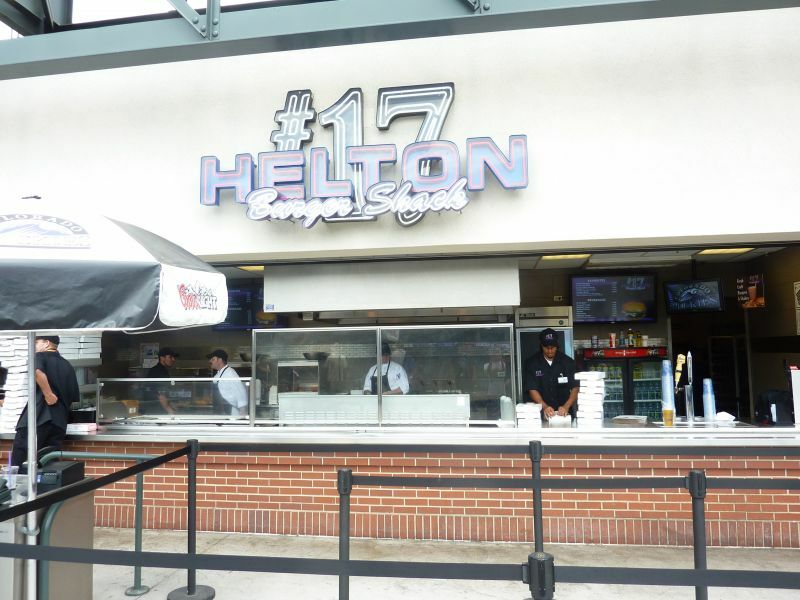 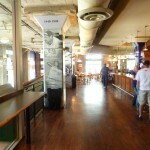 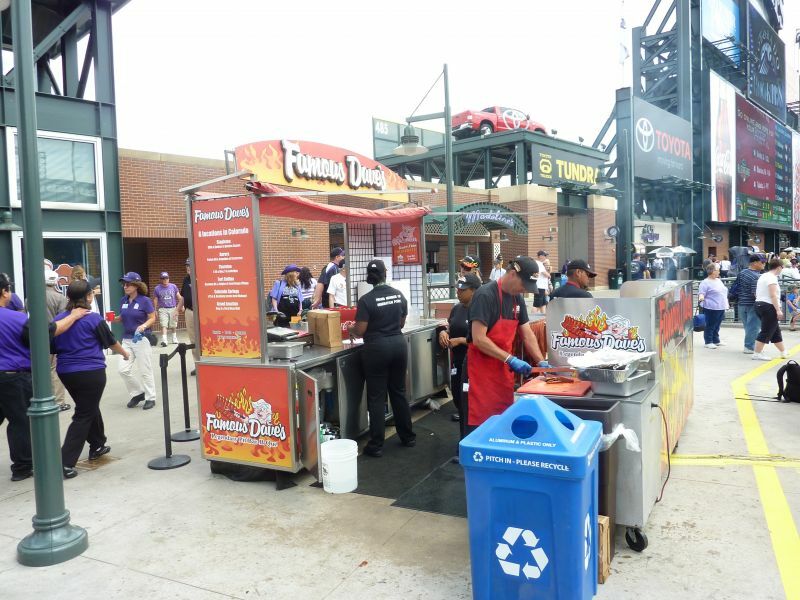 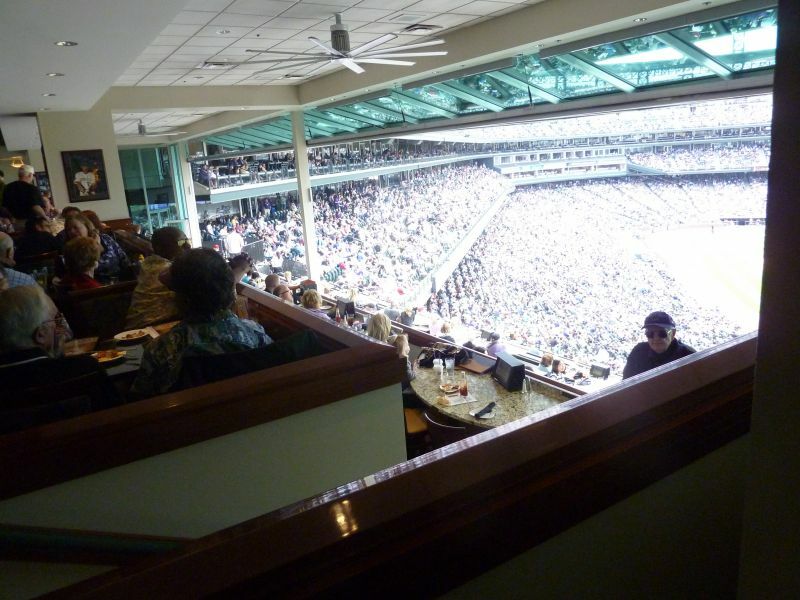 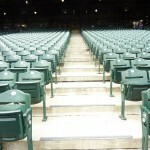 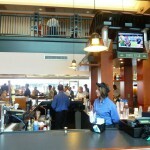 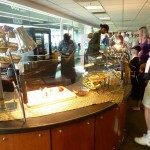 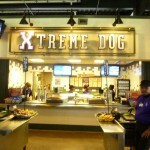 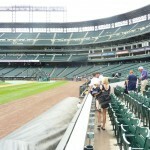 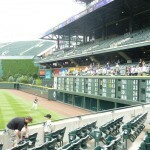 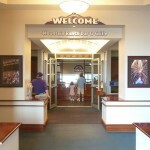 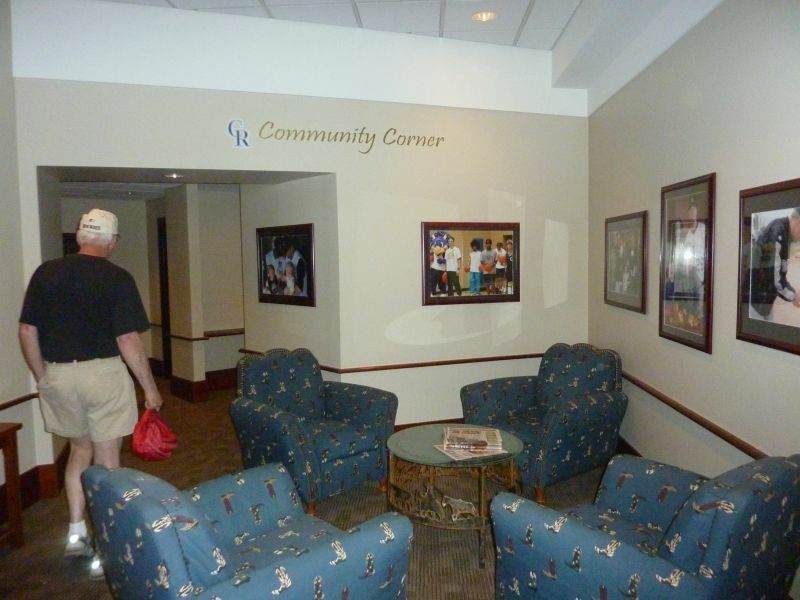 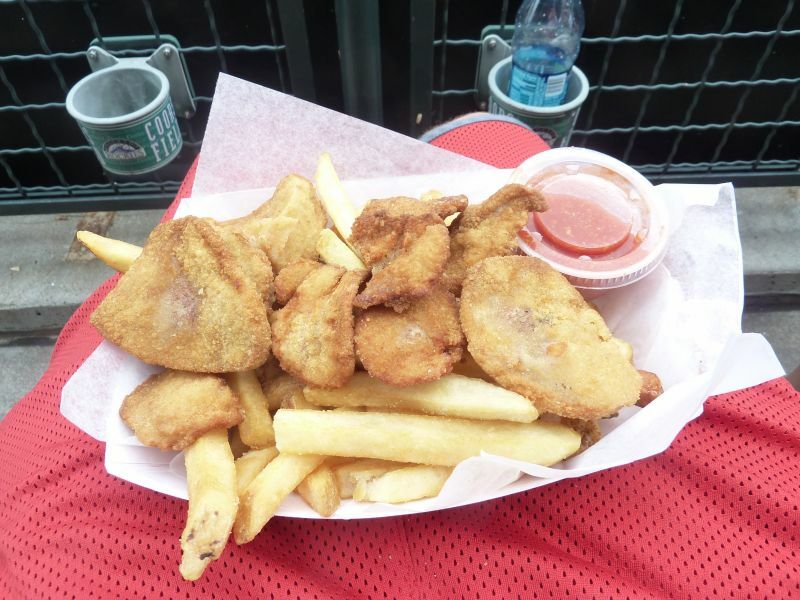 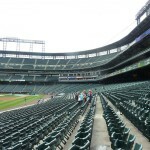 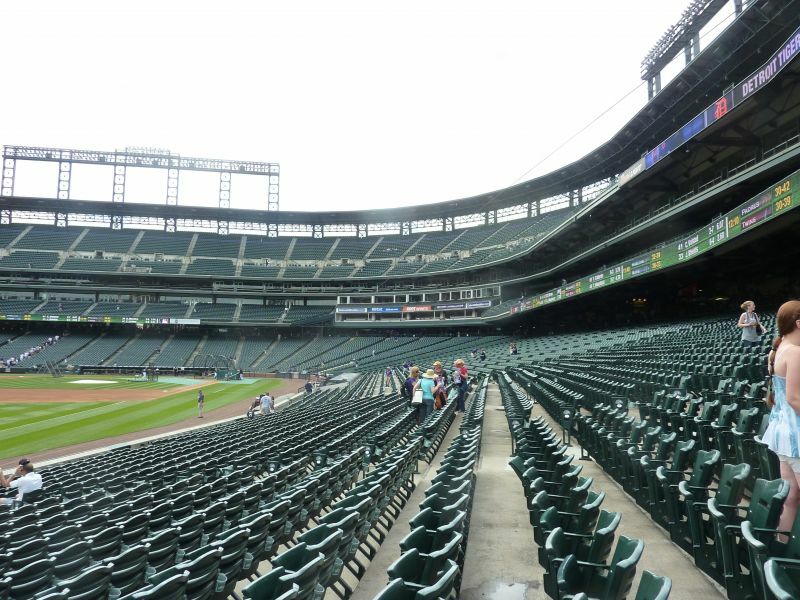 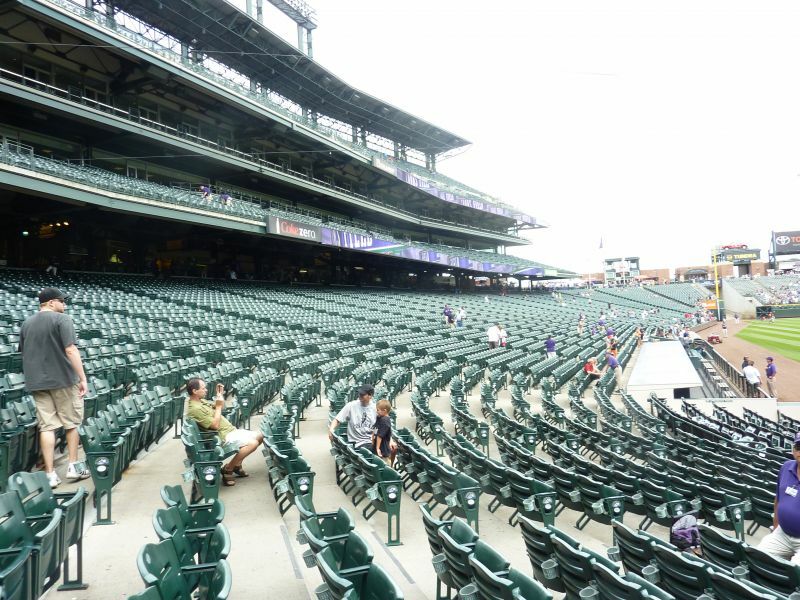 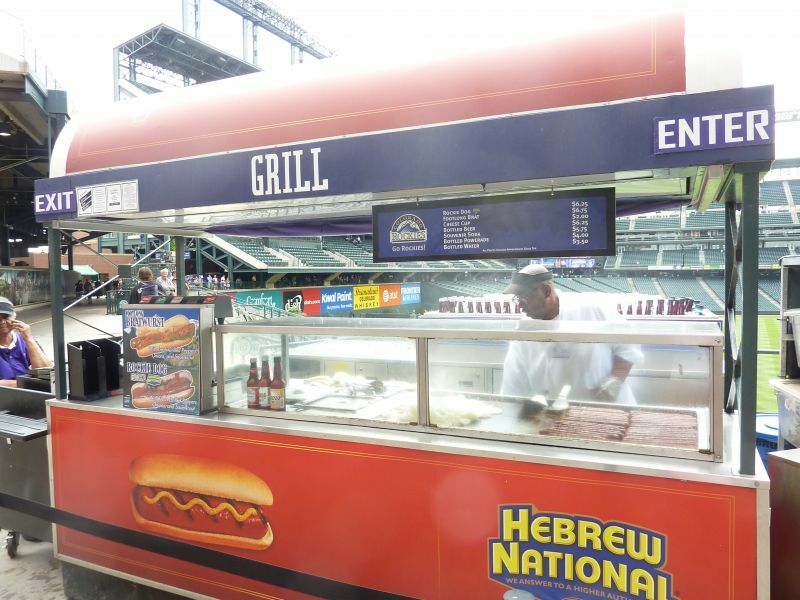 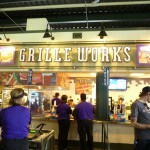 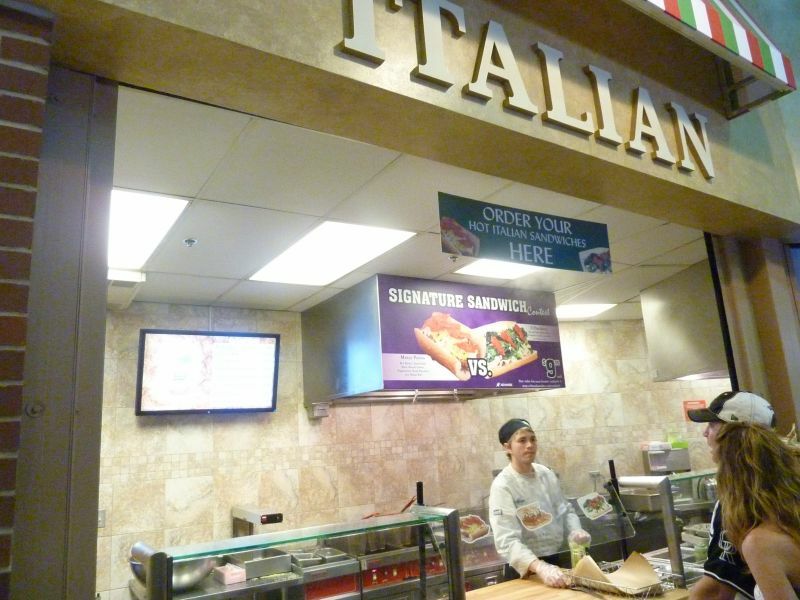 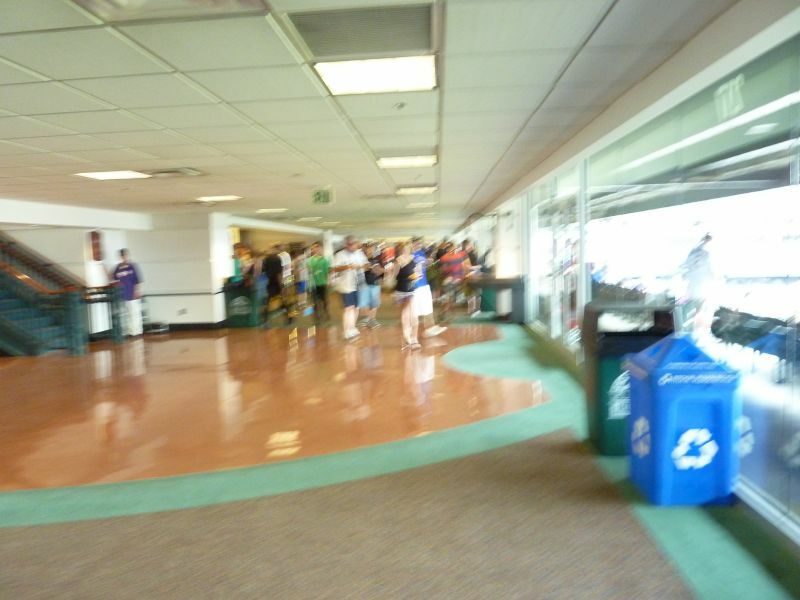 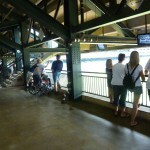 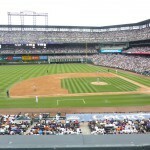 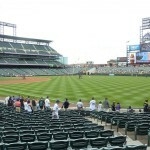 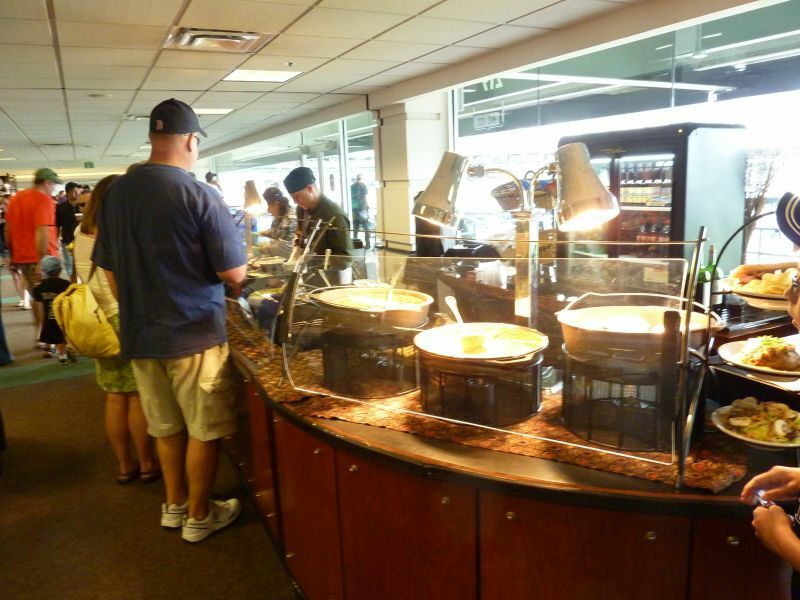 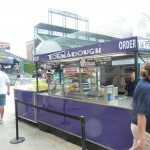 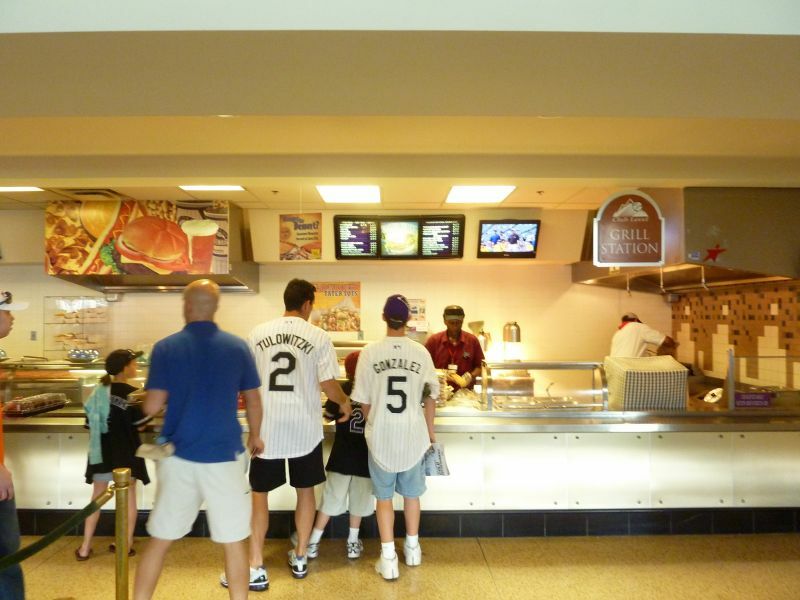 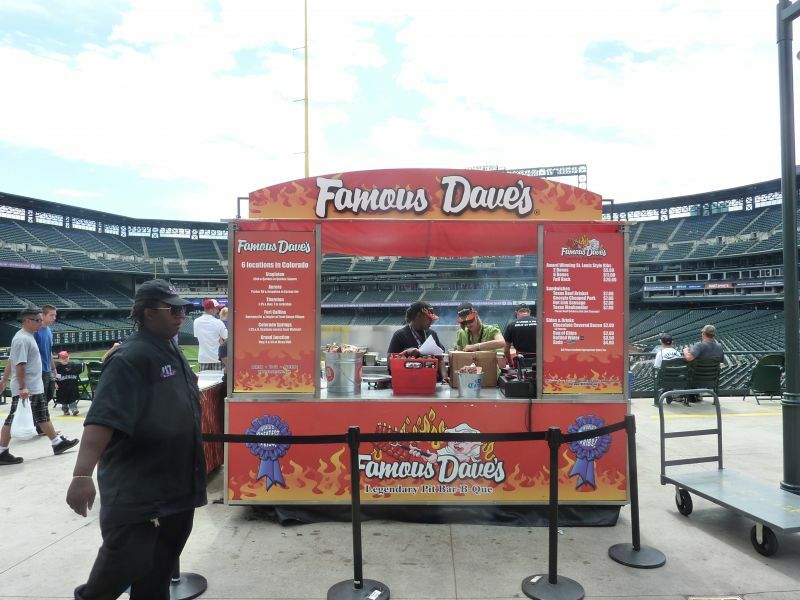 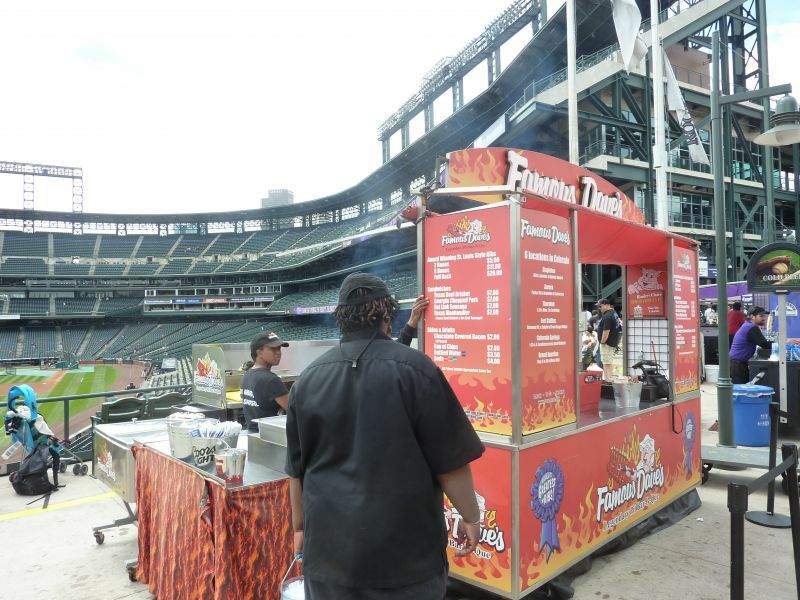 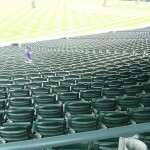 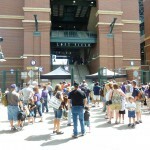 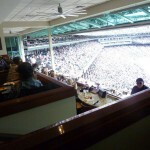 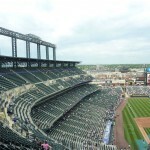 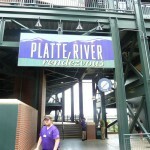 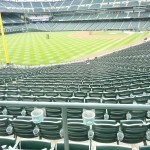 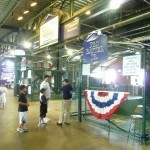 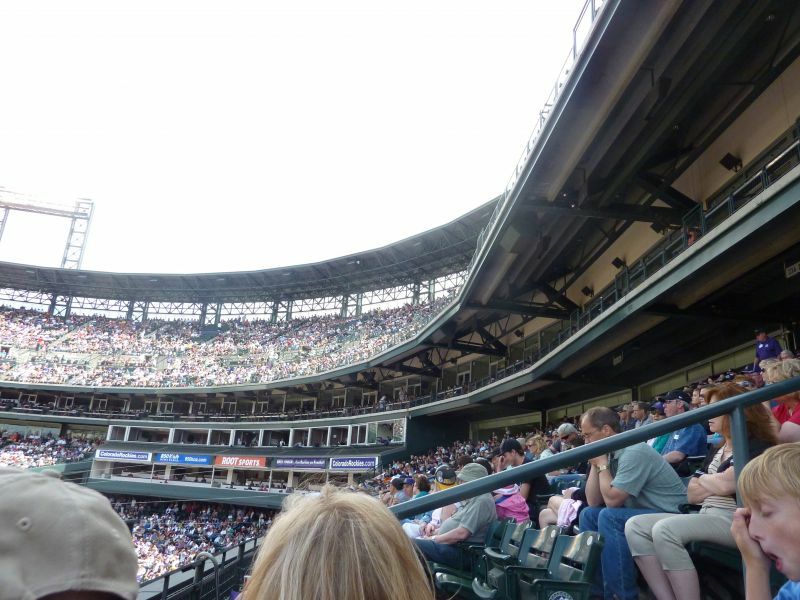 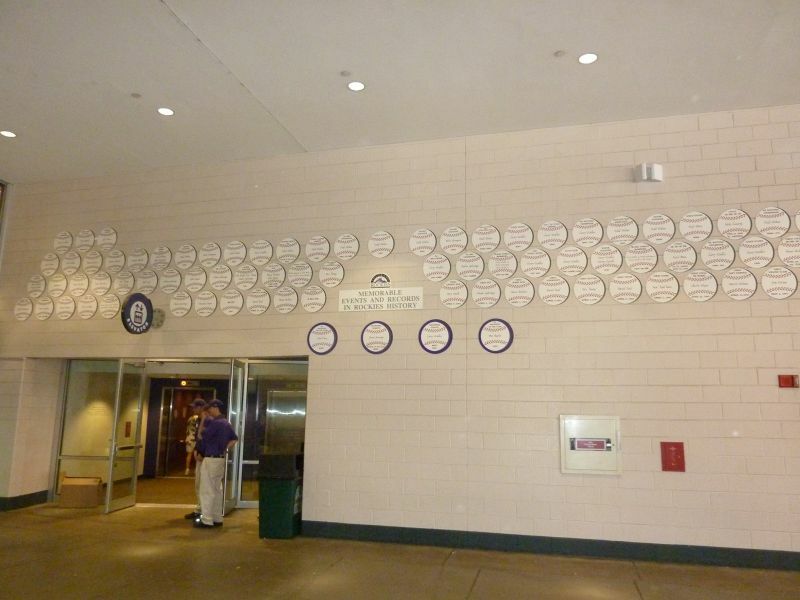 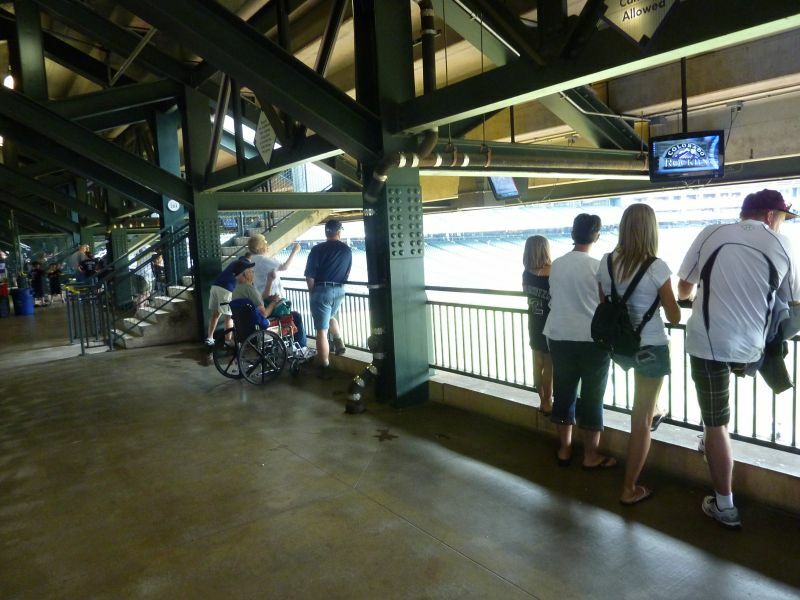 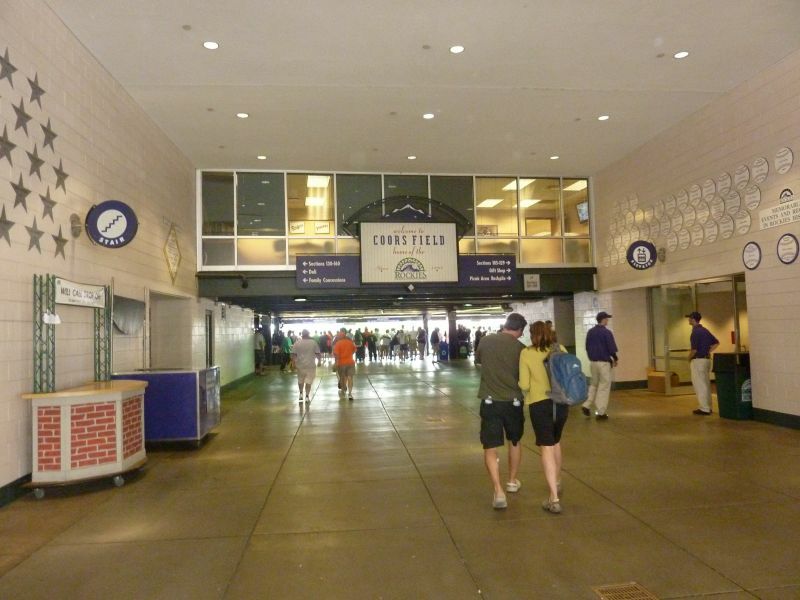 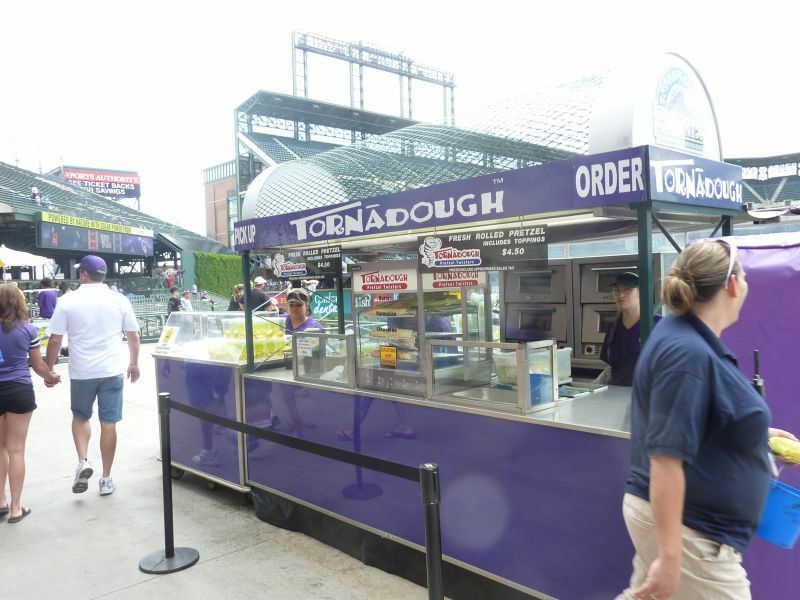 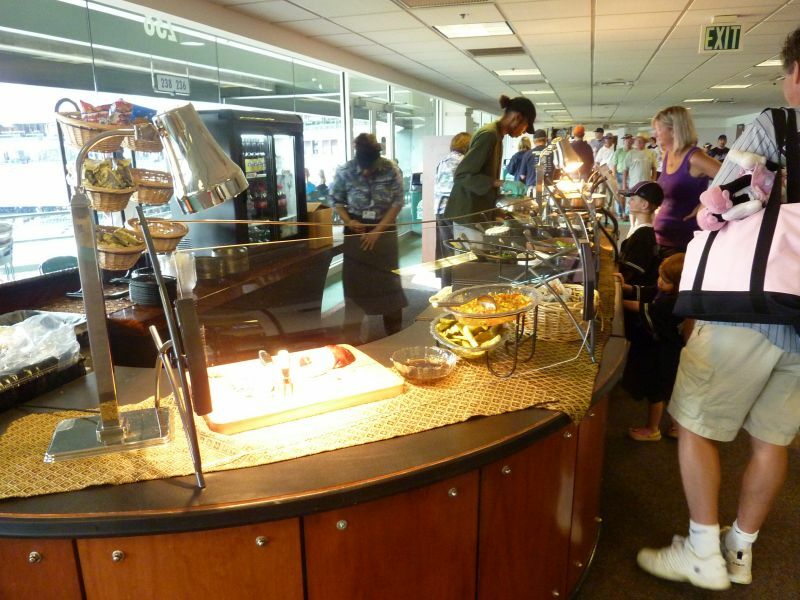 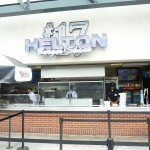 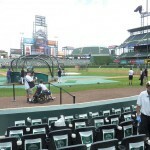 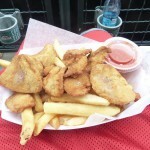 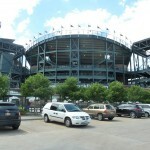 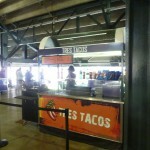 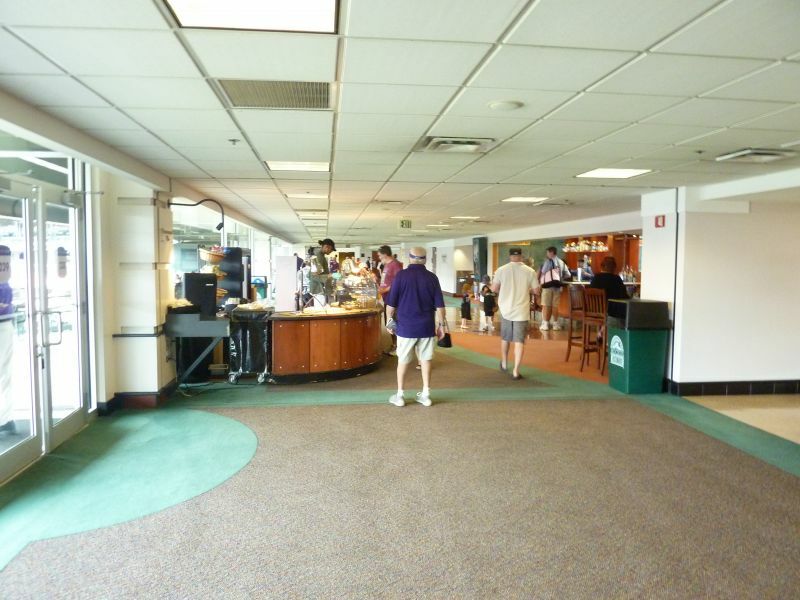 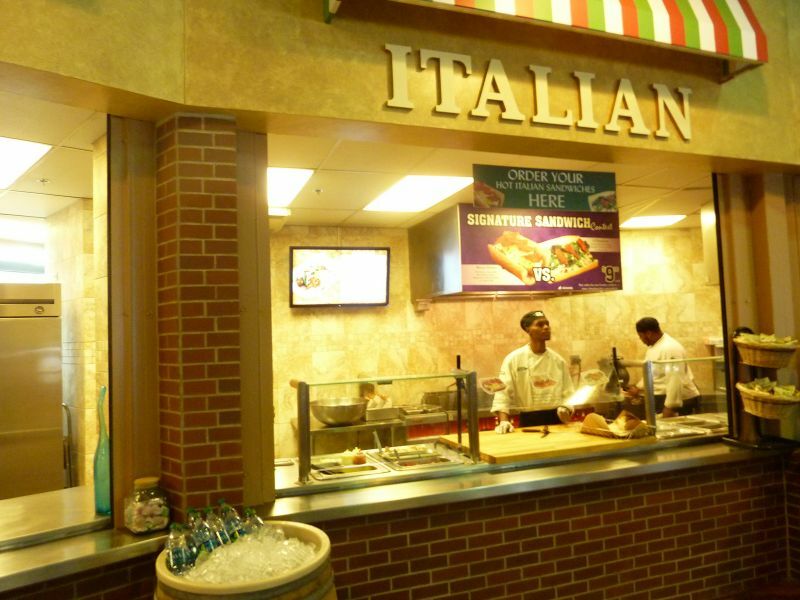 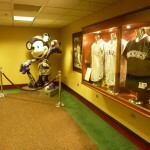 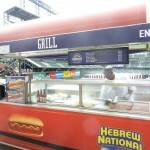 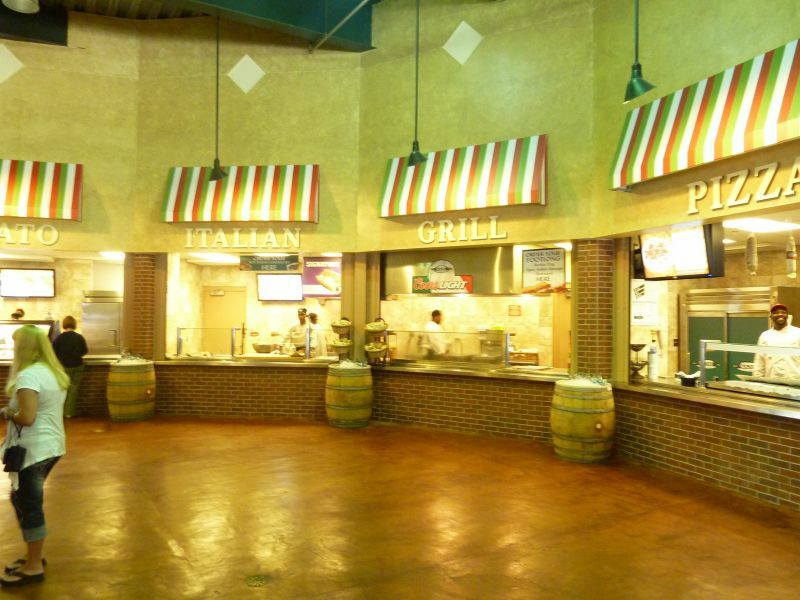 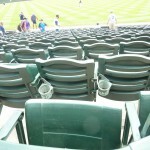 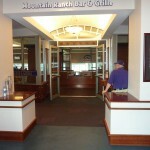 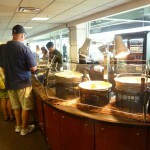 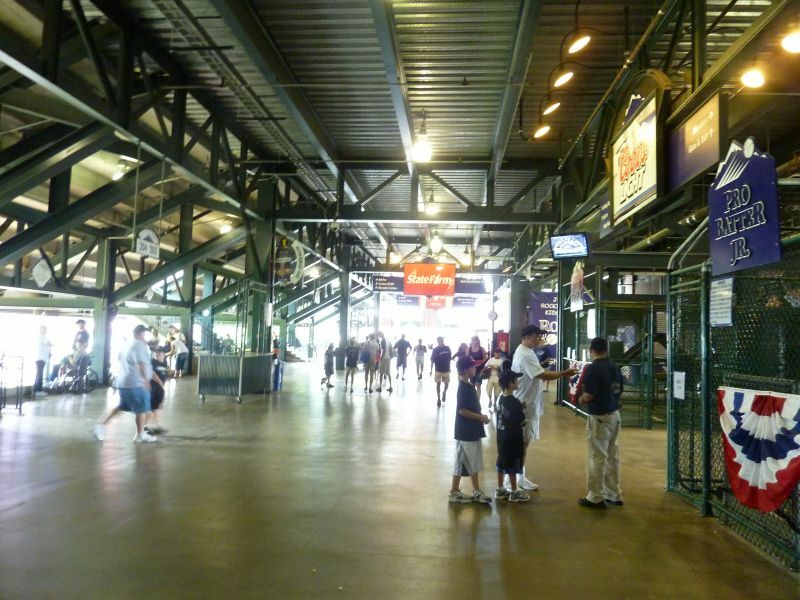 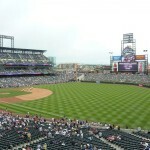 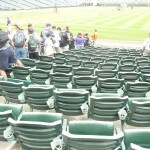 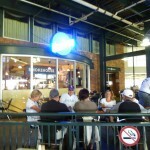 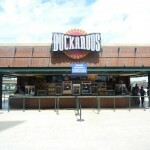 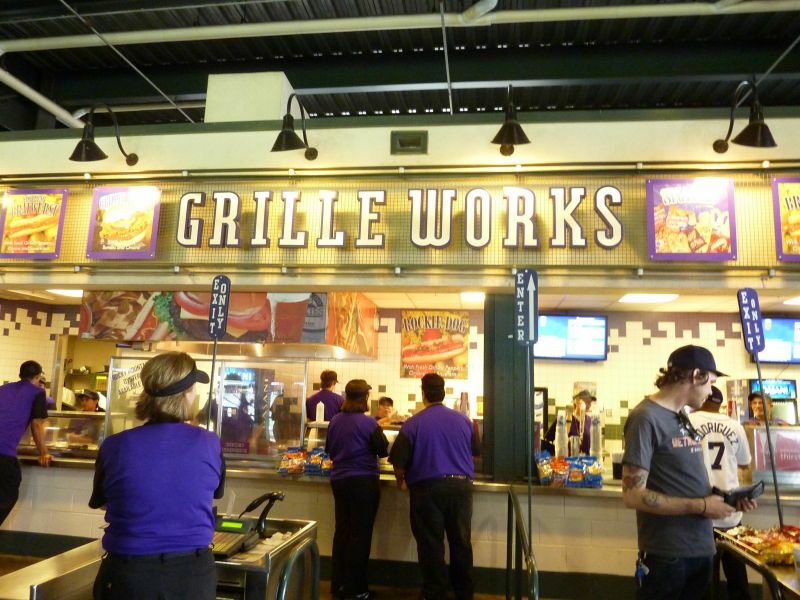 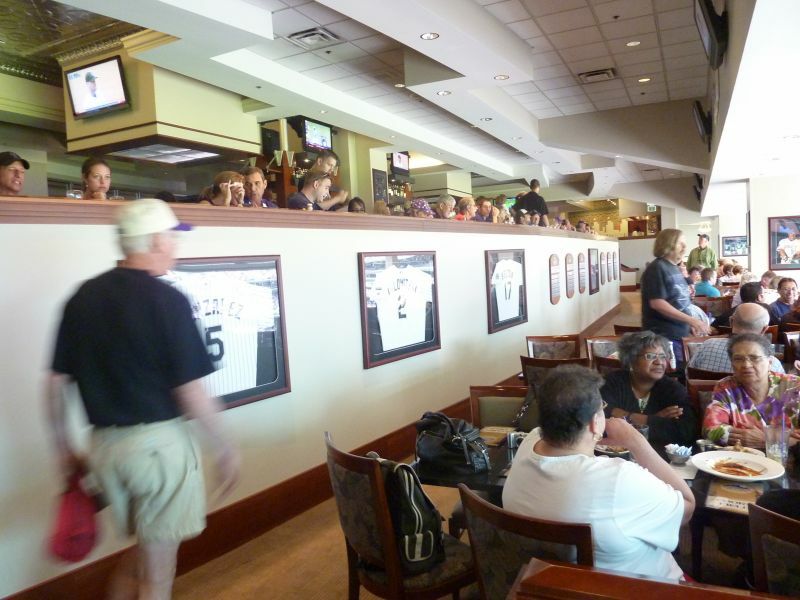 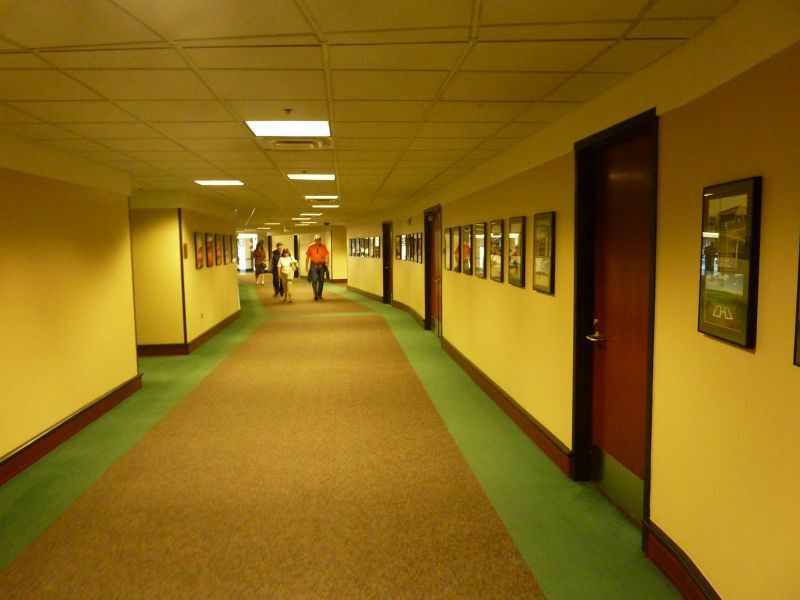 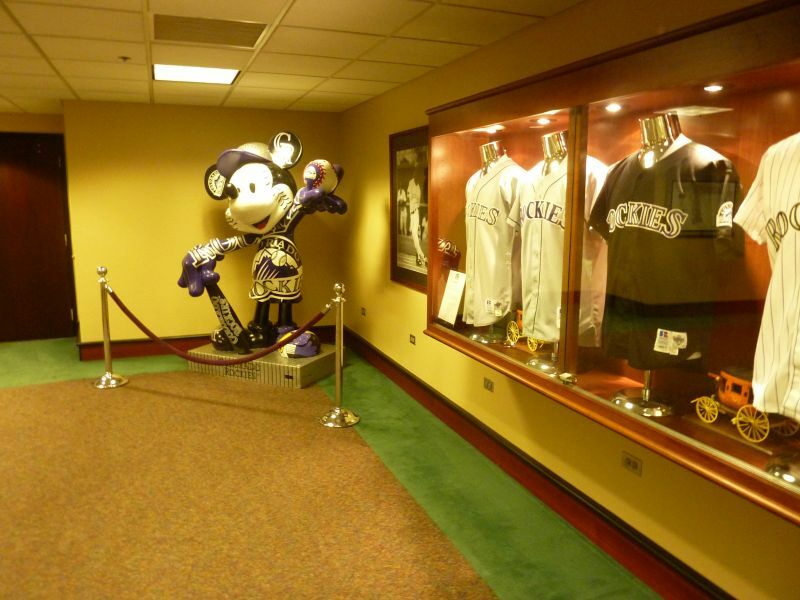 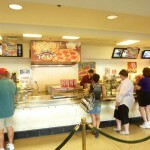 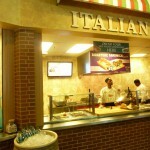 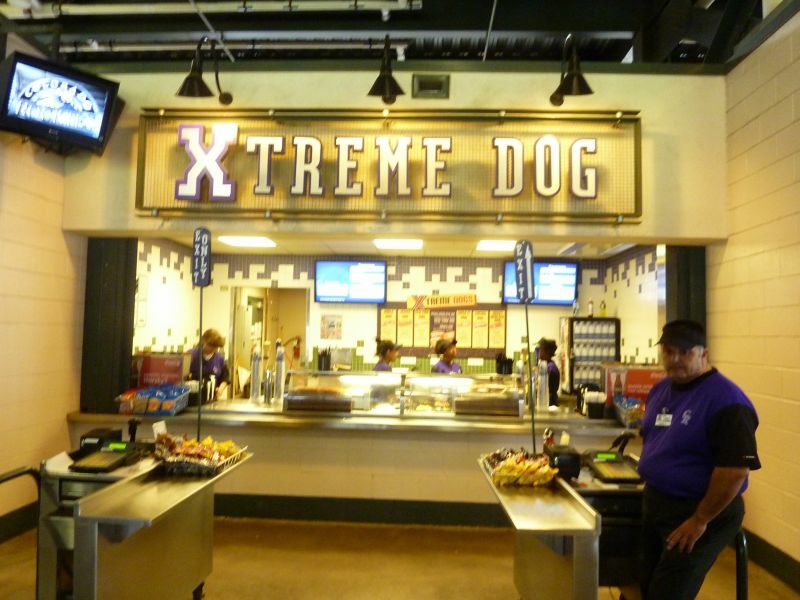 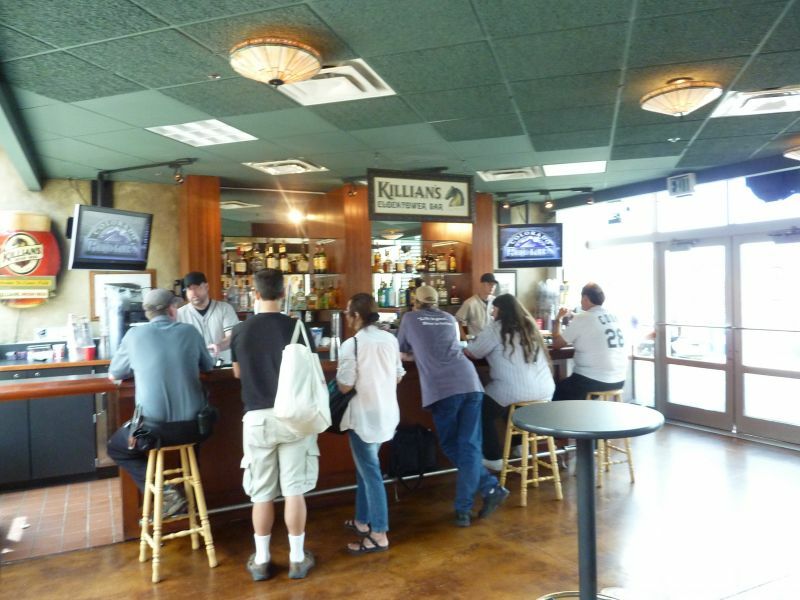 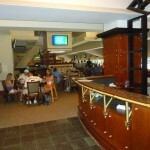 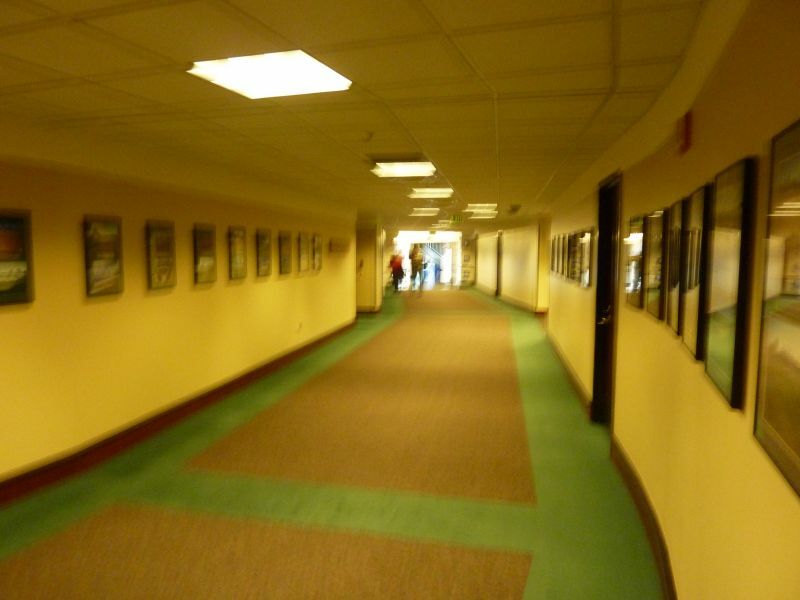 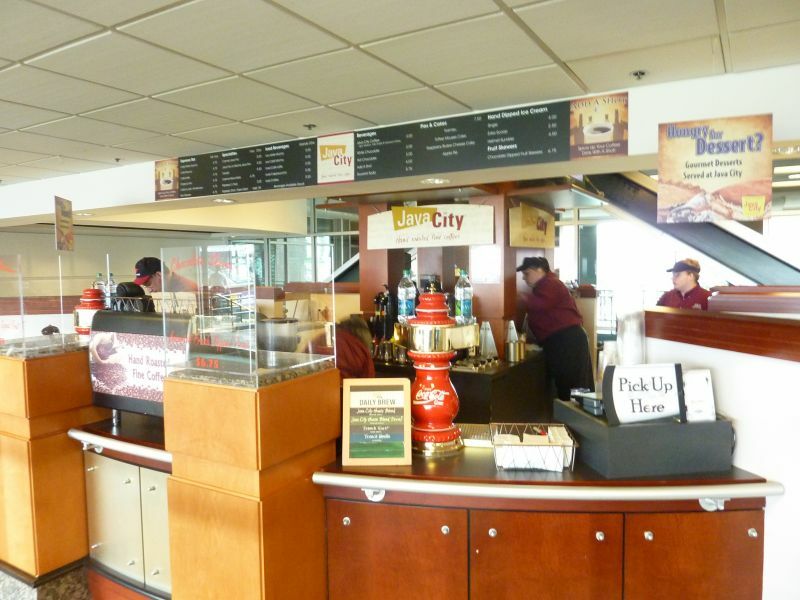 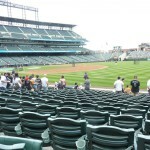 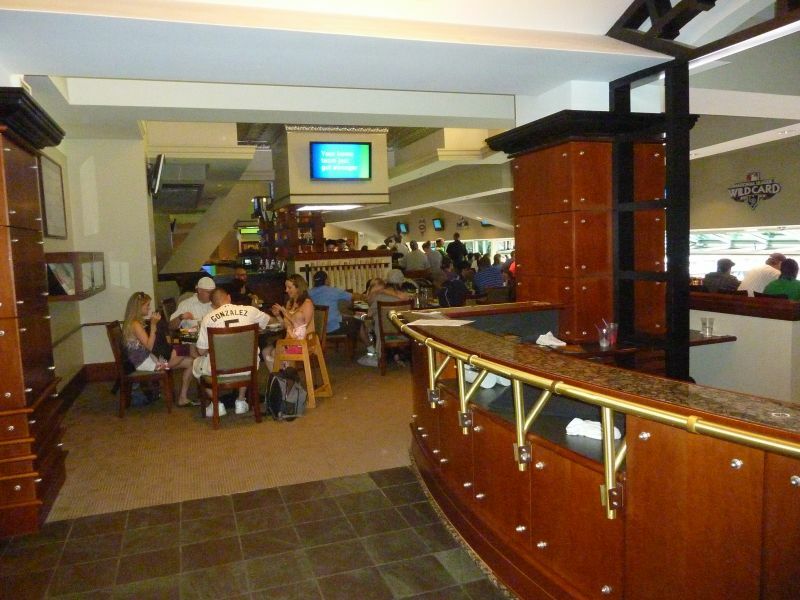 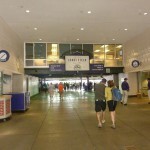 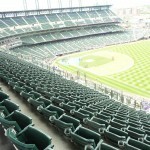 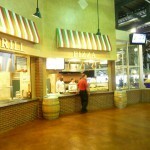 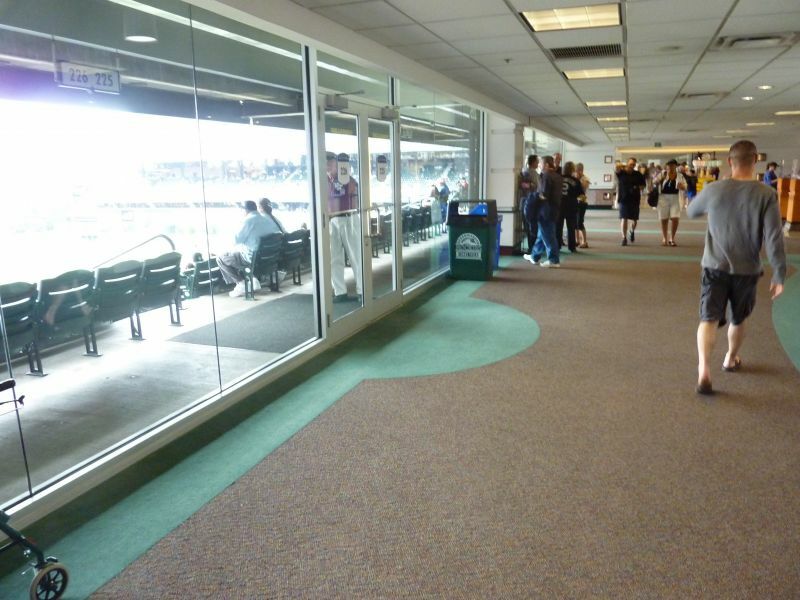 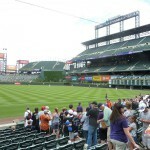 There’s also so little wrong with Coors Field objectively, it’s really hard to criticize. 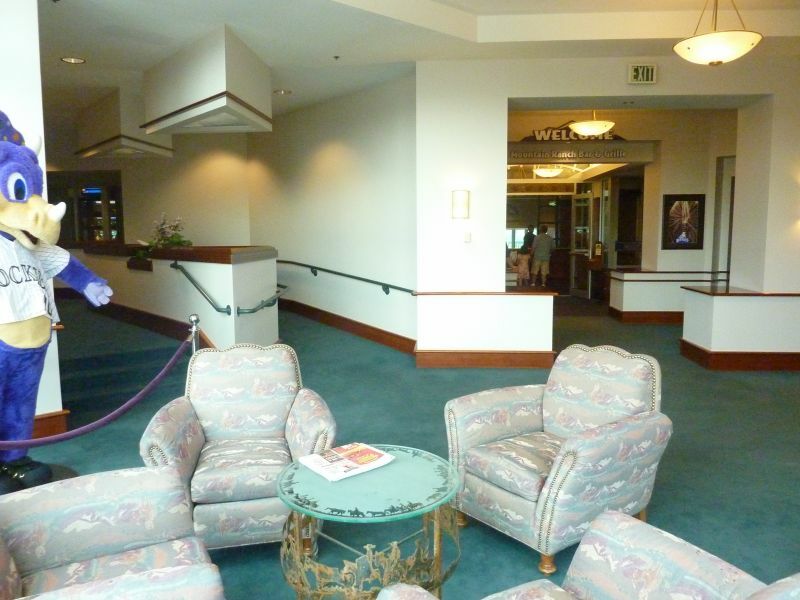 It has a simple, uncluttered interior design that stands in stark contrast to some of the more contrived and gimmicky later retro parks. 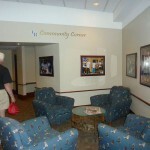 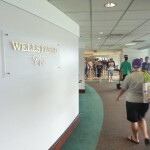 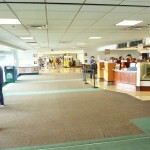 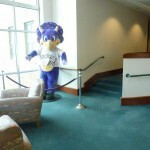 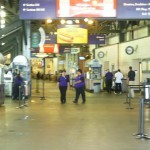 But its interior aesthetics are nowhere near that of Camden, Progressive, or even Arlington for that matter. 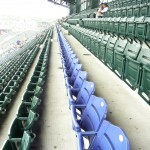 With a functional array of seats dominating most of the inside, you could mistake it for a cavernous football stadium. 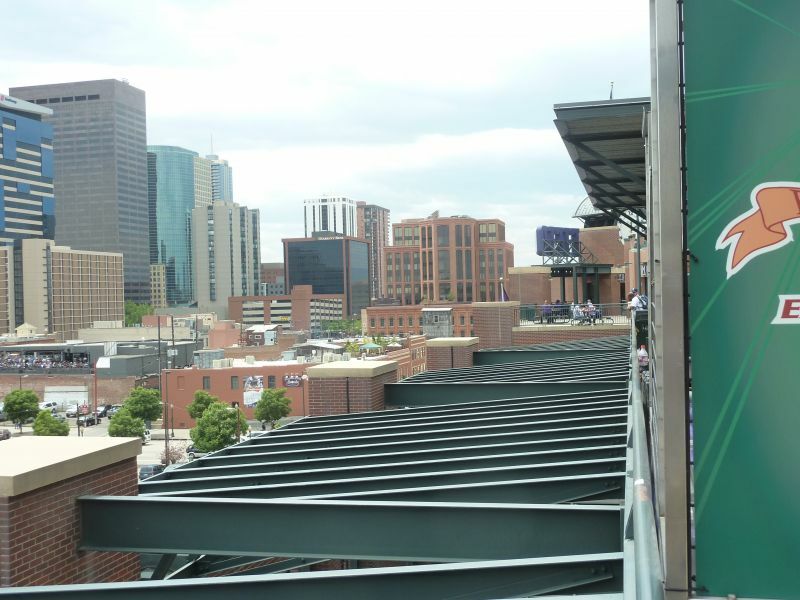 Coors Field’s mountain views may be overrated, but that doesn’t prevent it from being a good ballpark. 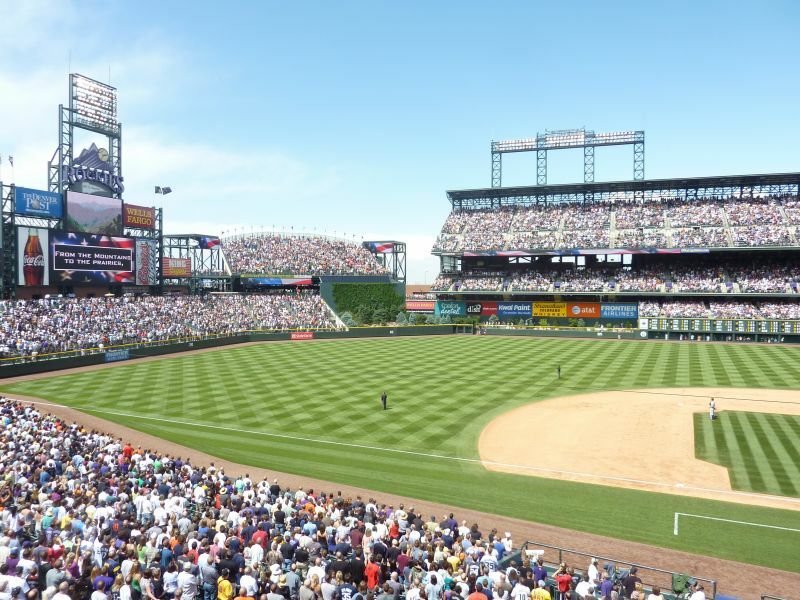 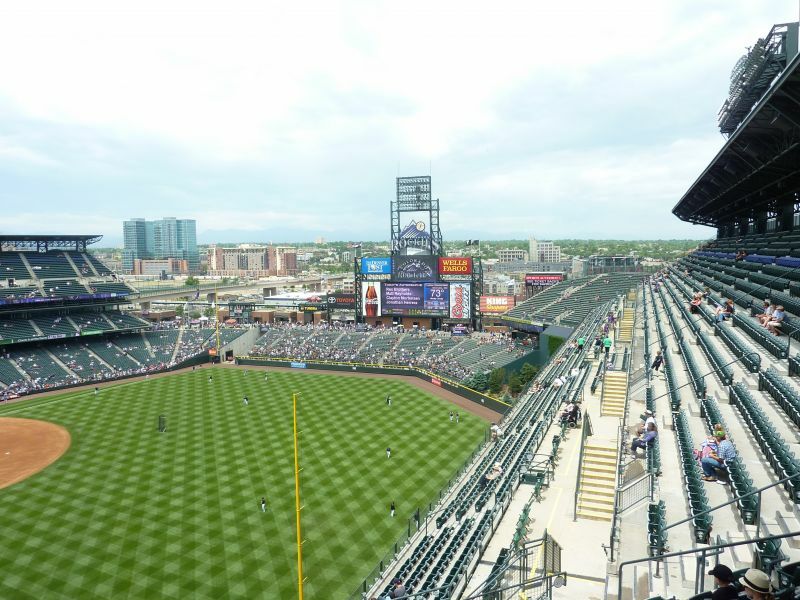 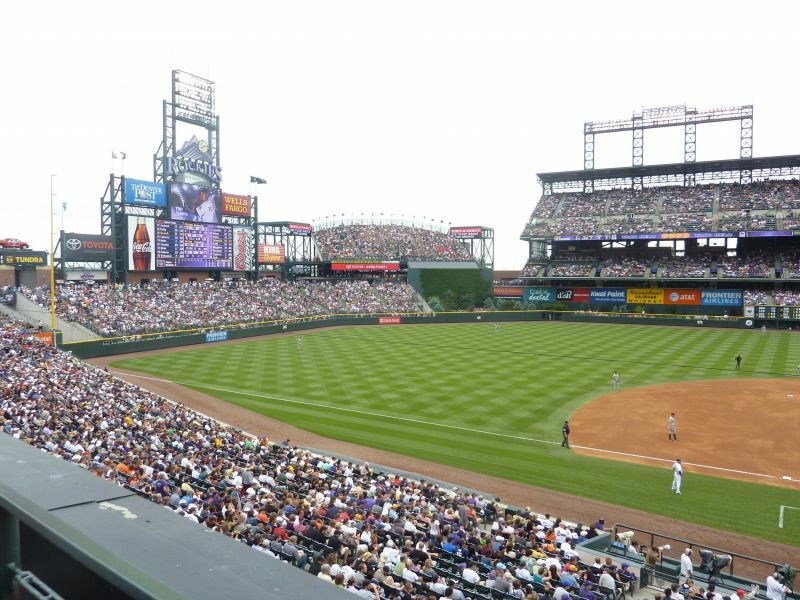 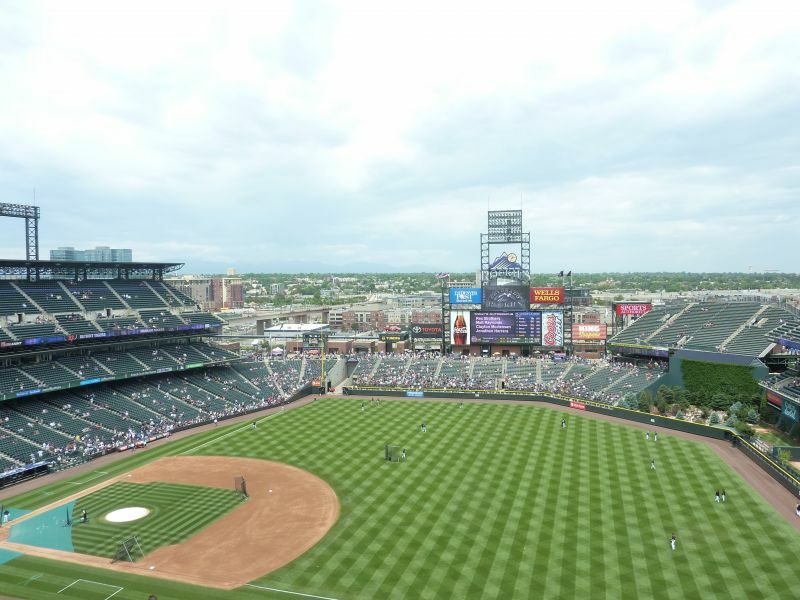 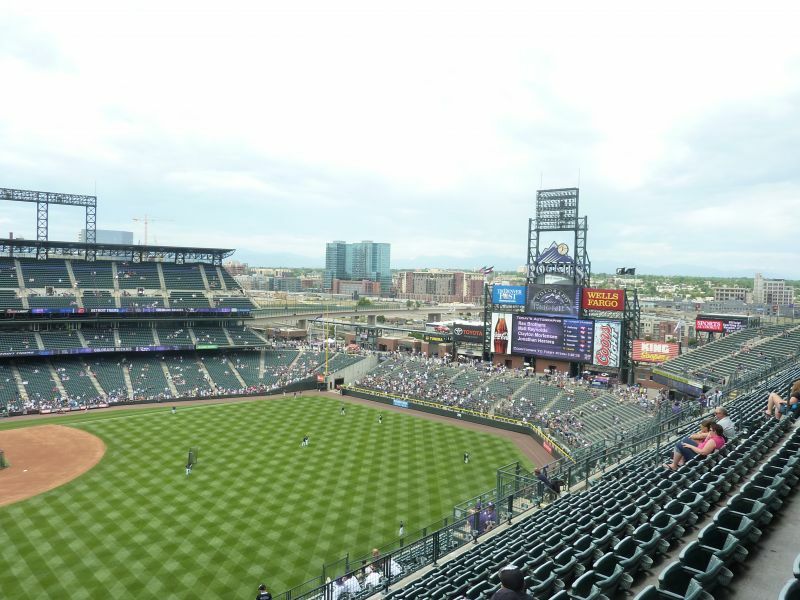 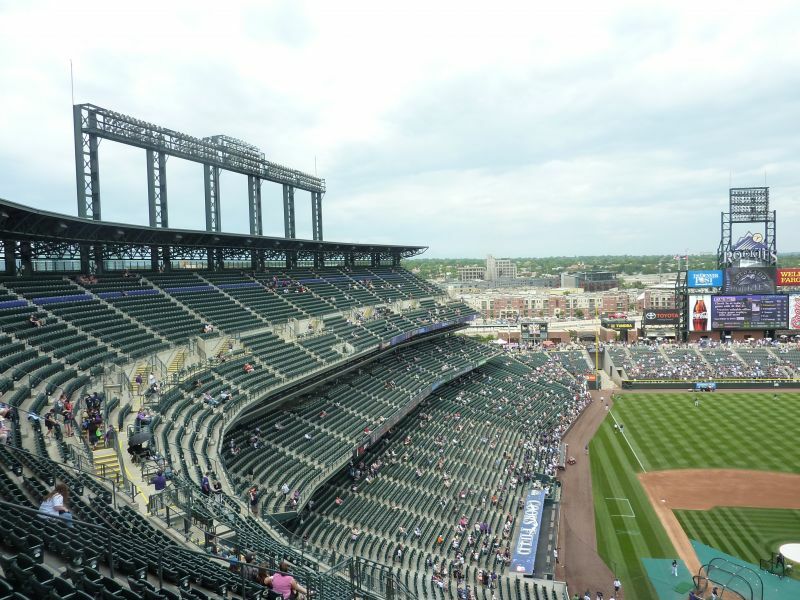 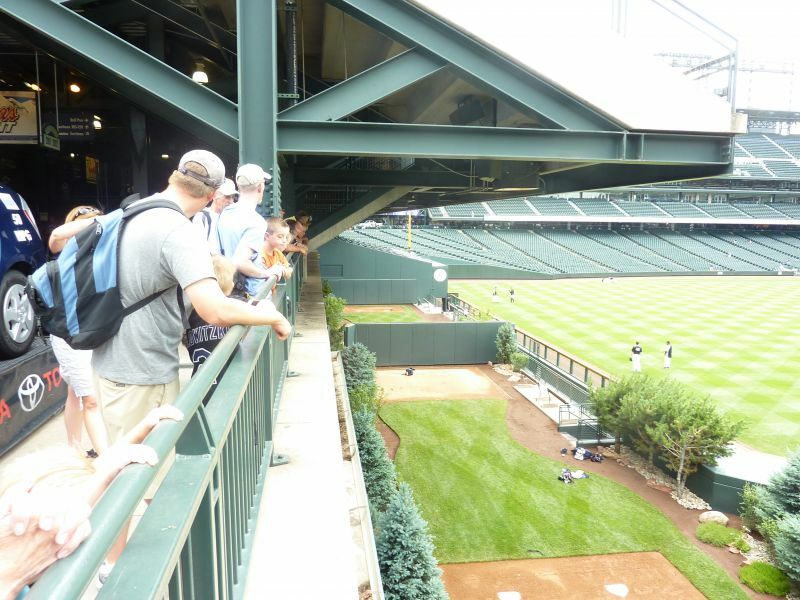 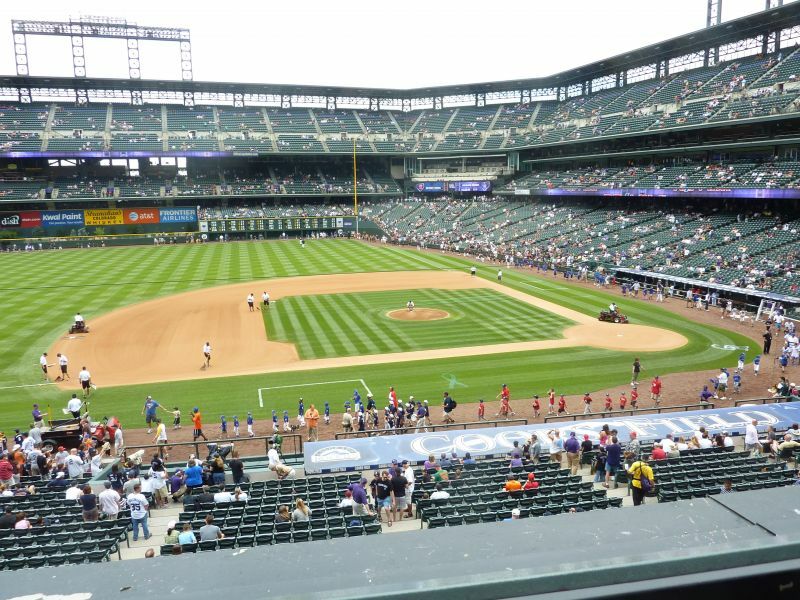 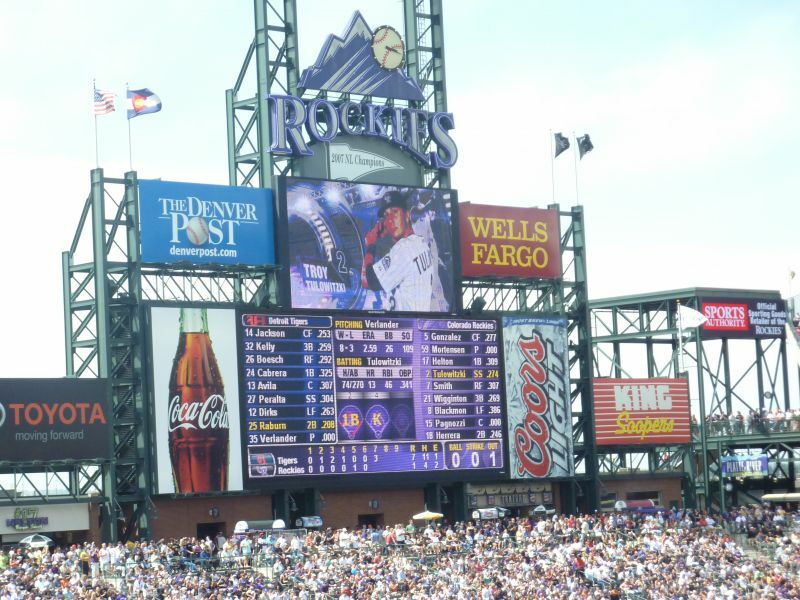 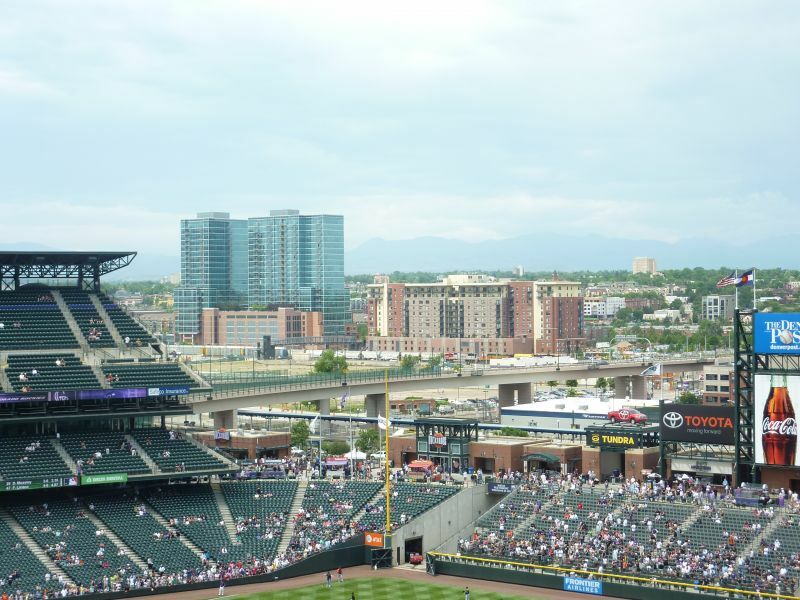 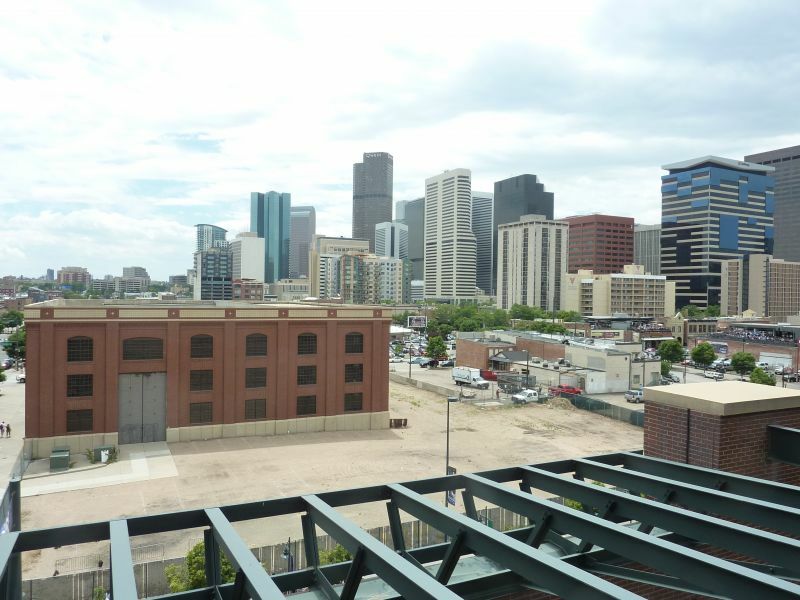 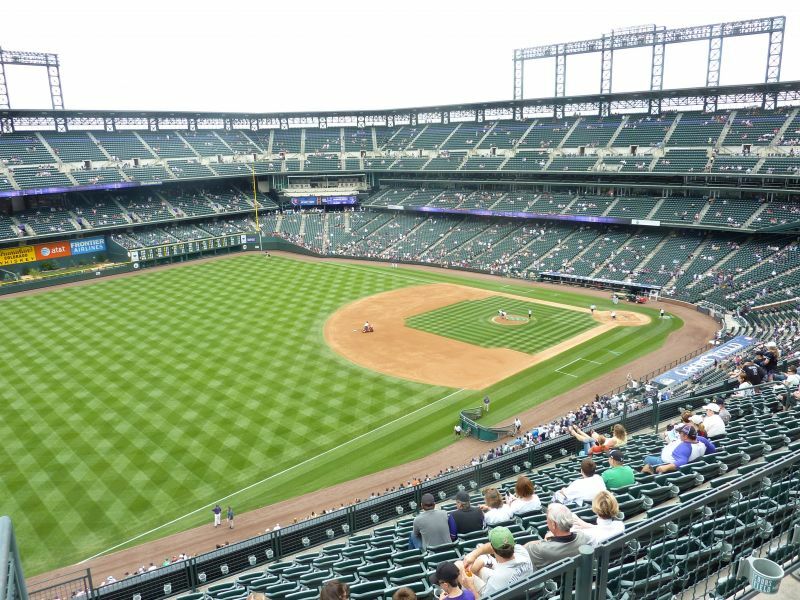 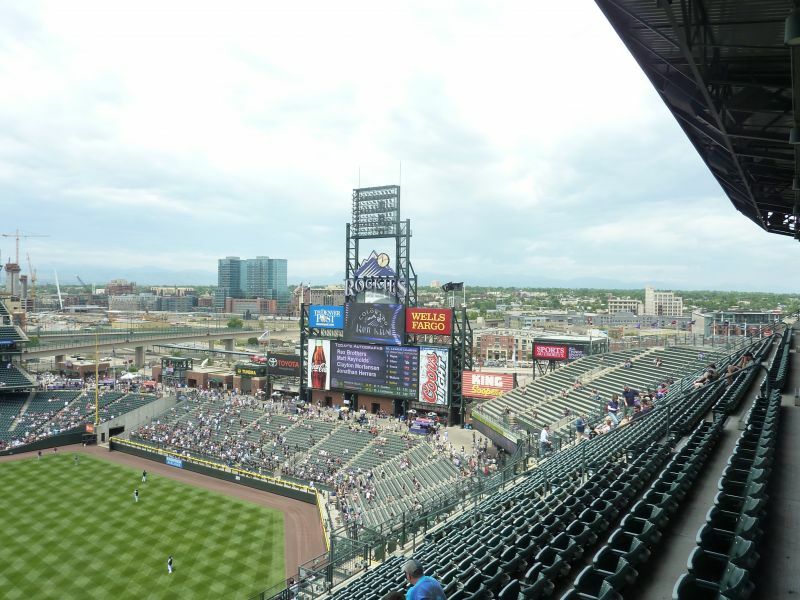 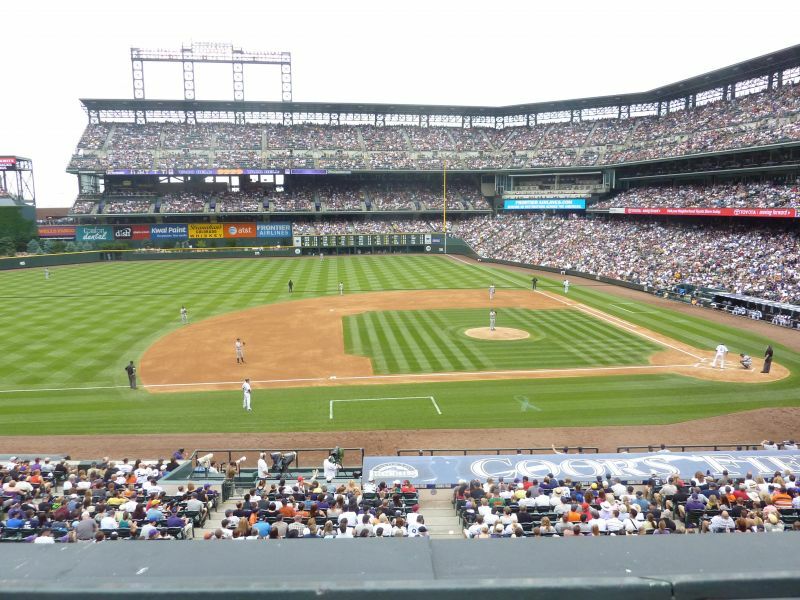 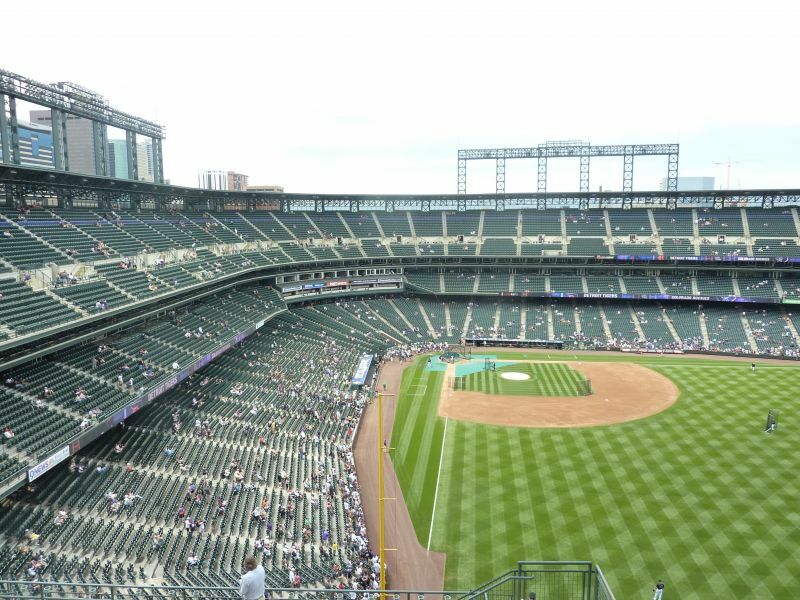 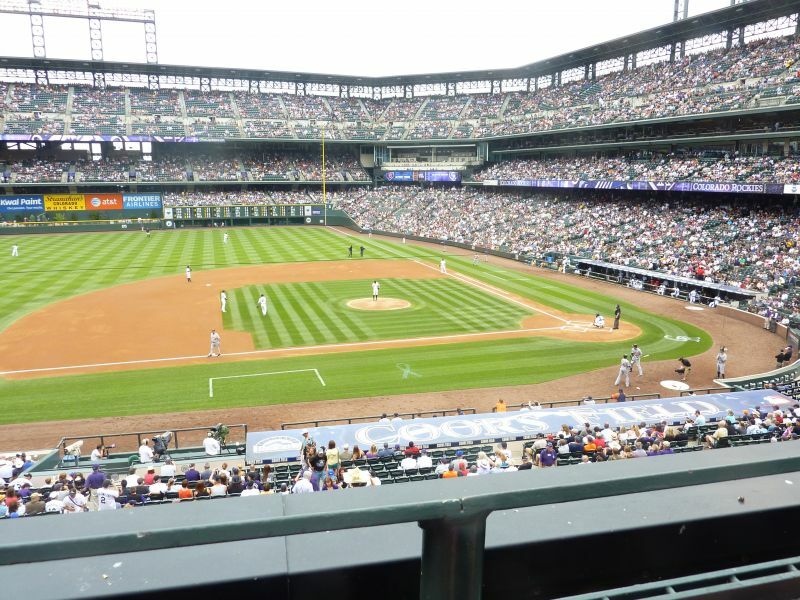 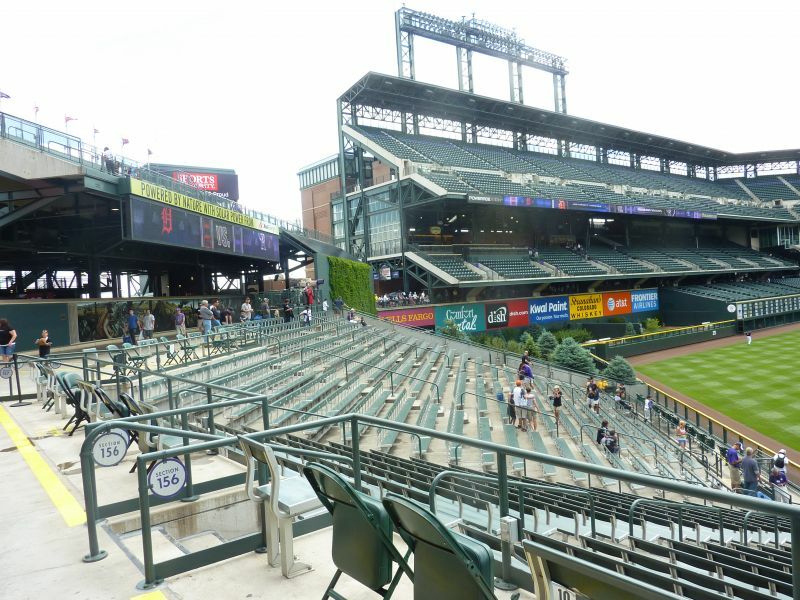 Aesthetically, the bottom line is Coors Field doesn’t have the fantastic views or urban integration you would expect for such an outstanding location, primarily because of the way they choose to orient the ballpark. 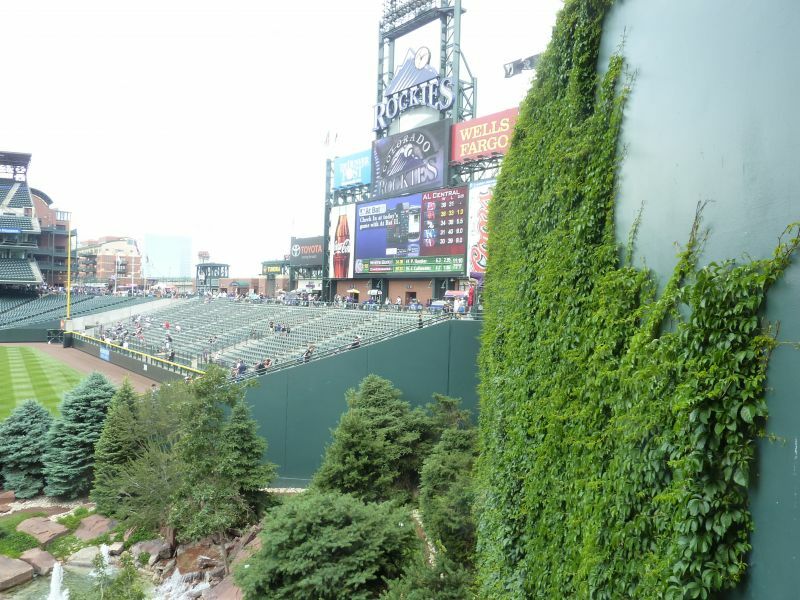 Integrating the mountain views into the ballpark down the left field line is fantastic in theory, but it just doesn’t work because they’re too far away and not oriented toward most of the park. 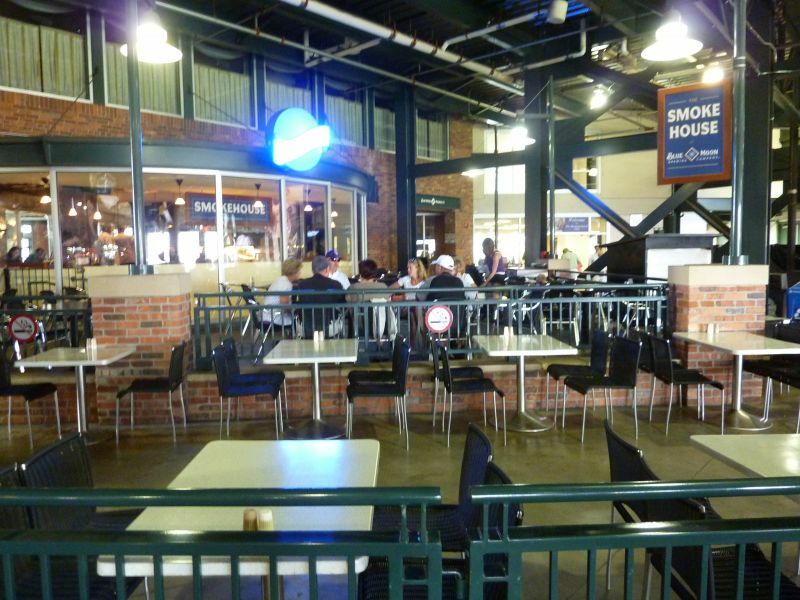 Once you take away that, it’s one of the blander interior designs in baseball, especially in comparison to those that opened before it. 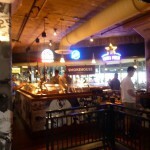 We see the urban environment seep into Camden and Jacobs unlike any other. 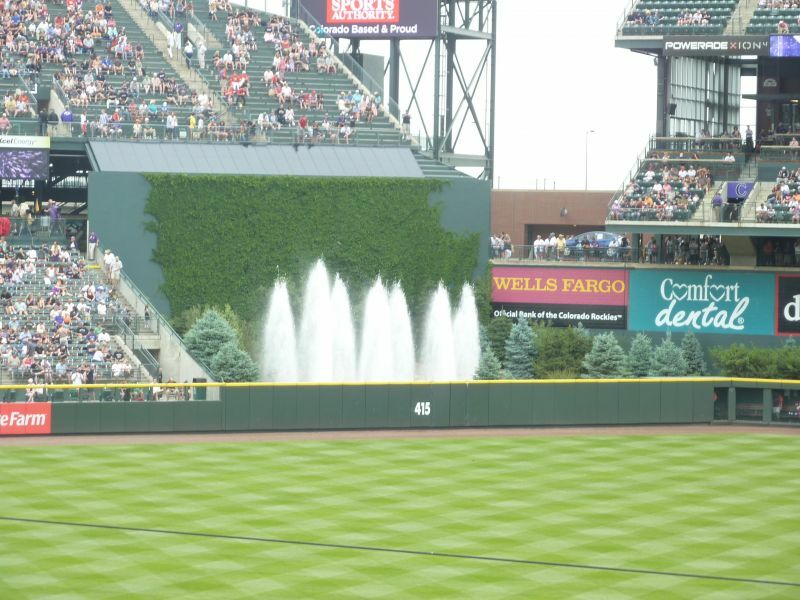 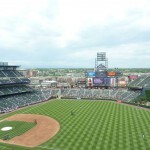 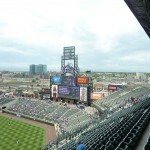 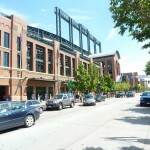 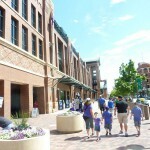 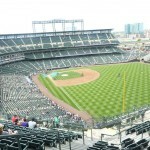 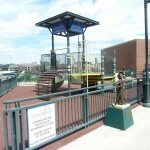 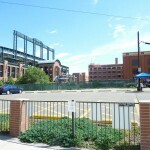 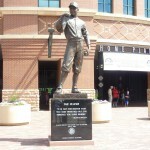 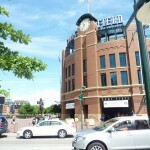 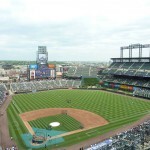 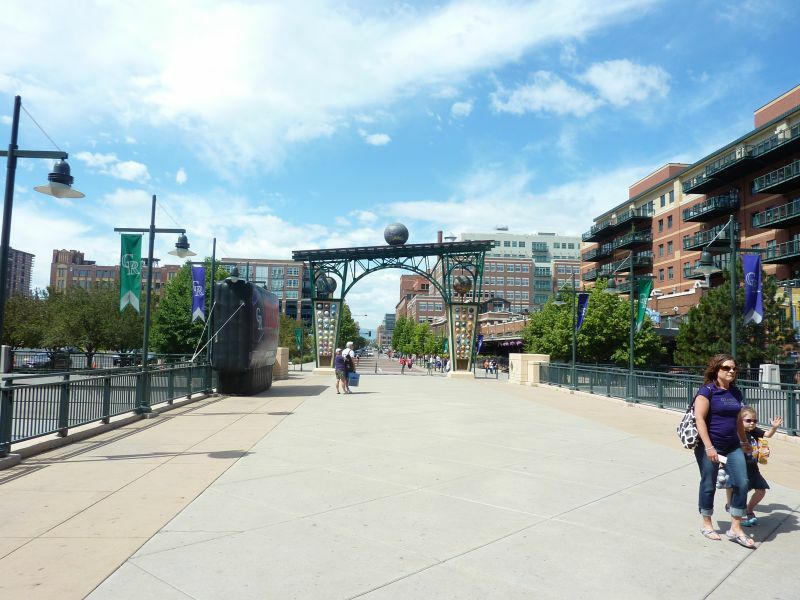 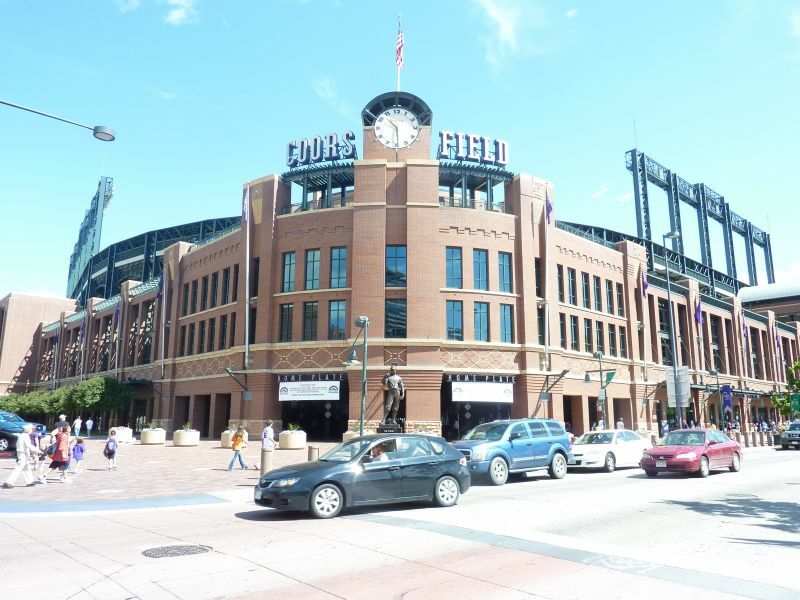 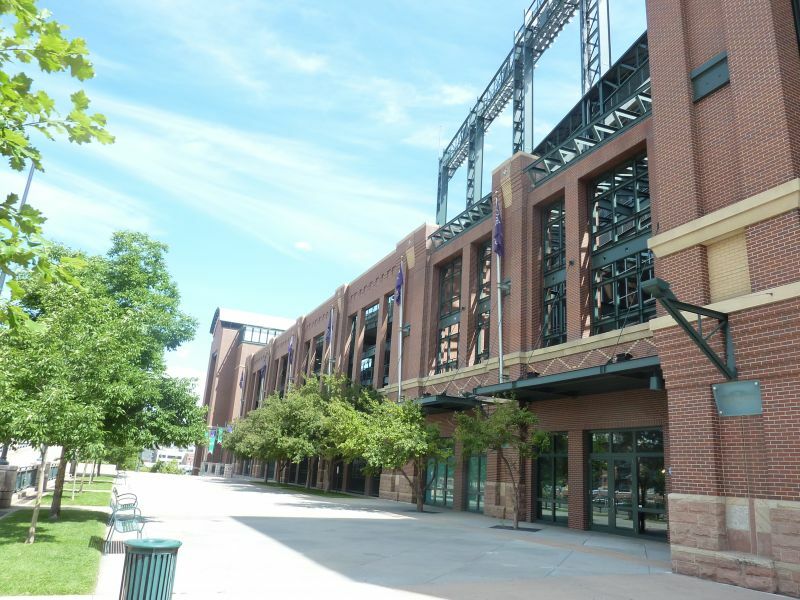 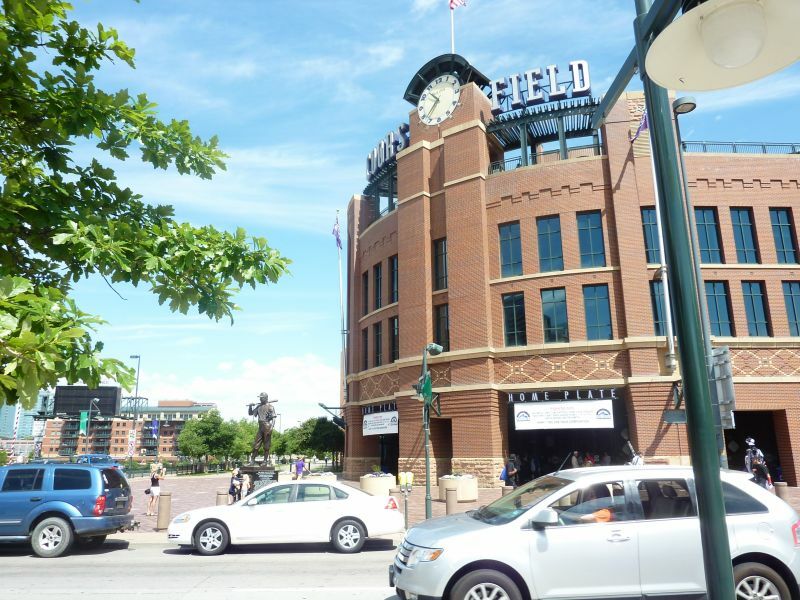 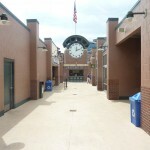 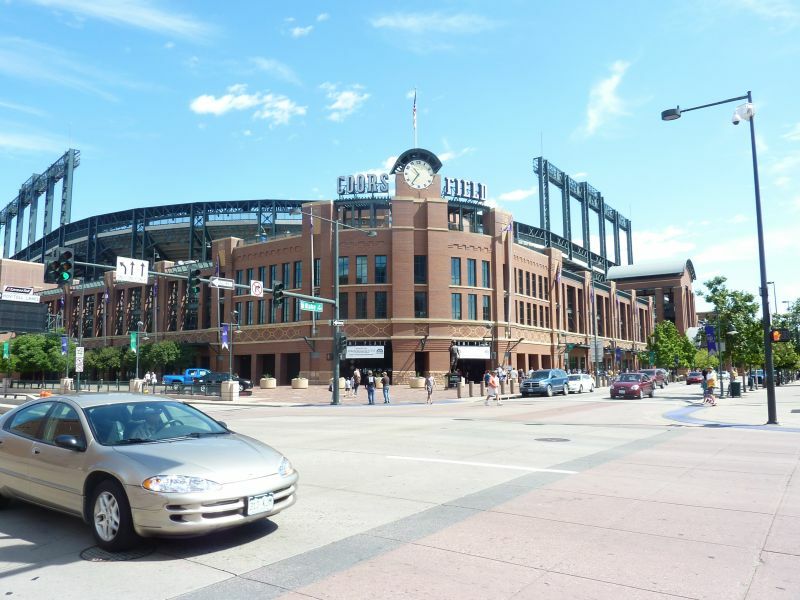 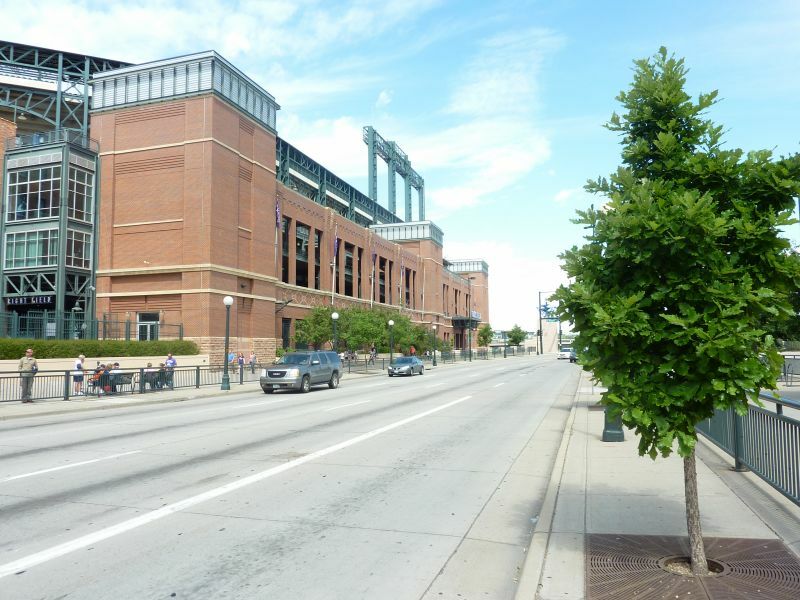 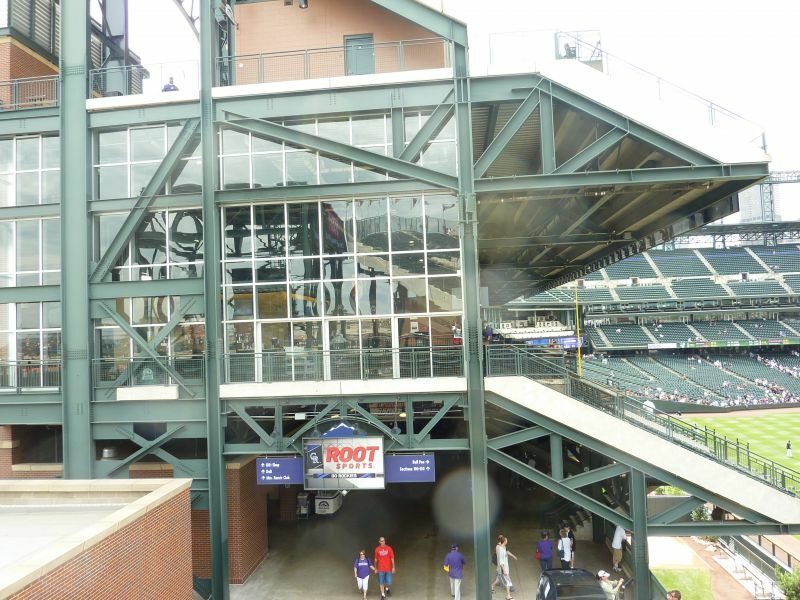 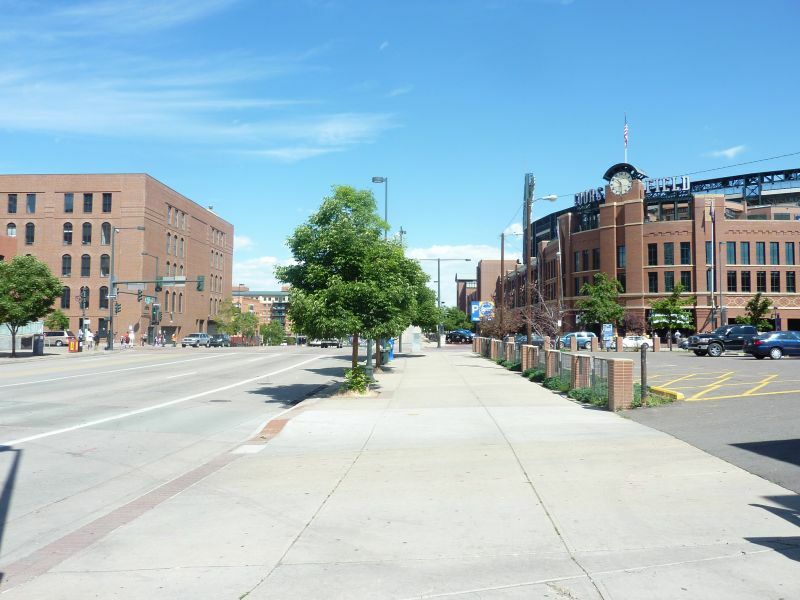 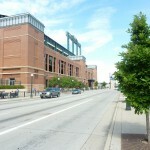 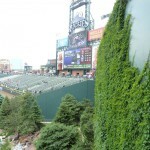 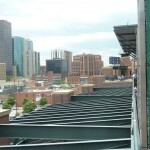 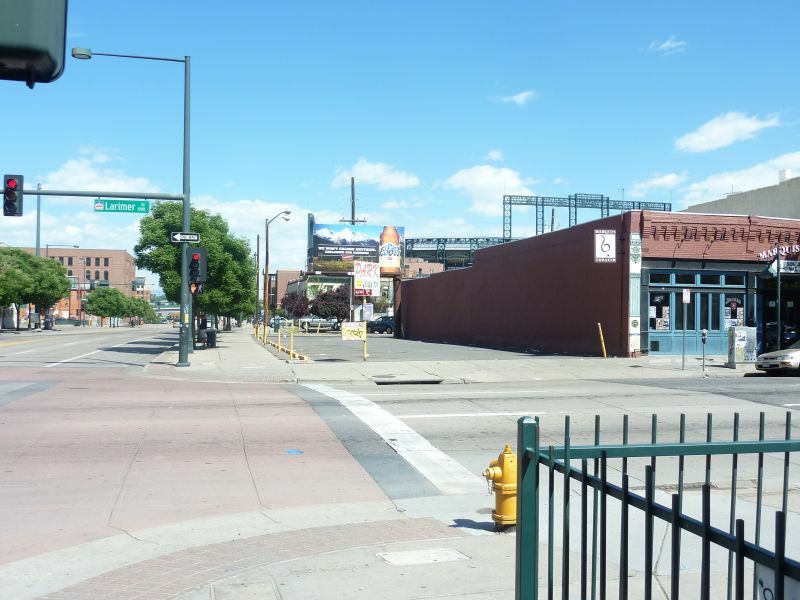 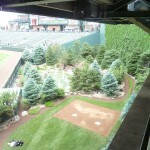 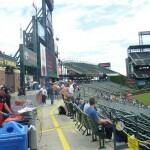 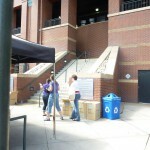 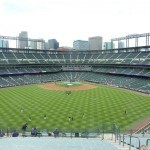 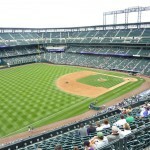 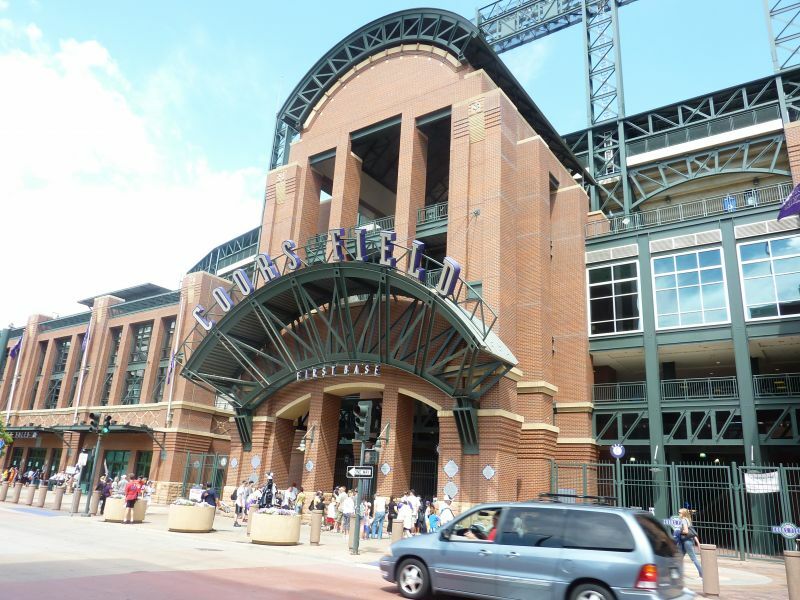 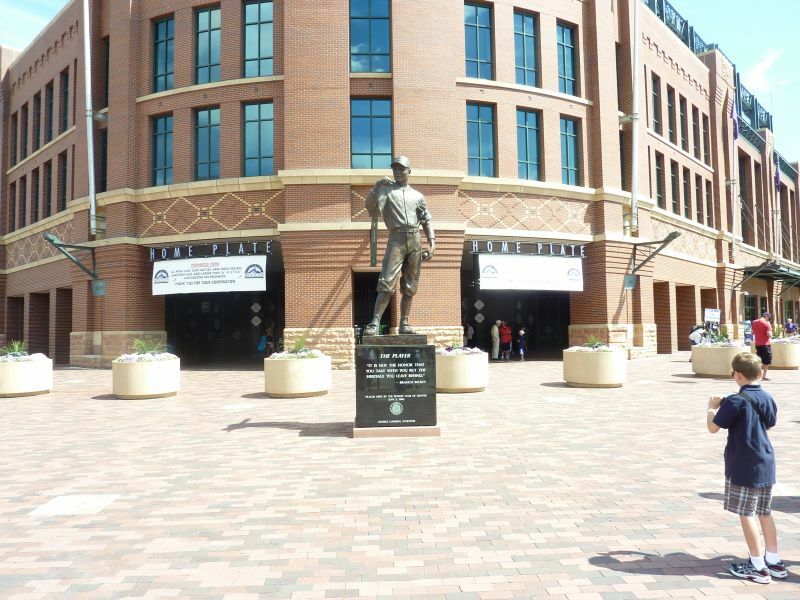 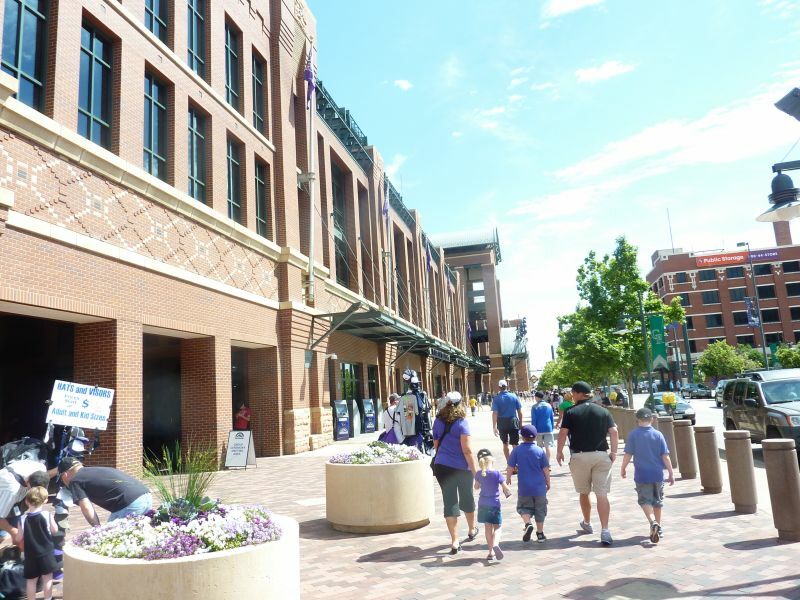 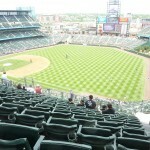 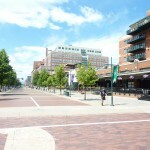 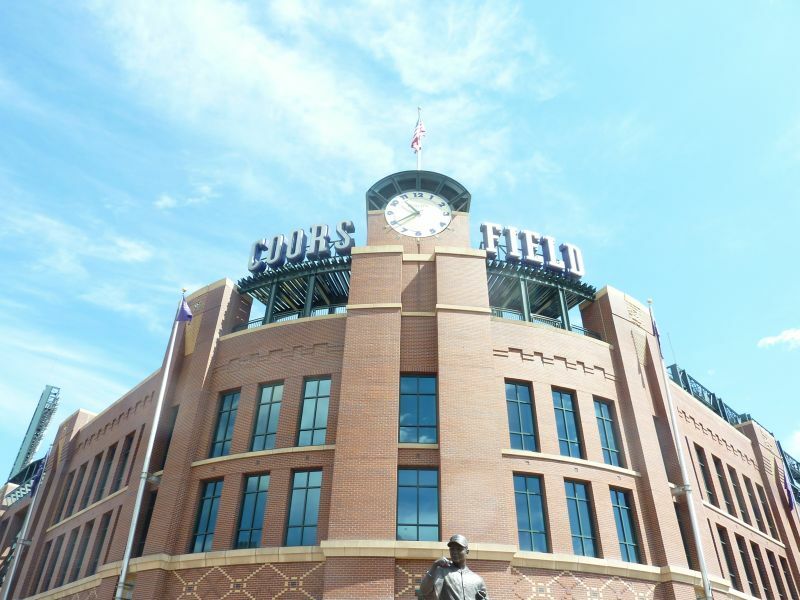 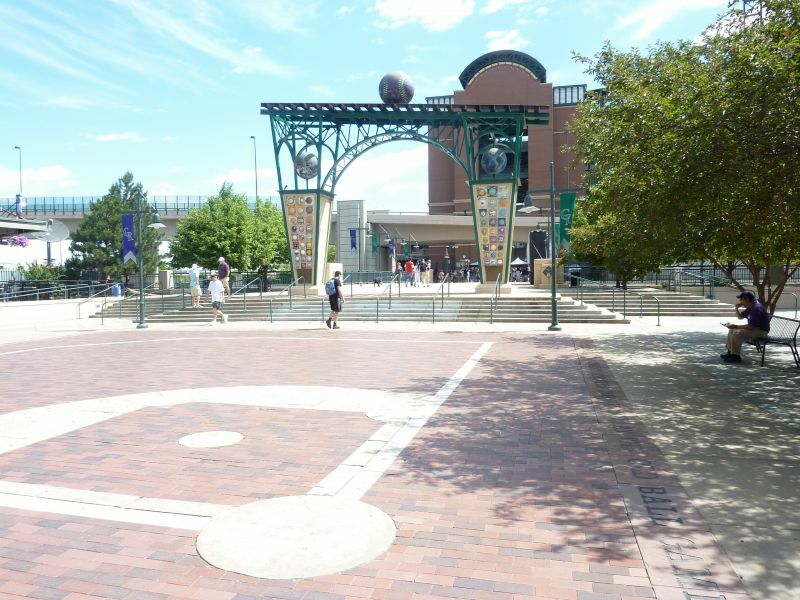 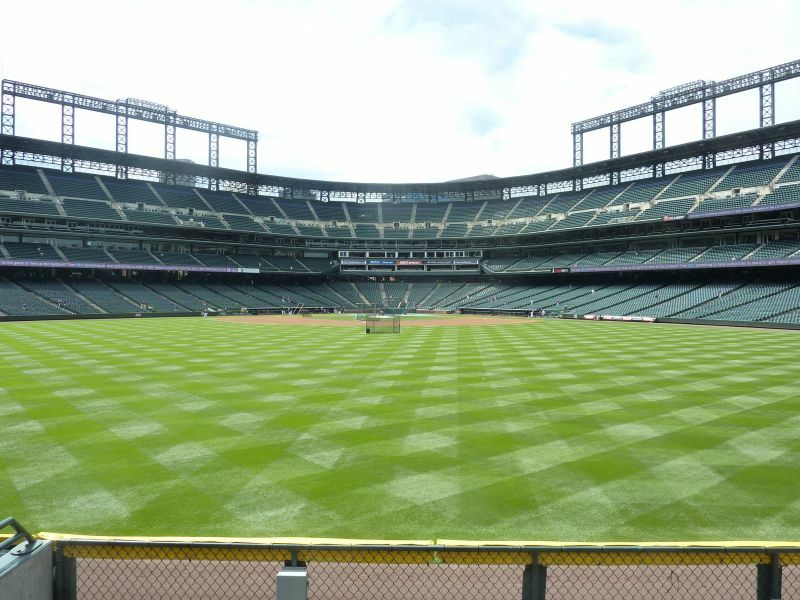 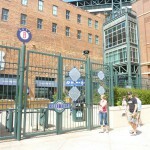 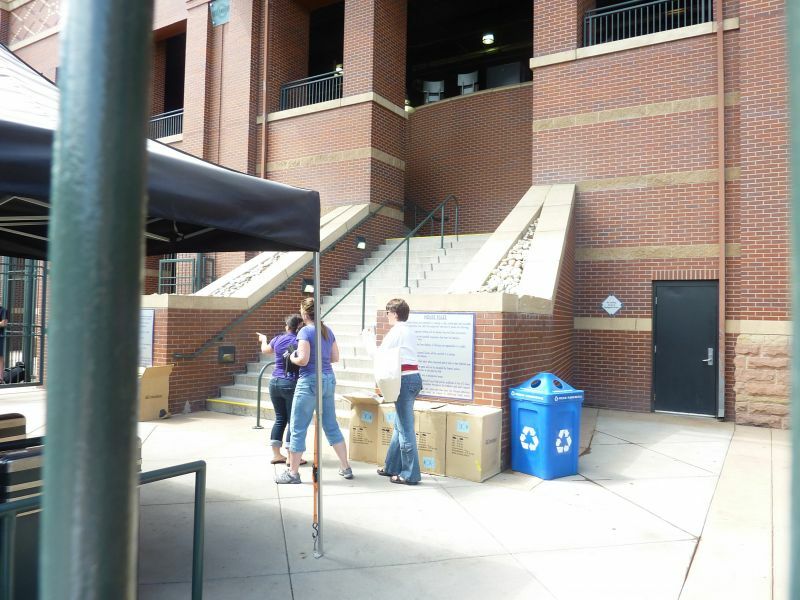 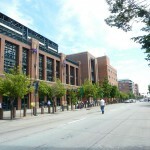 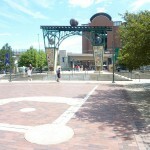 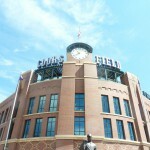 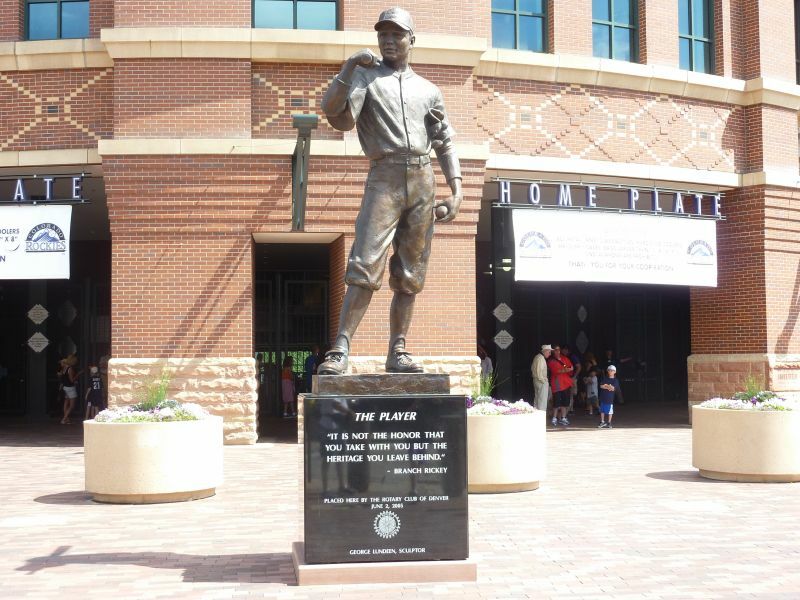 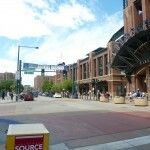 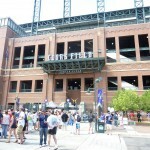 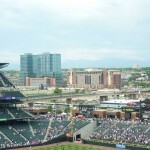 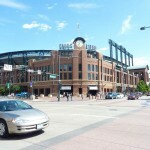 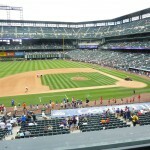 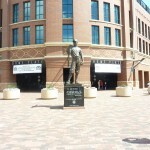 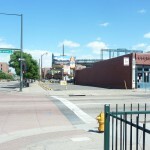 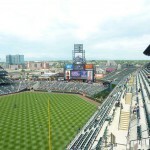 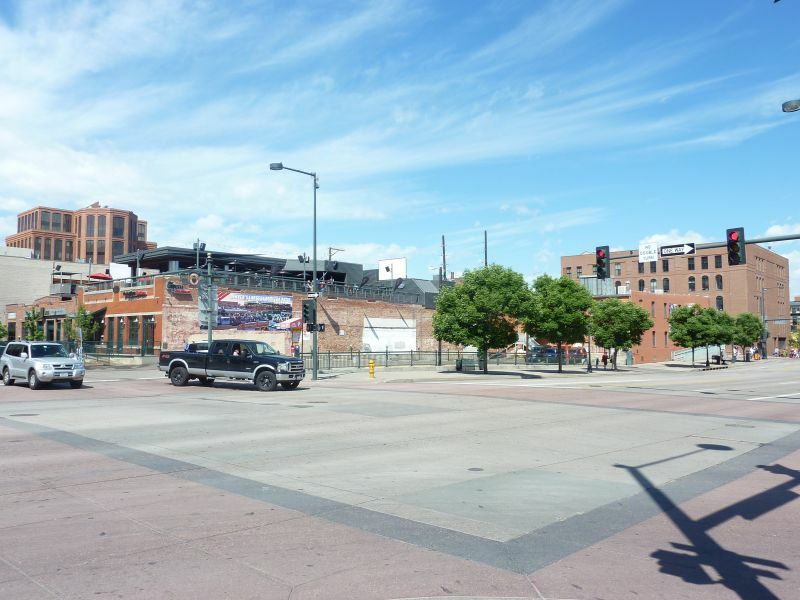 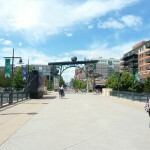 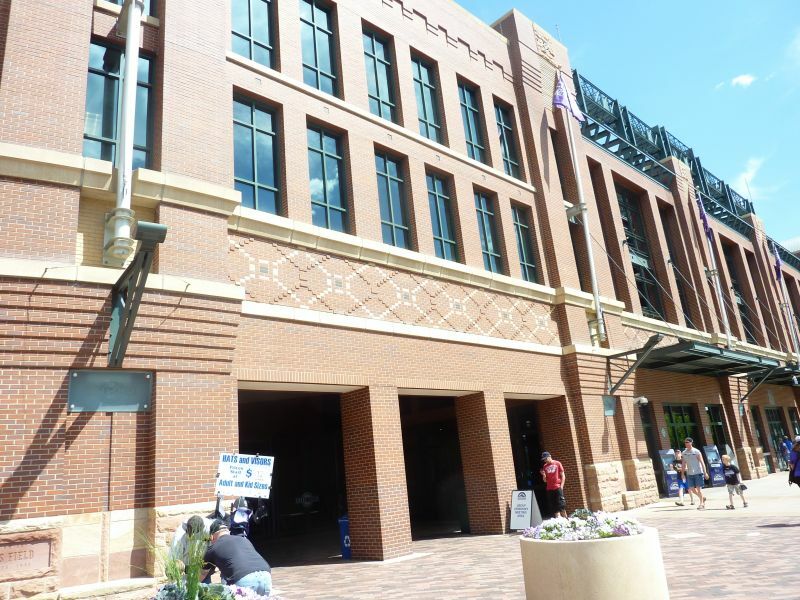 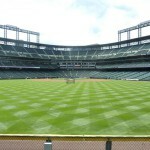 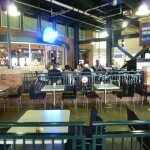 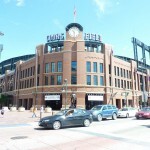 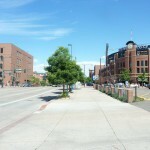 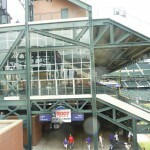 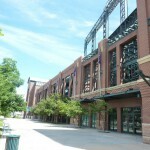 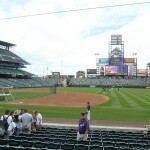 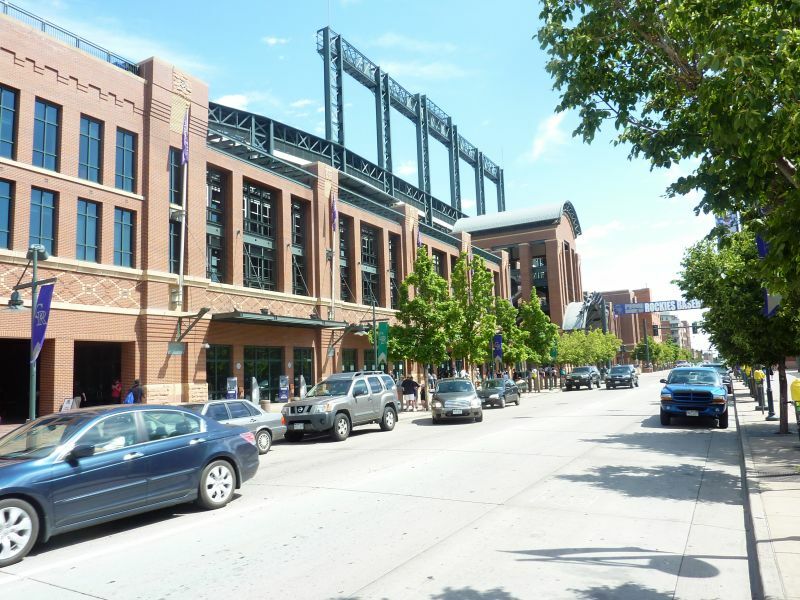 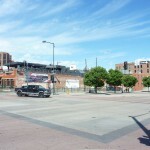 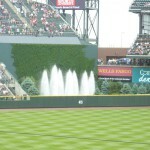 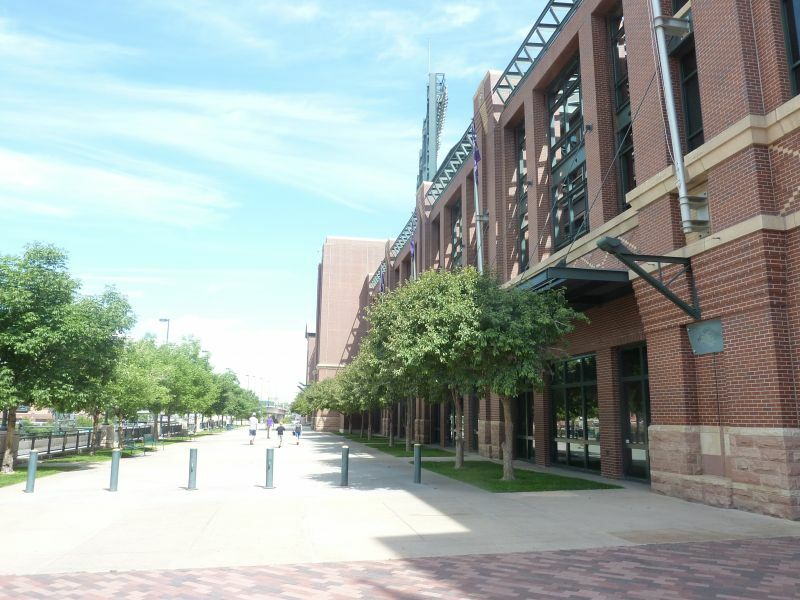 Where’s the red brick of LoDo on the inside of Coors Field? 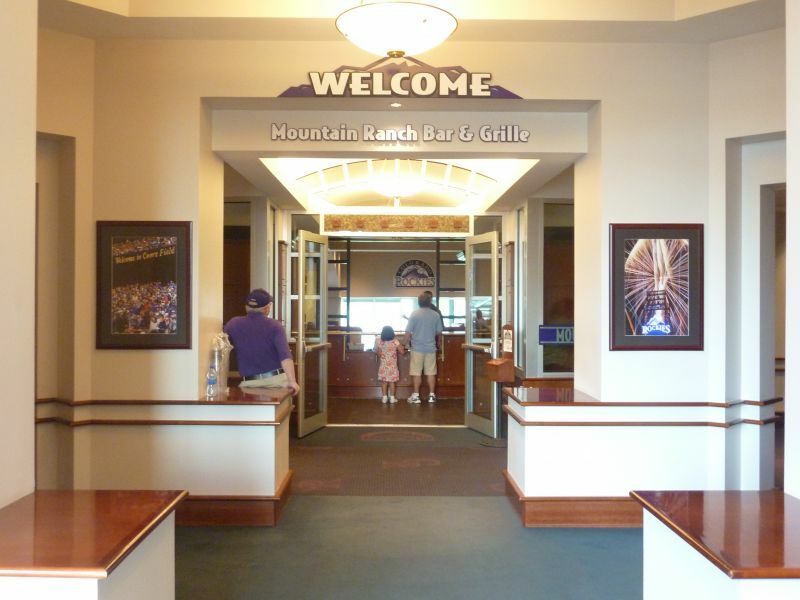 For as great as the outside is, they weren’t entirely successful in replicating that vital connection to context on the inside, despite the attempted mountain views. 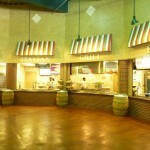 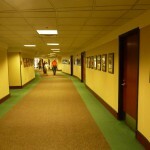 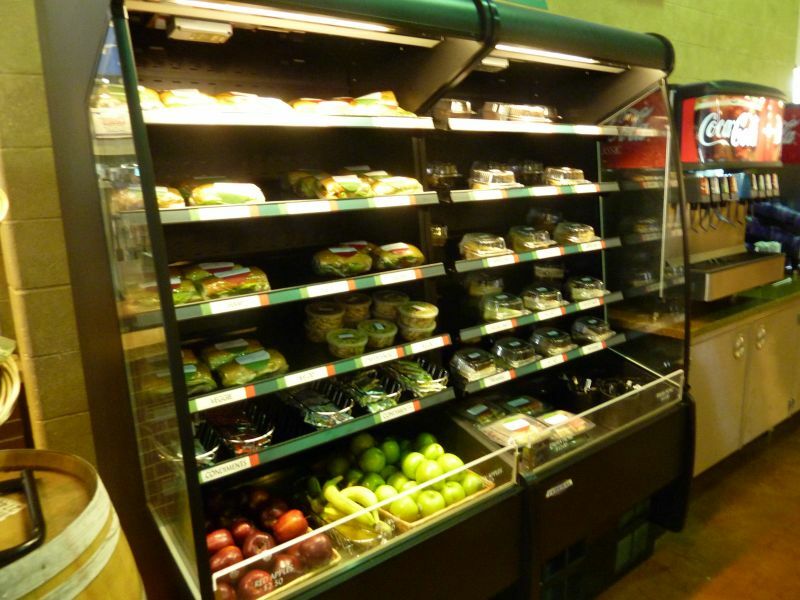 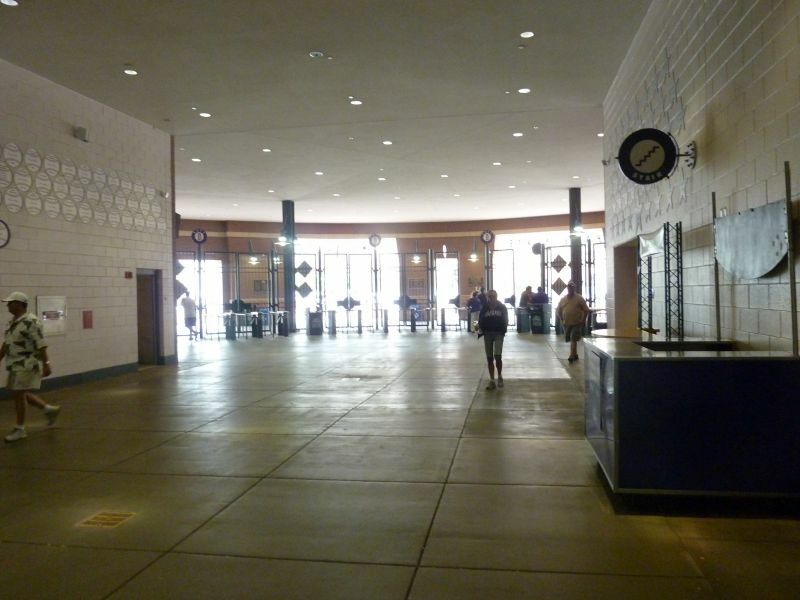 But at the same time, it looks so unassuming, it’s hard not to like. 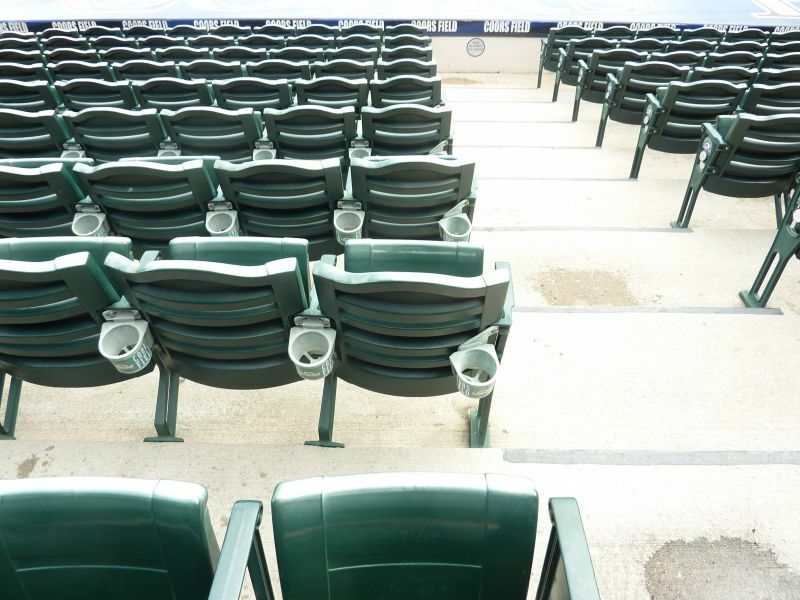 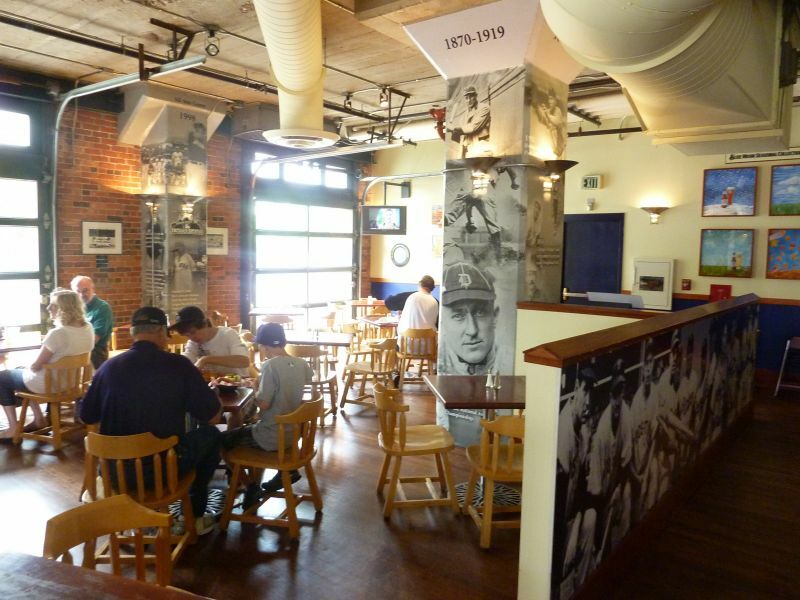 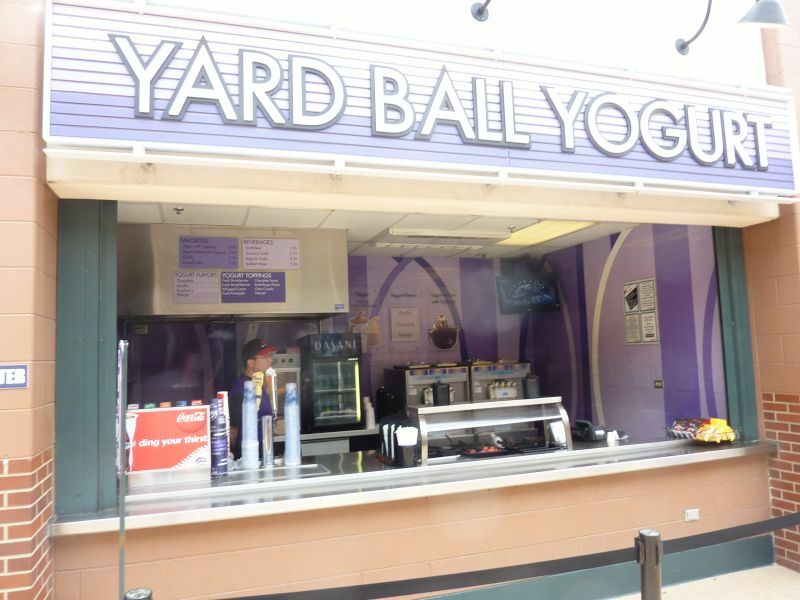 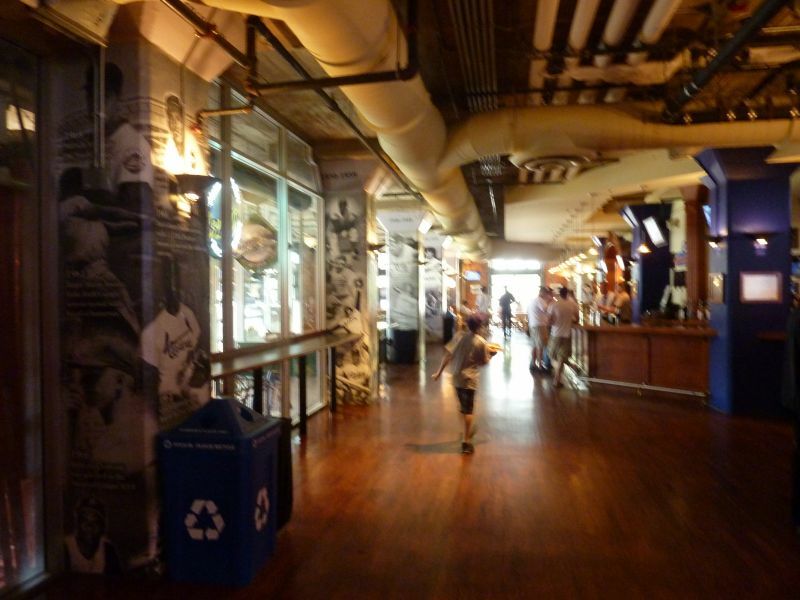 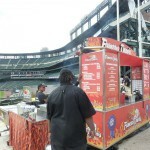 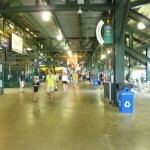 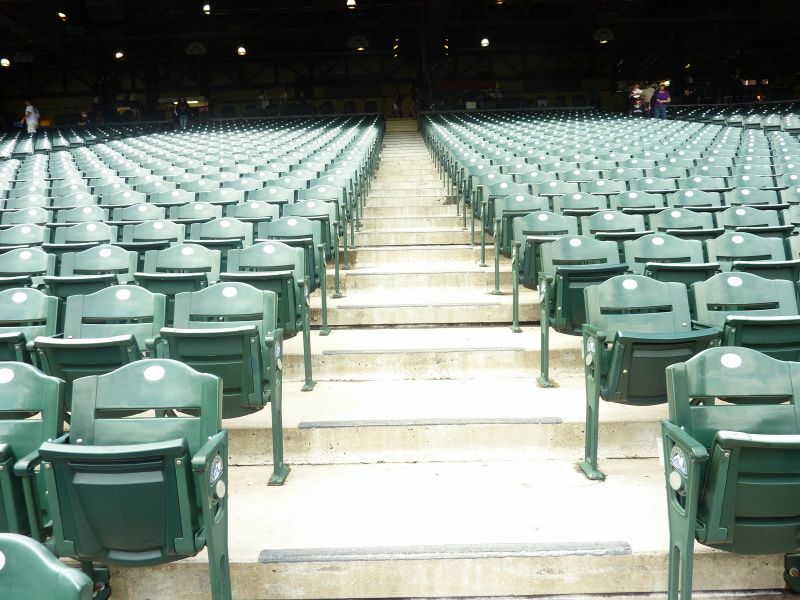 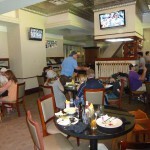 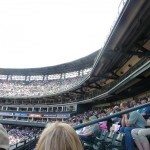 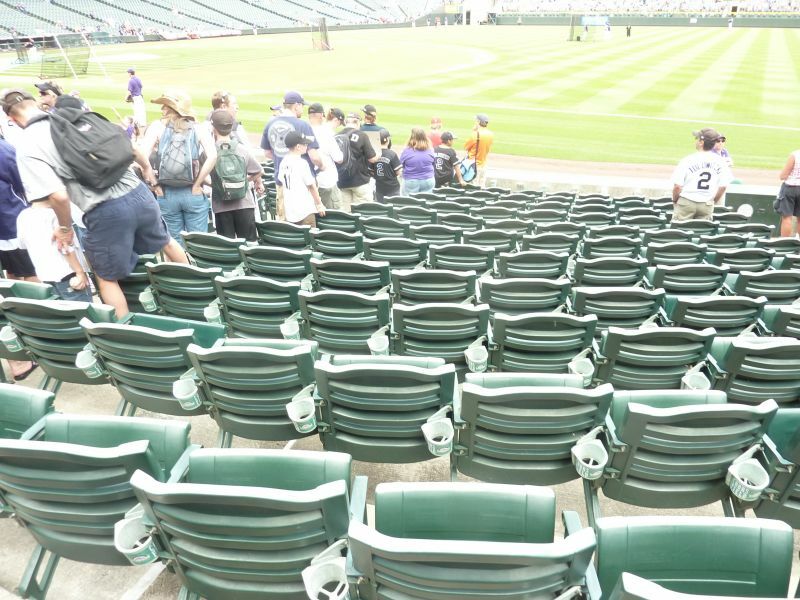 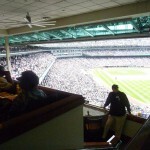 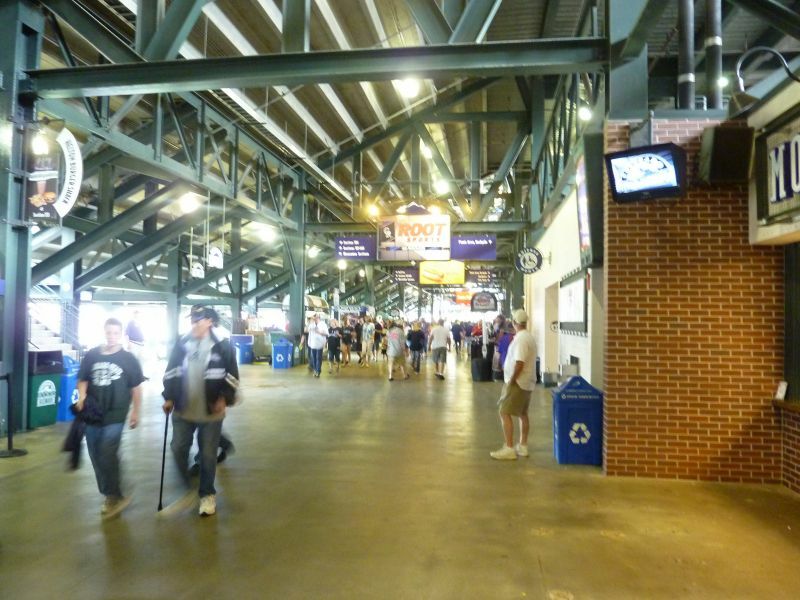 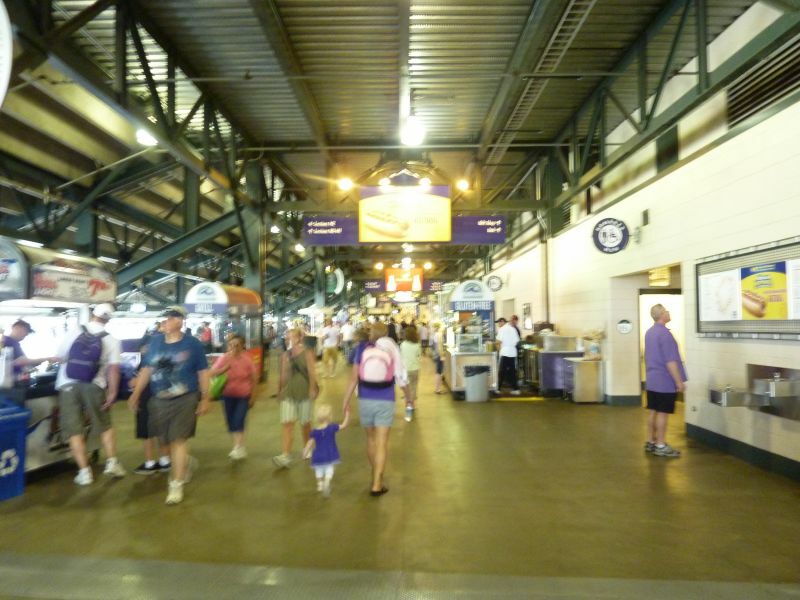 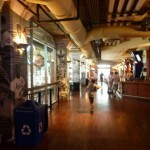 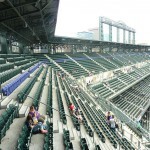 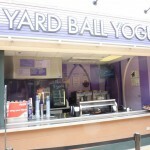 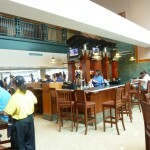 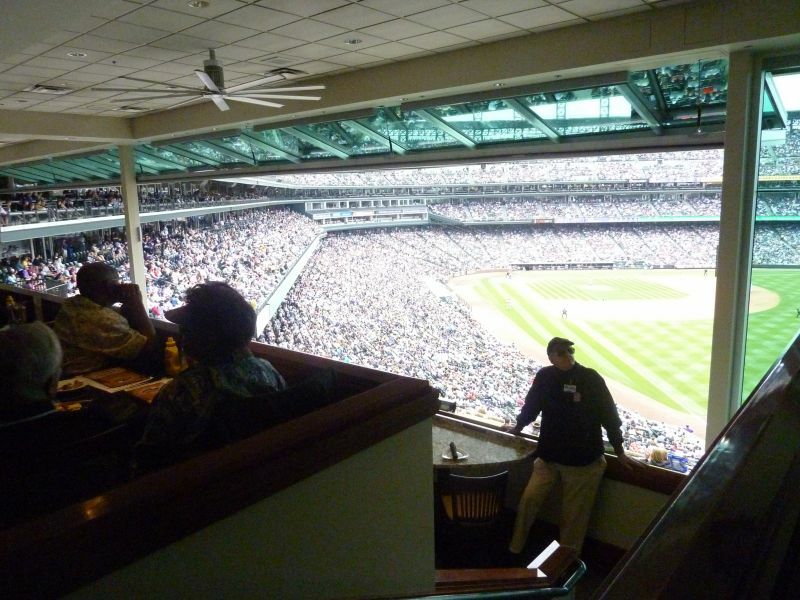 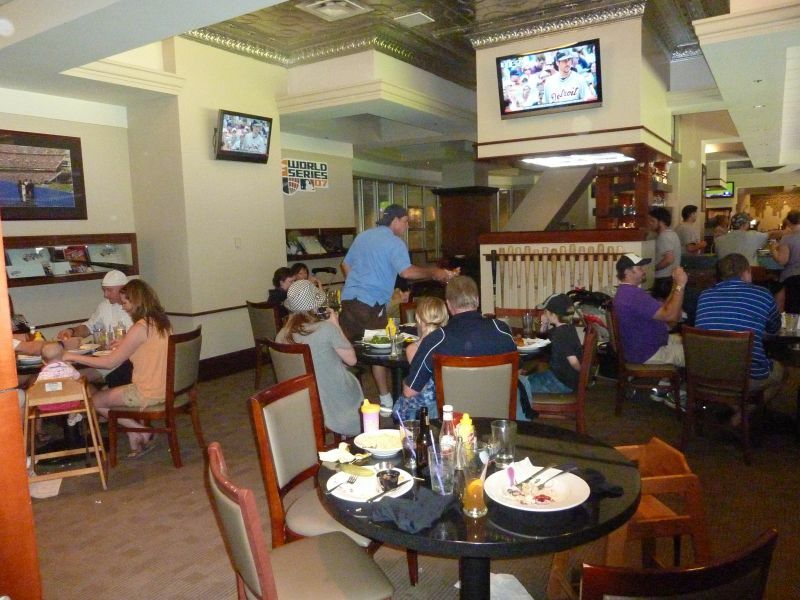 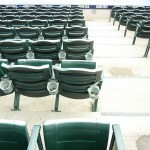 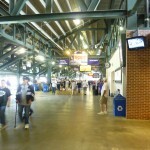 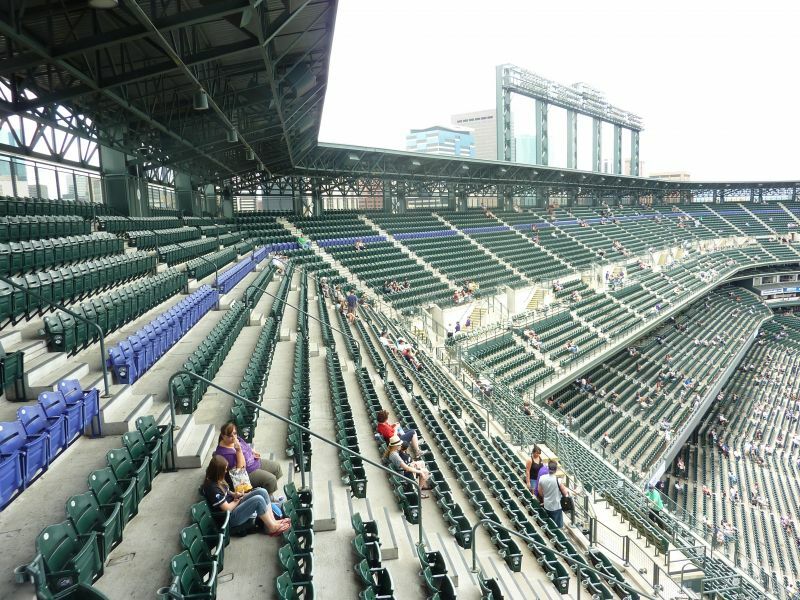 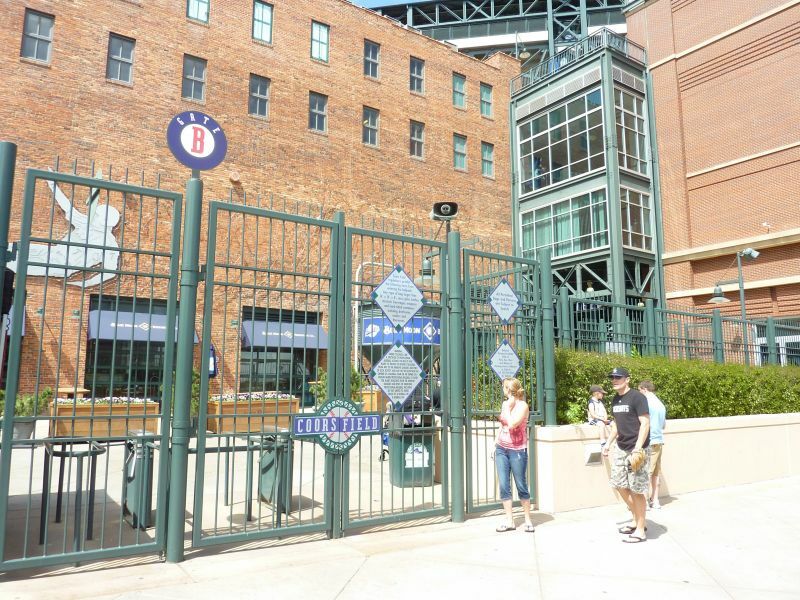 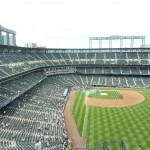 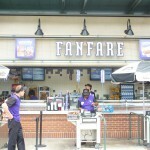 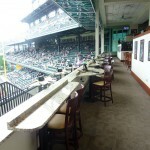 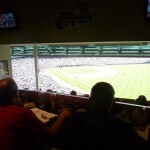 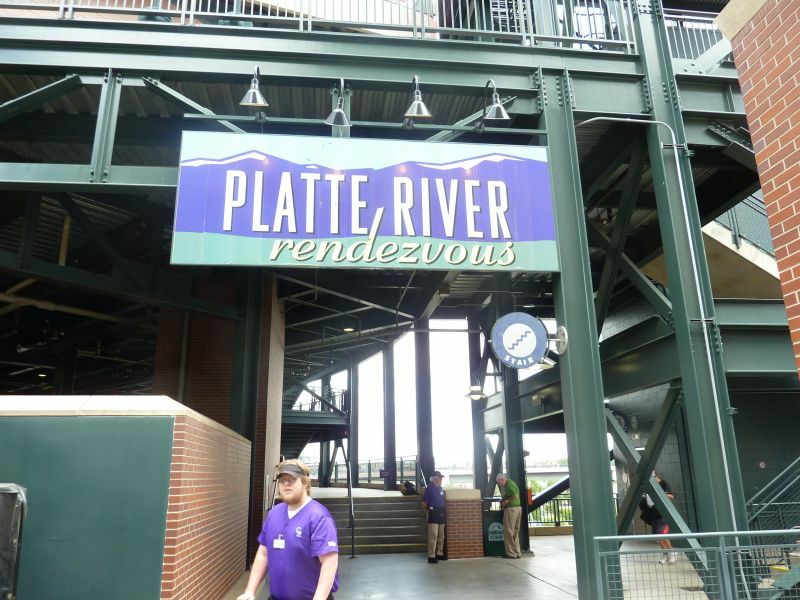 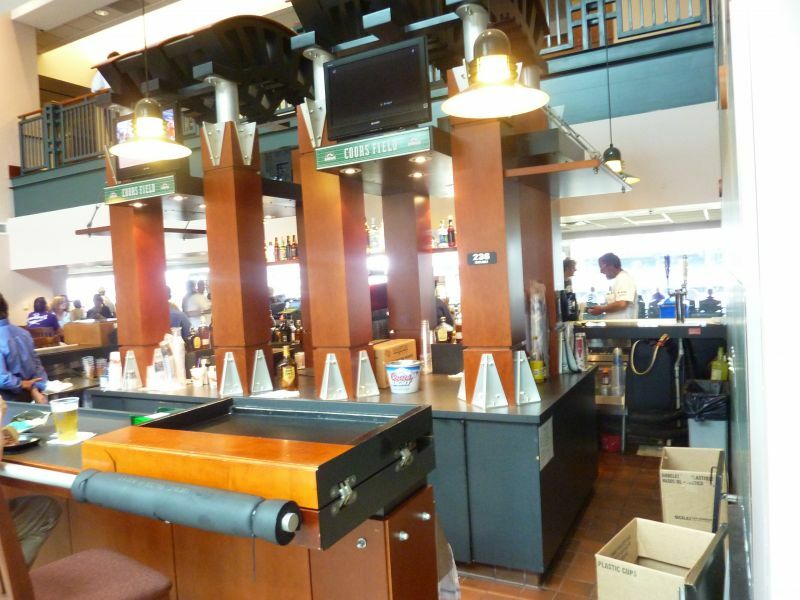 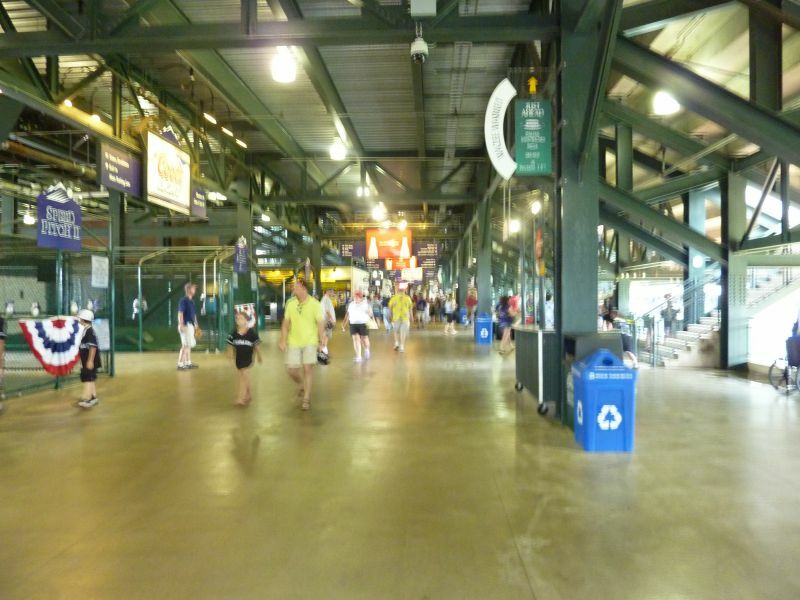 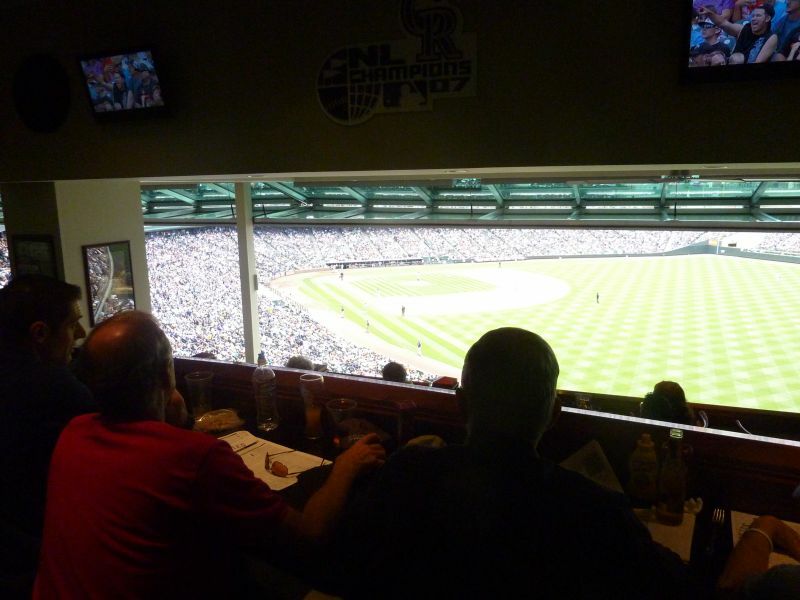 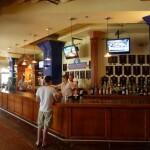 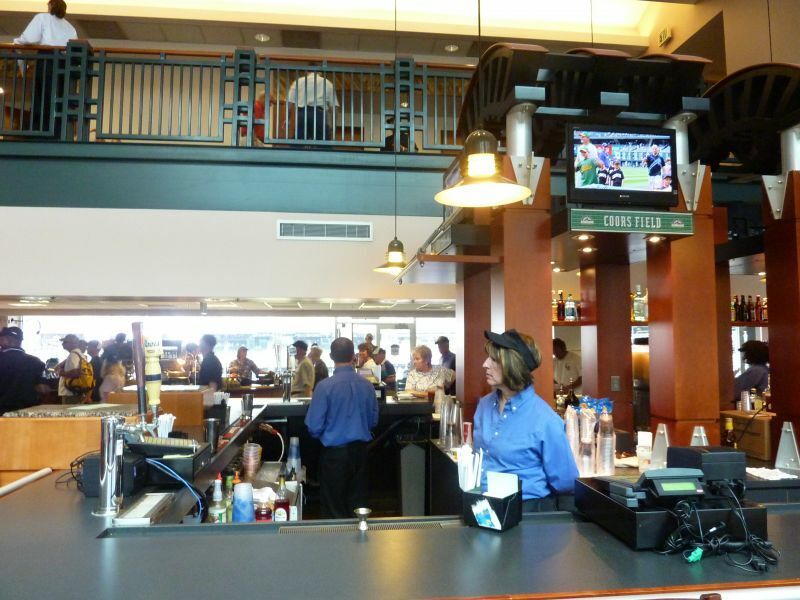 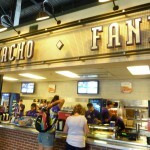 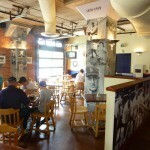 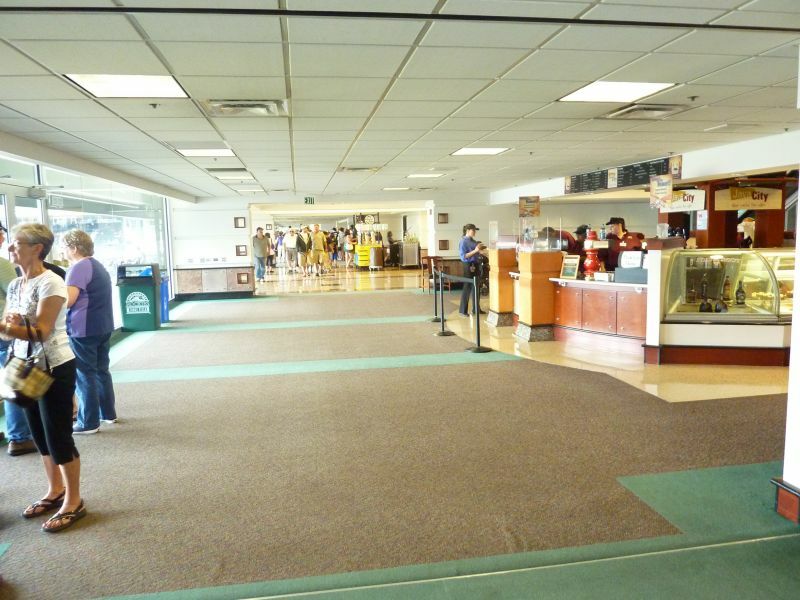 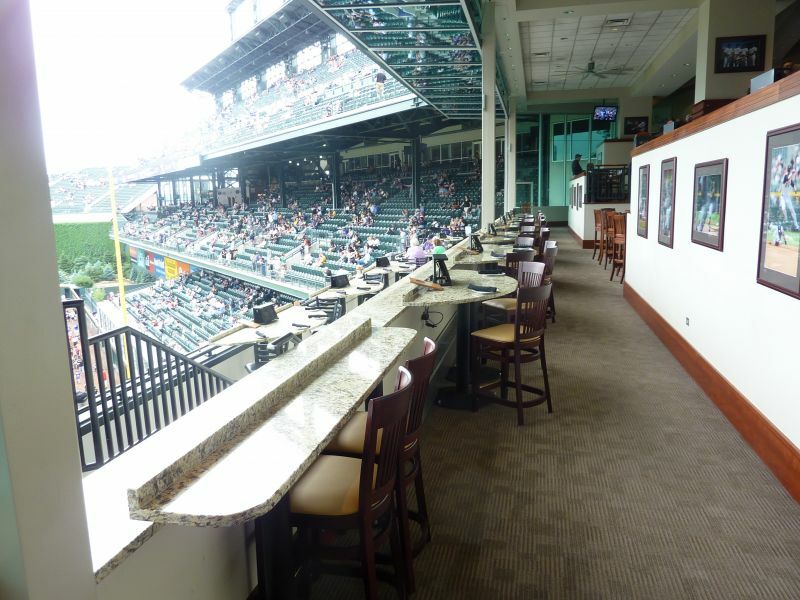 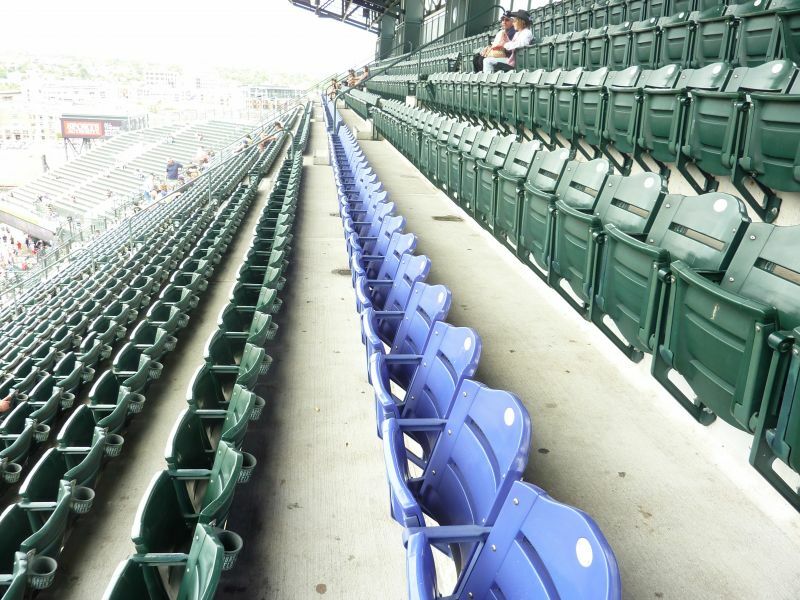 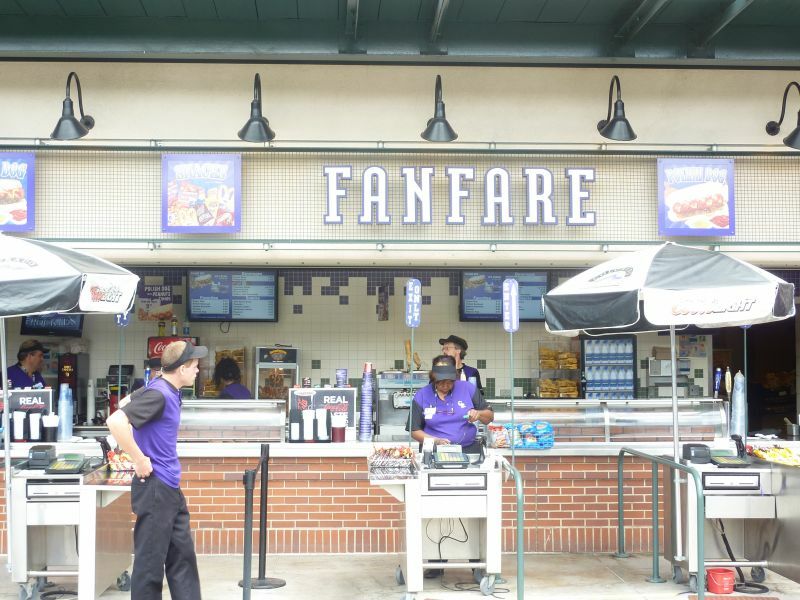 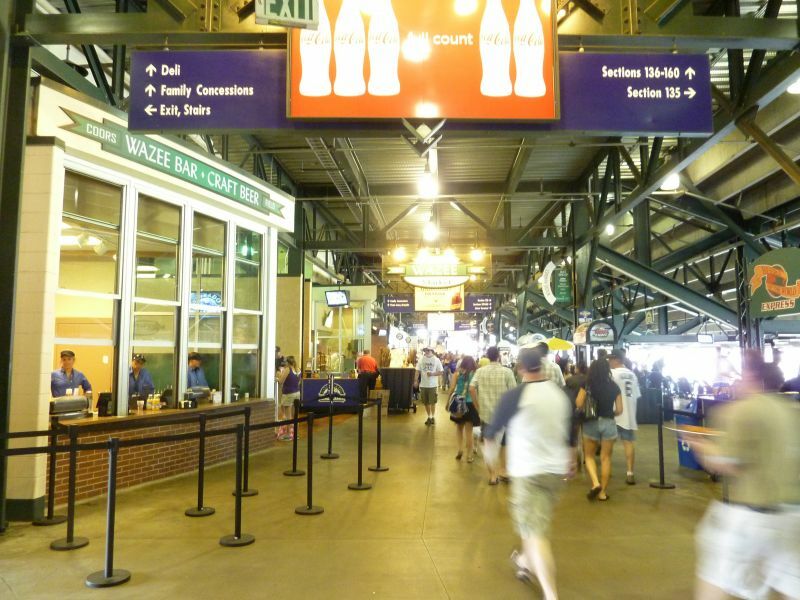 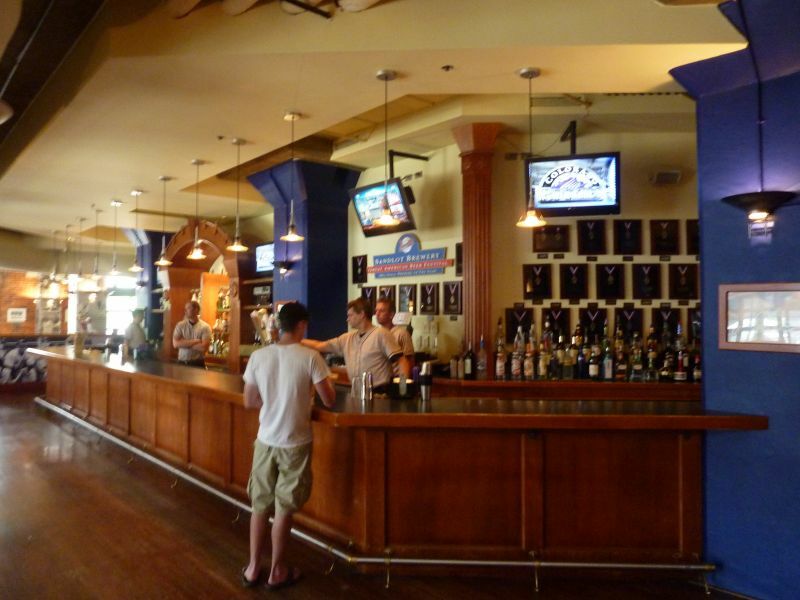 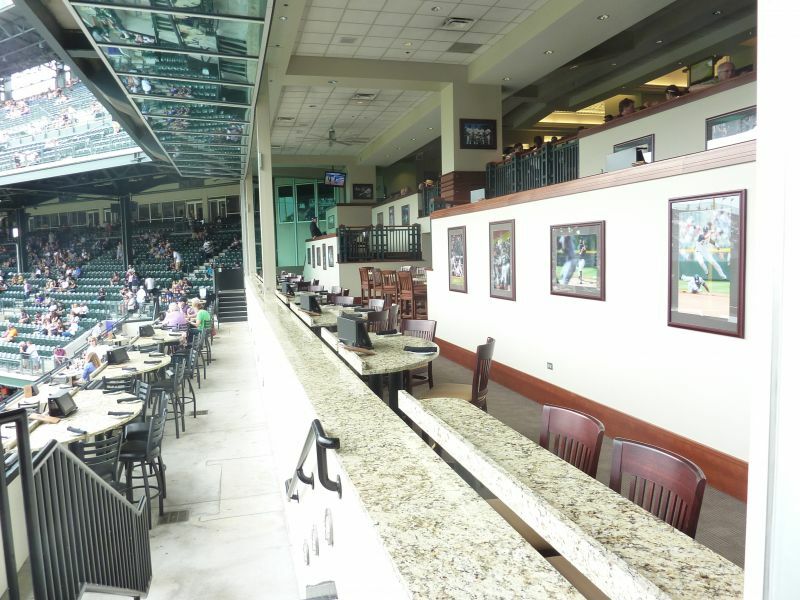 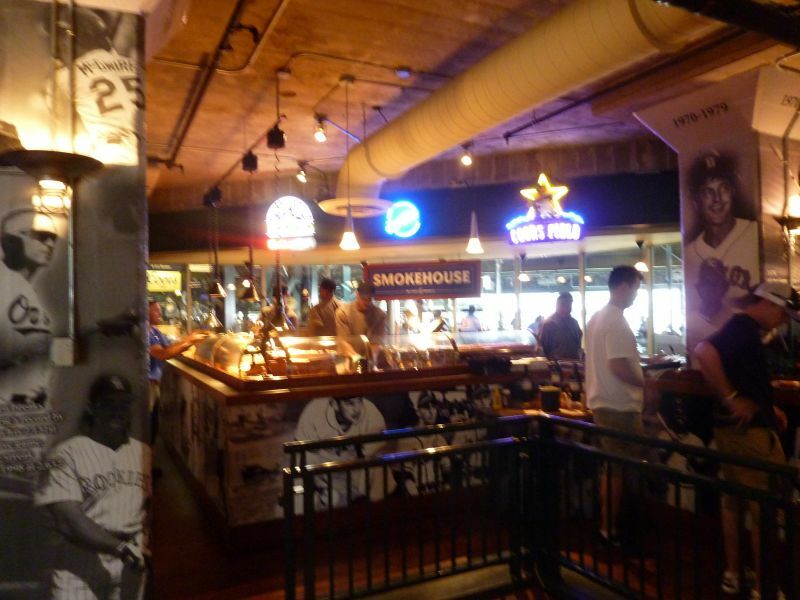 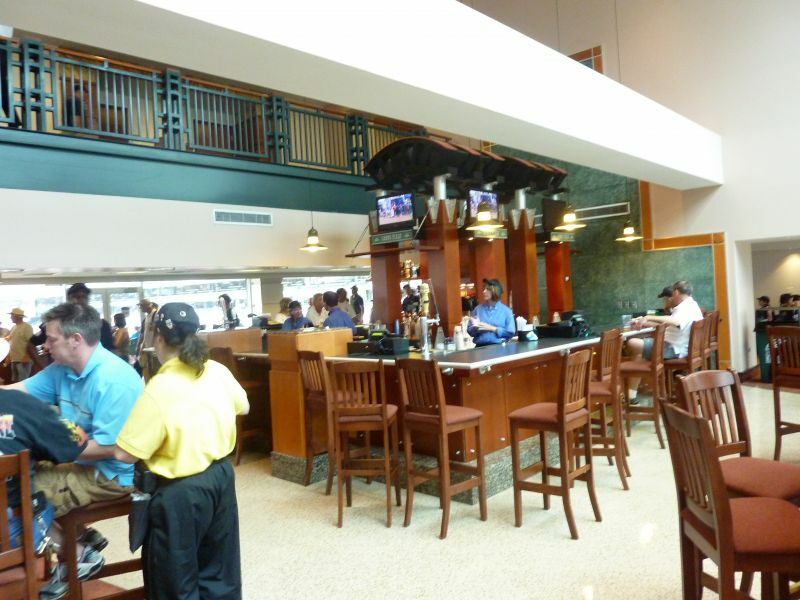 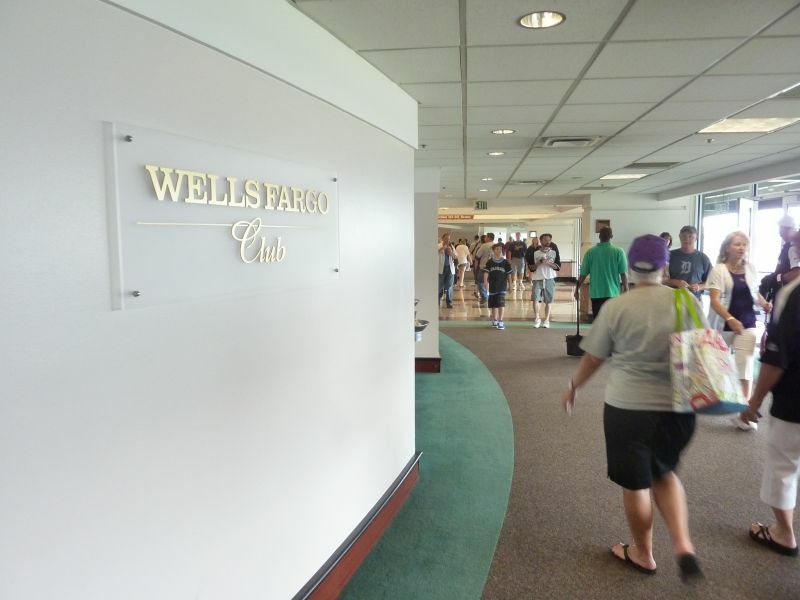 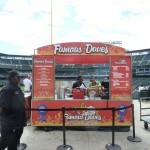 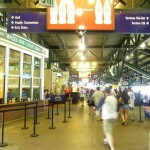 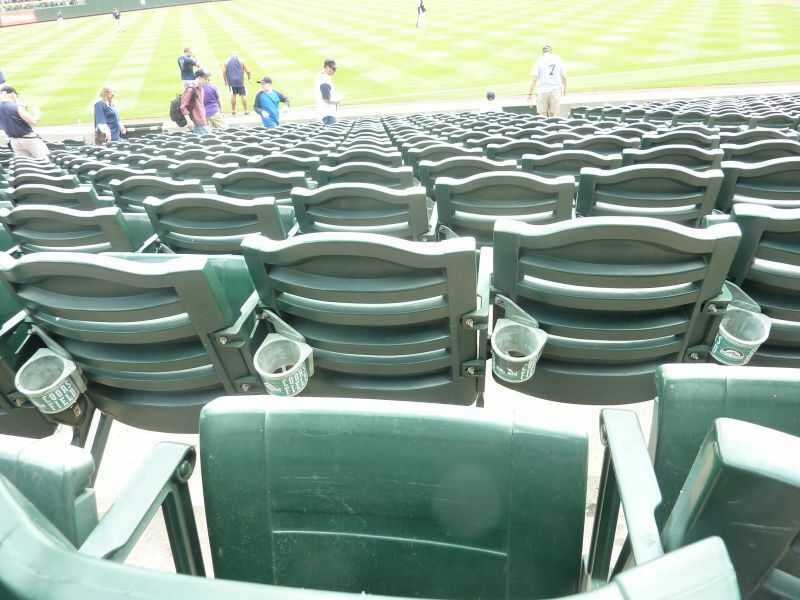 Despite an interior design geared more toward functionality, it has many objective assets that seem to translate into it being the next Wrigley or Fenway, perhaps even more so than Camden Yards or the flashier retro parks. 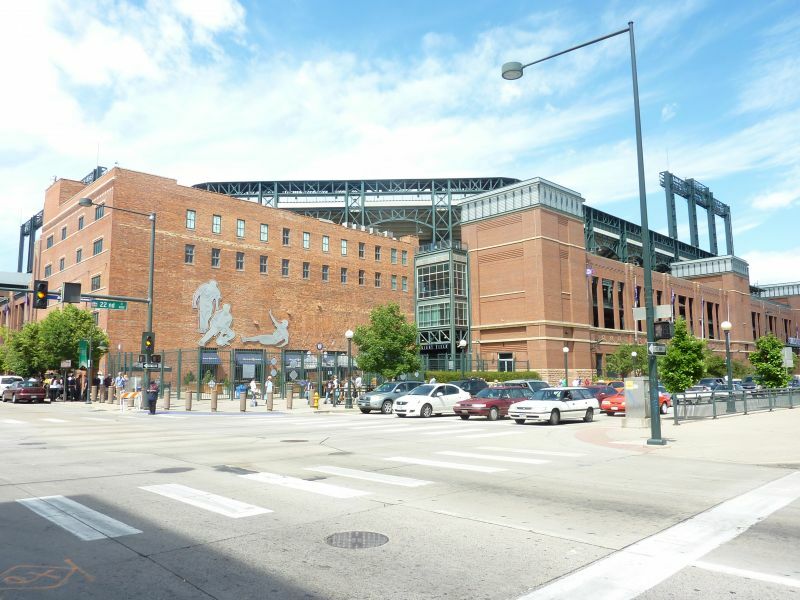 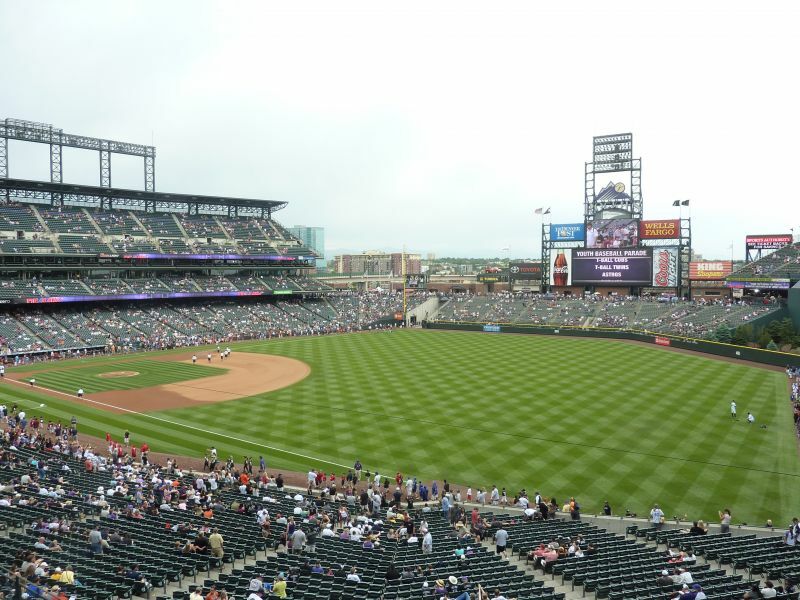 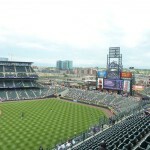 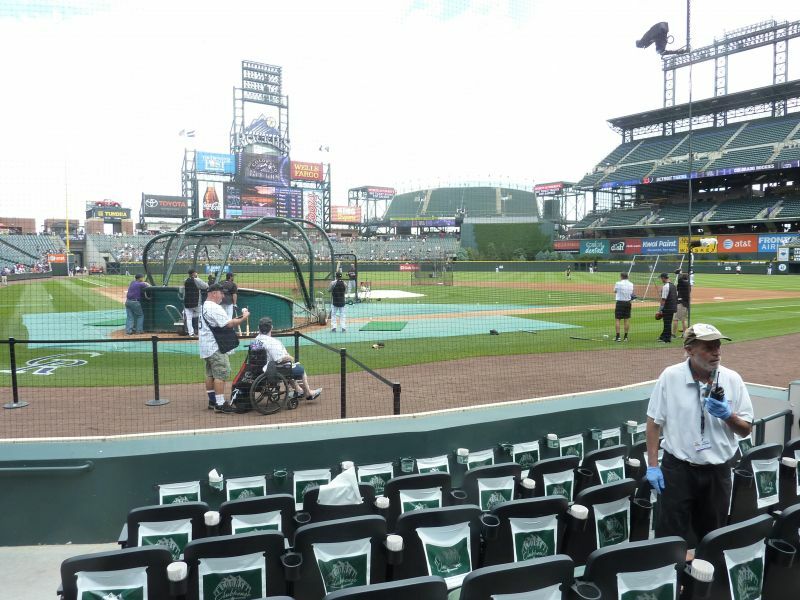 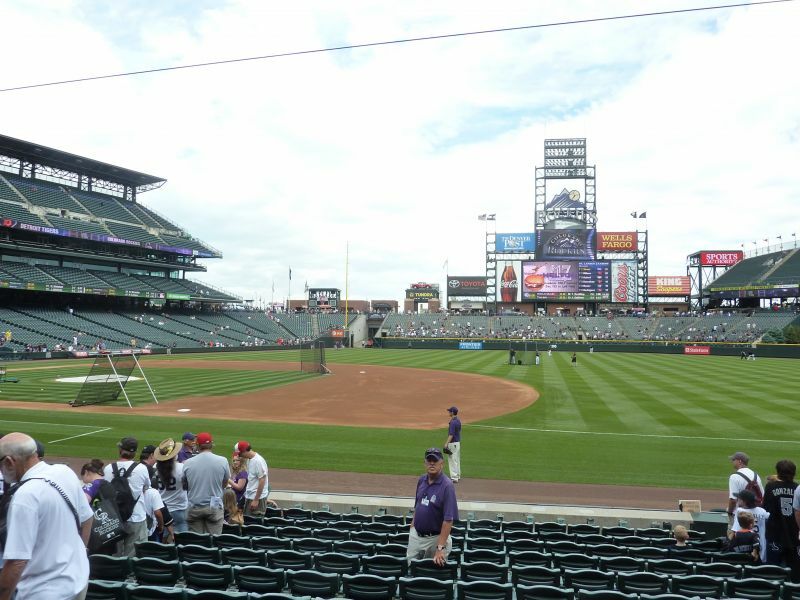 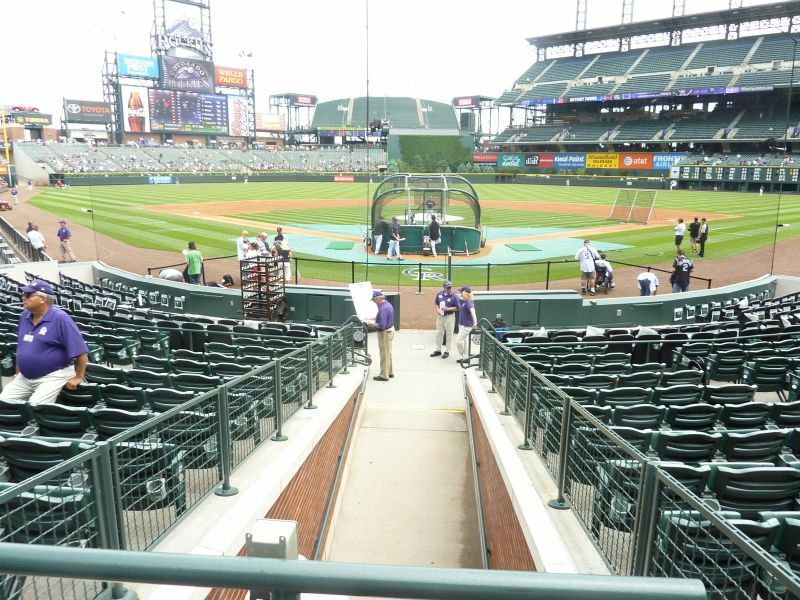 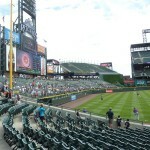 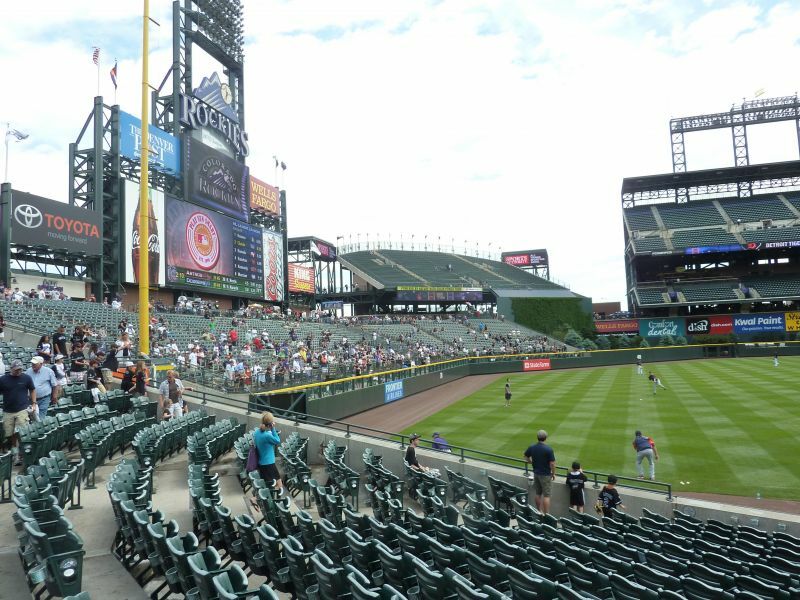 As has been gushed about ad nauseam, Coors Field fits in with its surroundings unlike any other new ballpark. 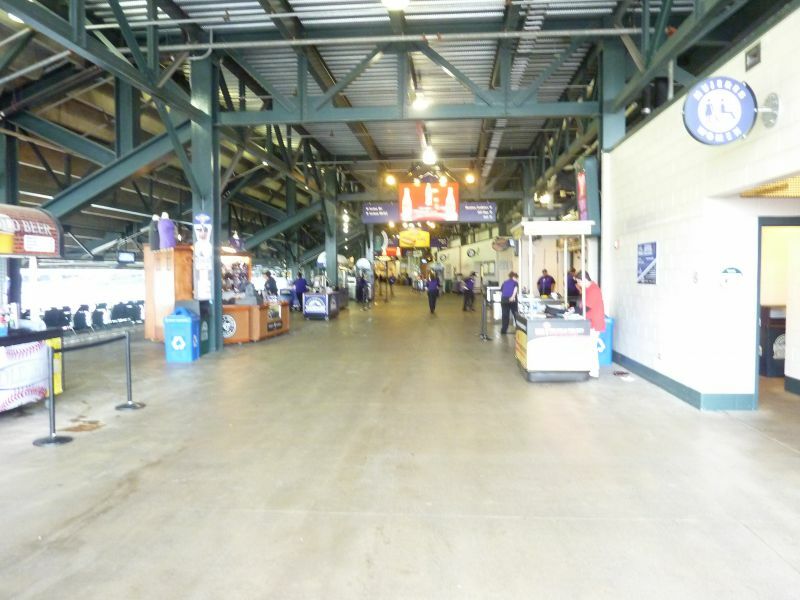 If you never went to one of the classic ballparks, you might romantically imagine how Tiger Stadium or Ebbets Field was part of the community, how by the end, it looked like it had been there forever. 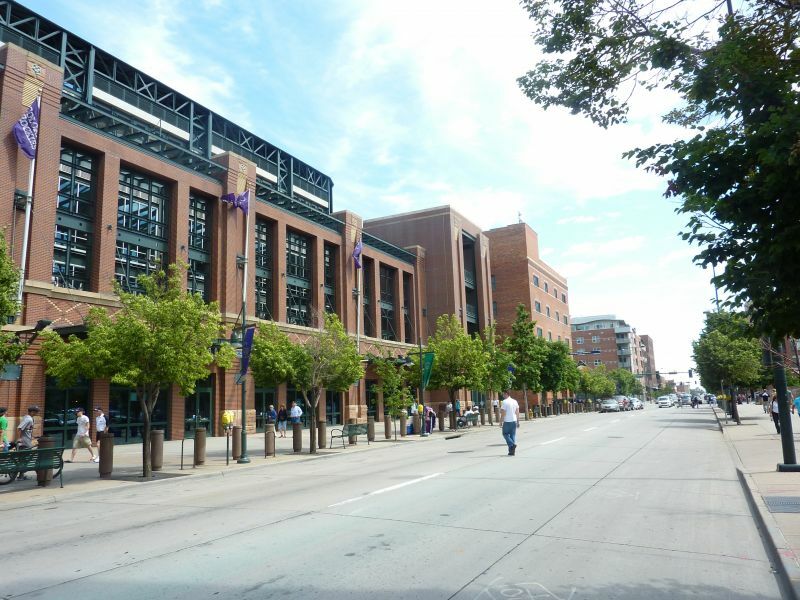 Well, Coors Field, mimicking the turn of the century red brick buildings nearby, feels like Wrigley Field lite. 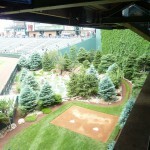 And a Wrigley Field lite that actually looks good on the outside. 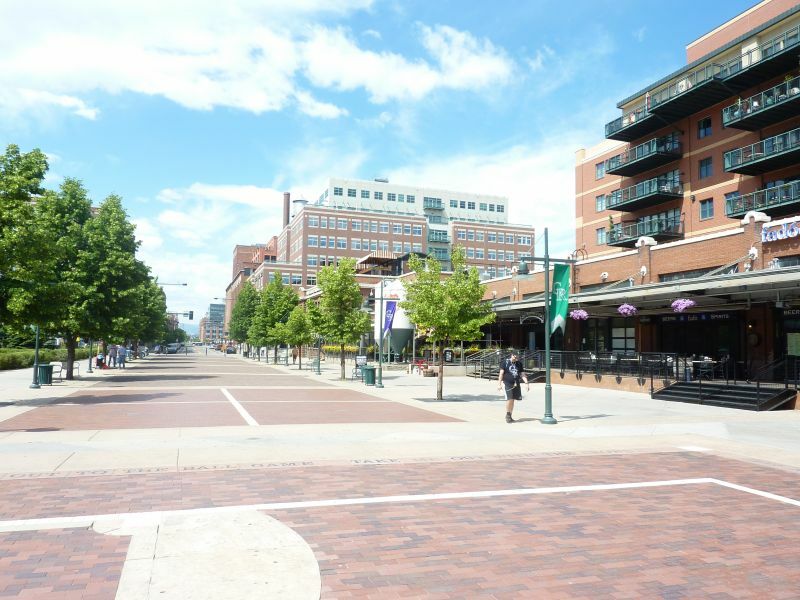 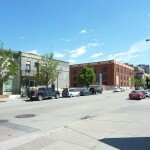 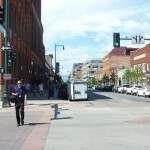 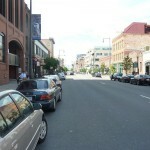 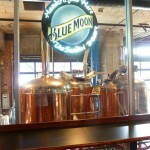 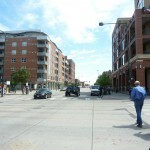 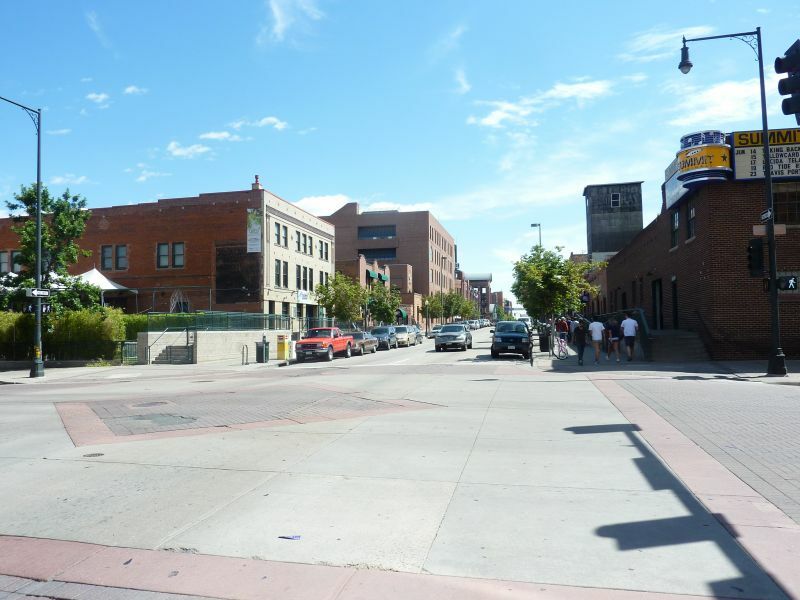 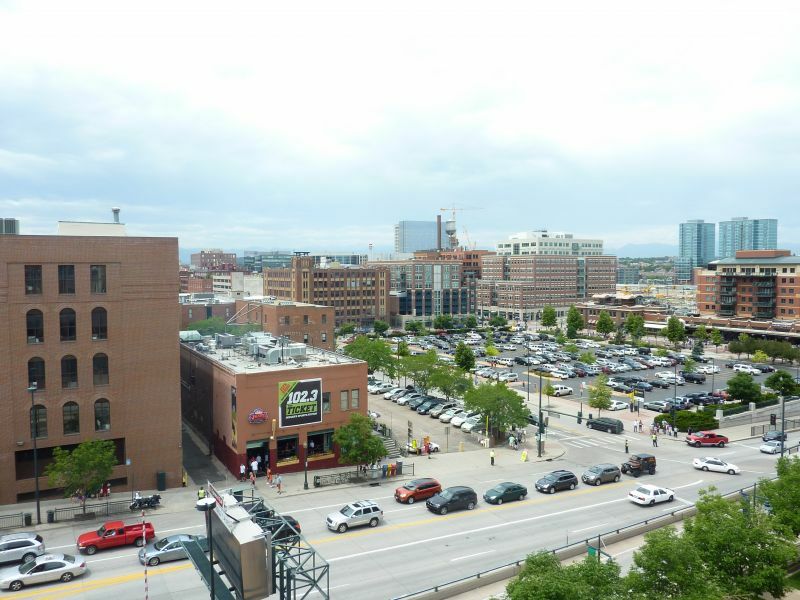 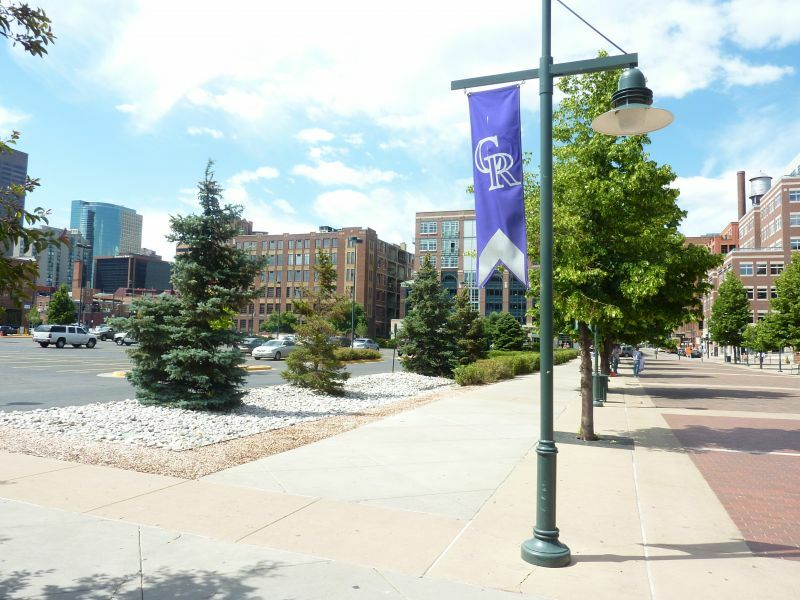 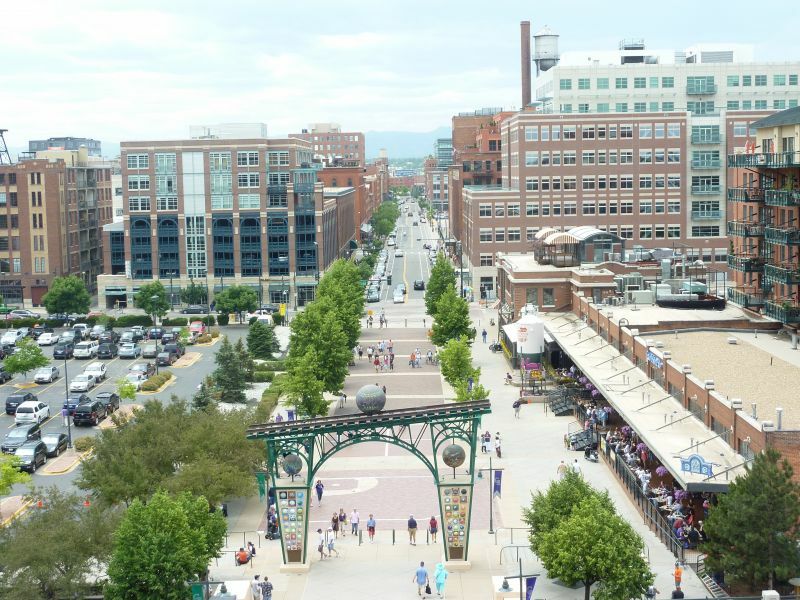 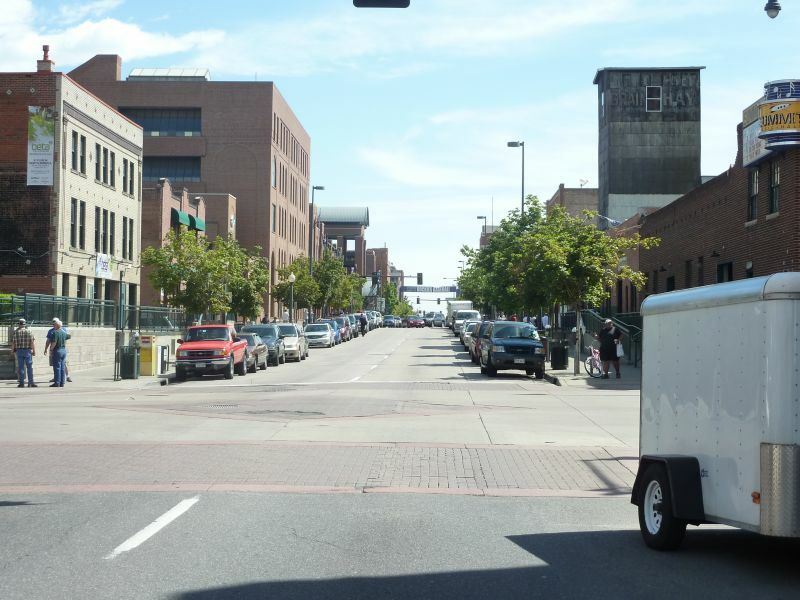 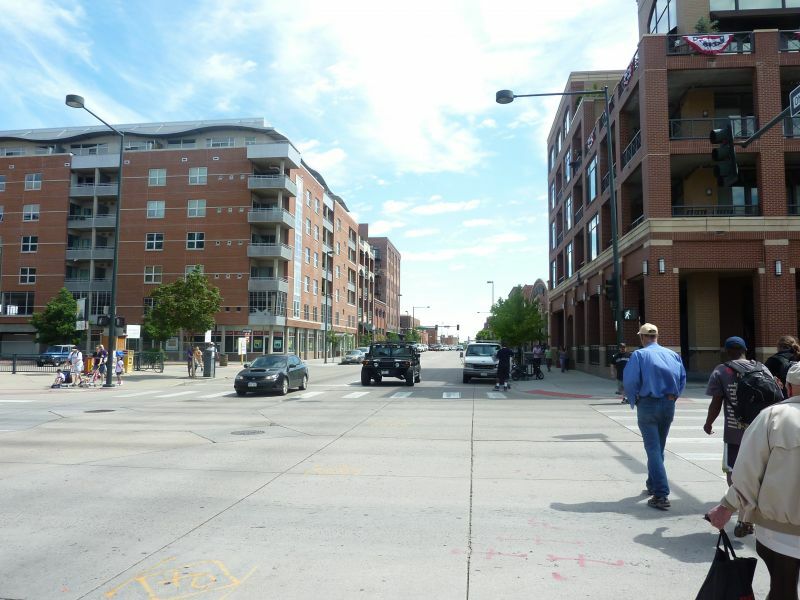 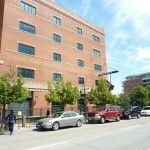 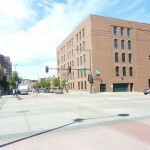 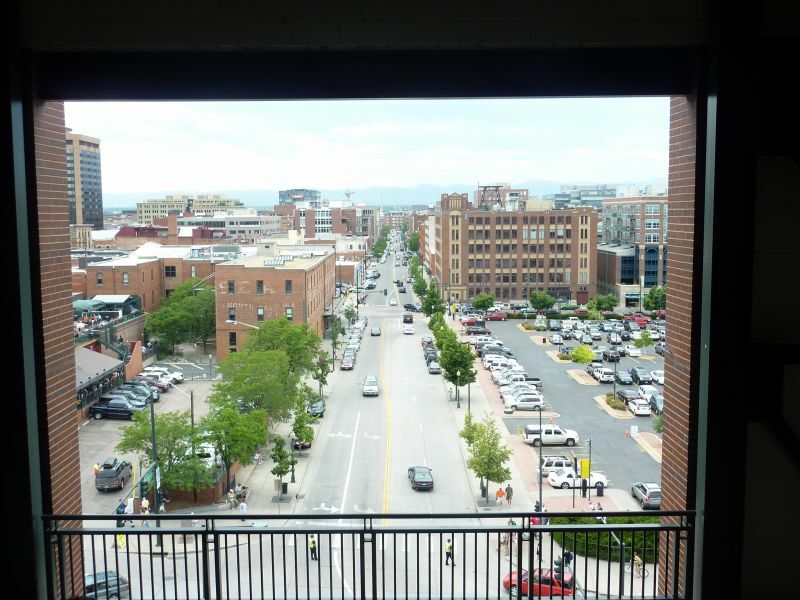 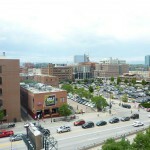 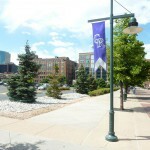 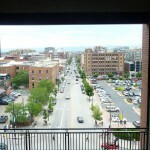 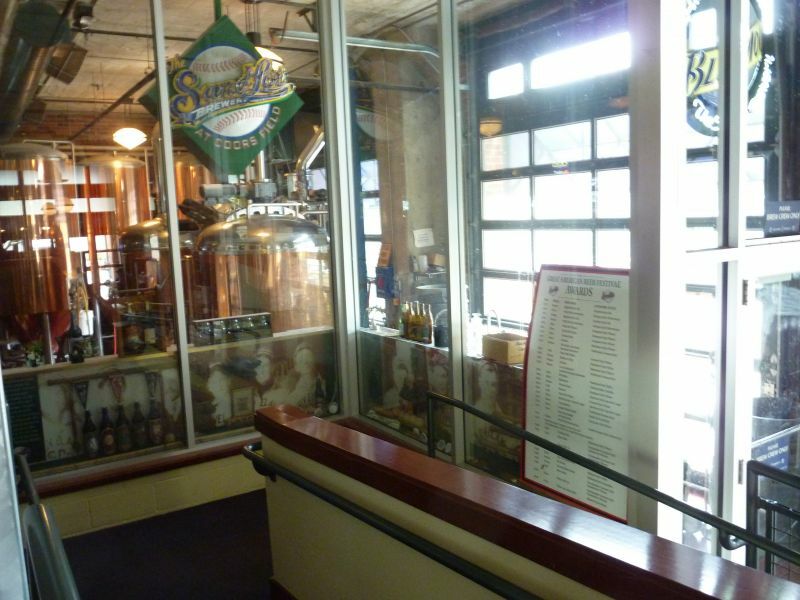 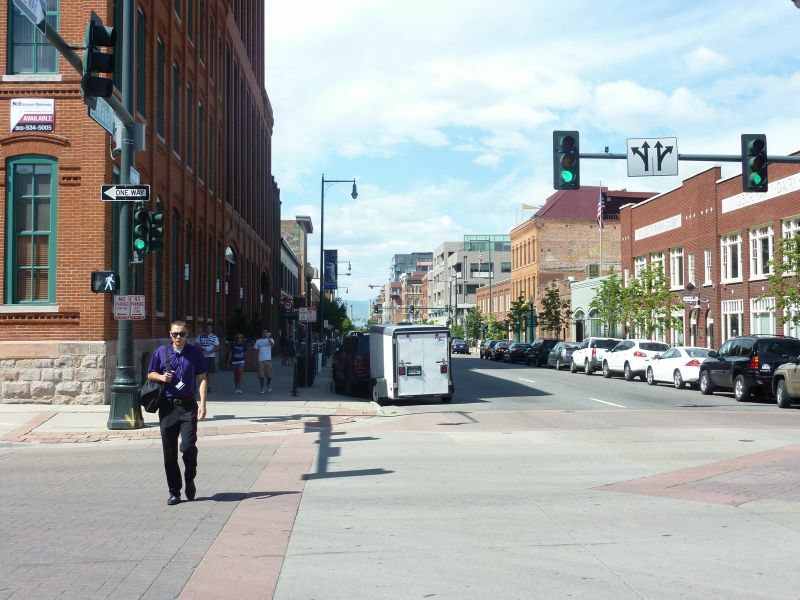 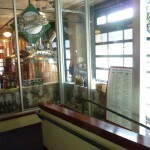 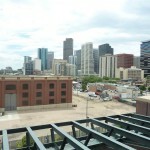 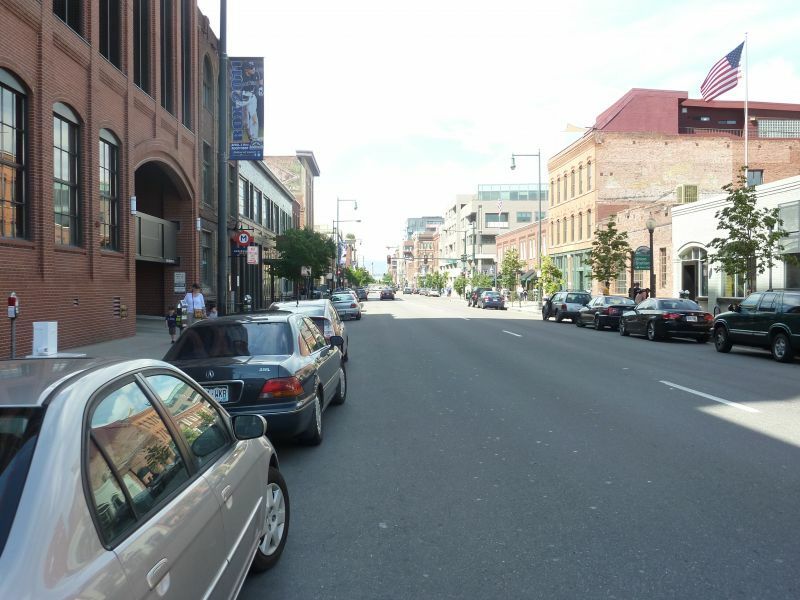 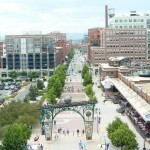 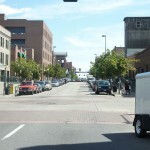 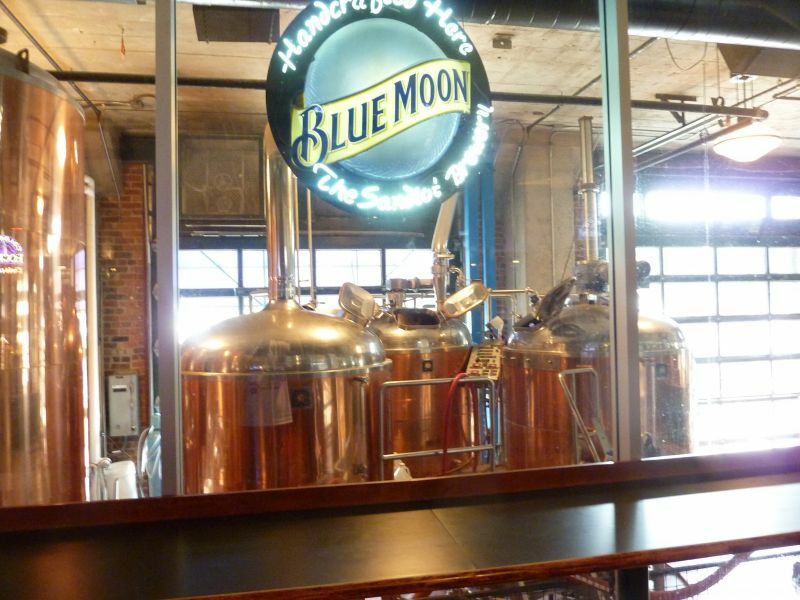 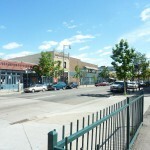 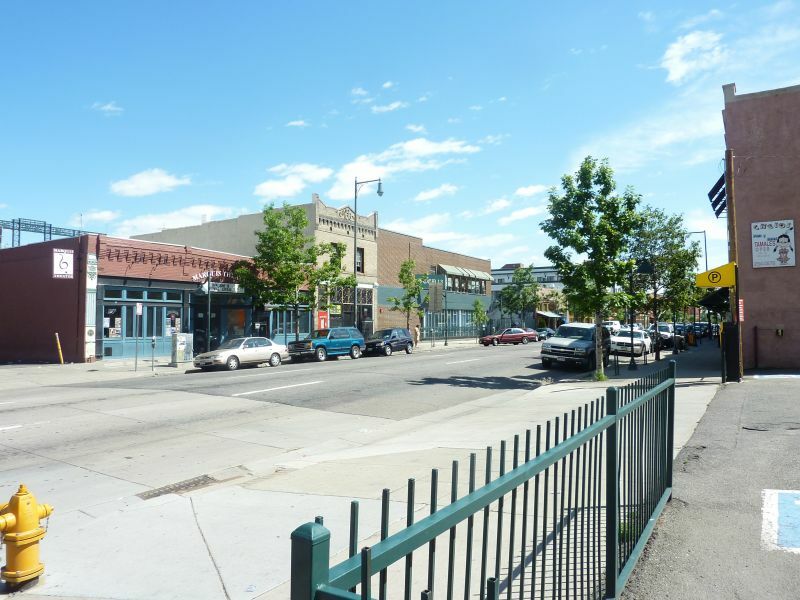 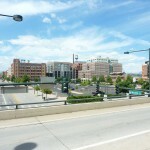 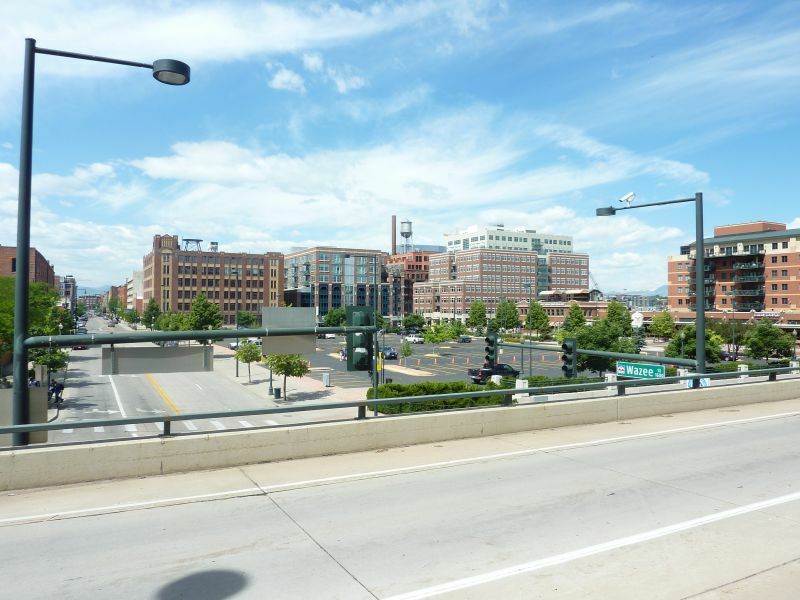 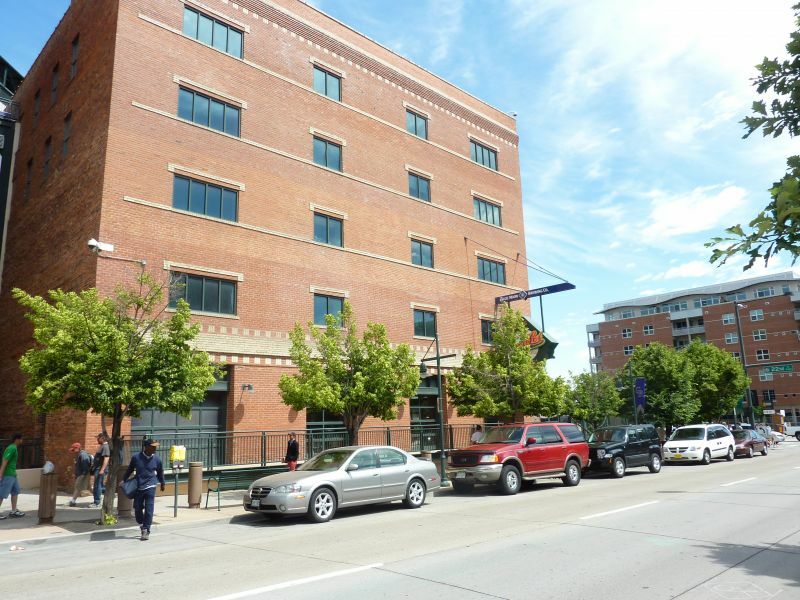 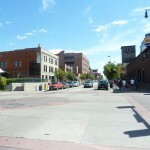 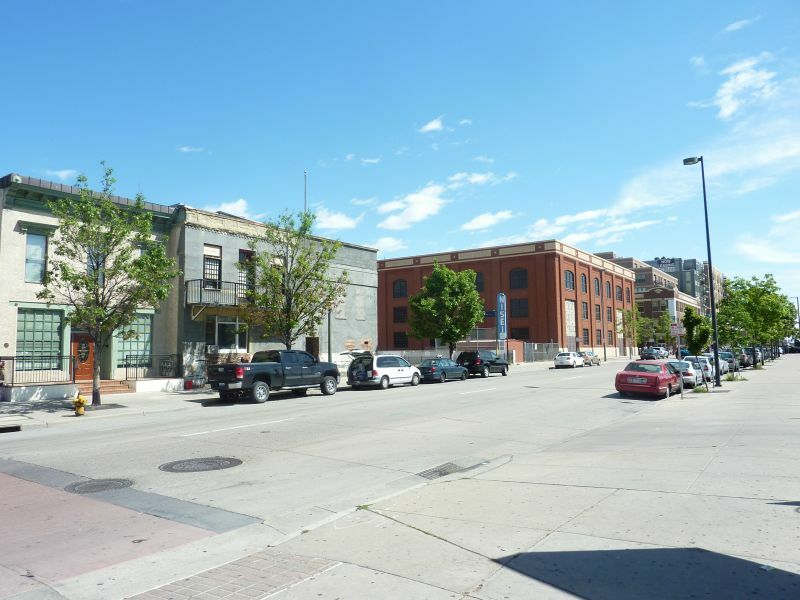 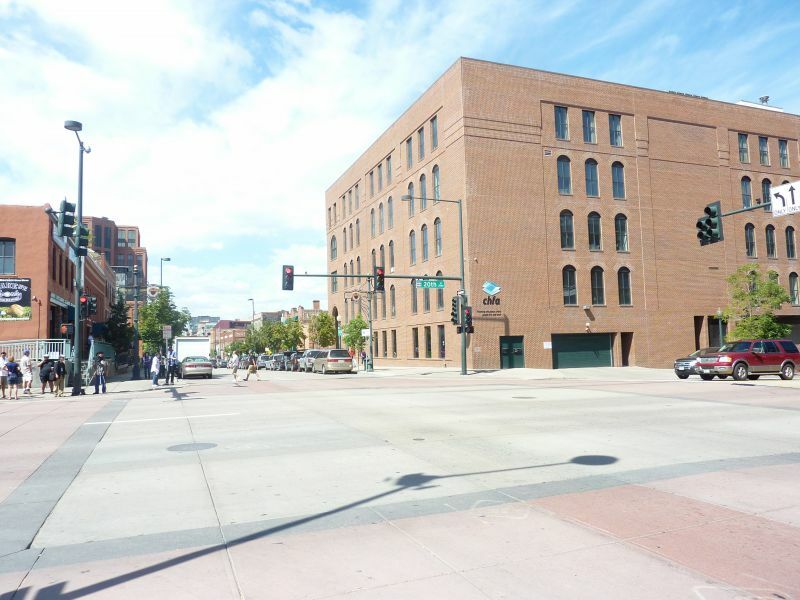 Not only does it visually belong, but LoDo also presents a local scene that equals that of San Diego or Chicago. 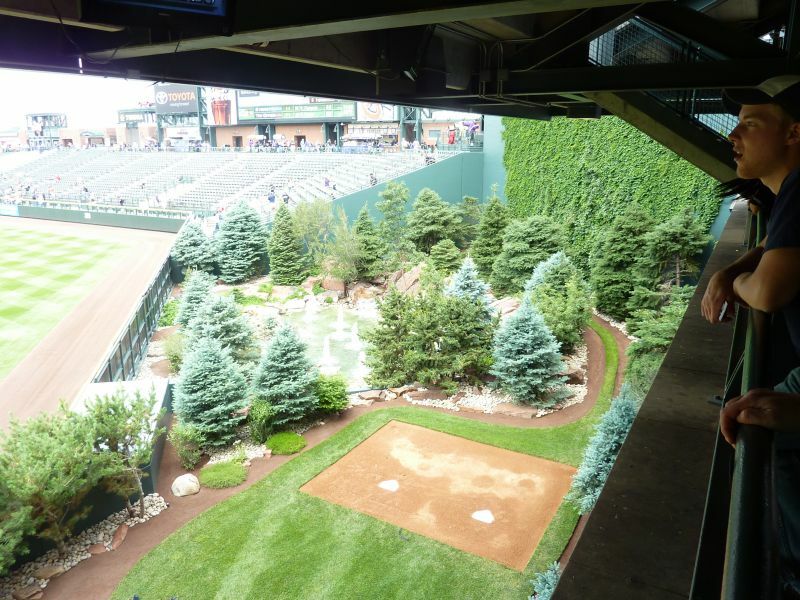 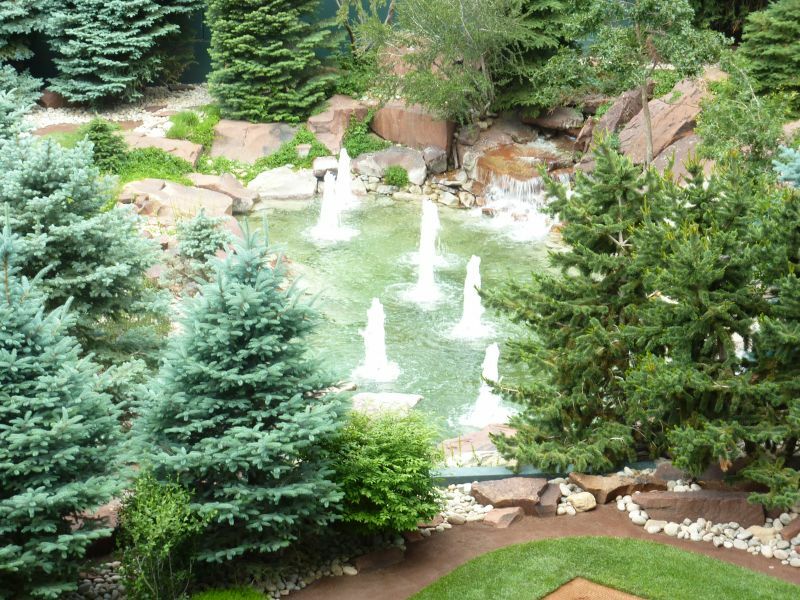 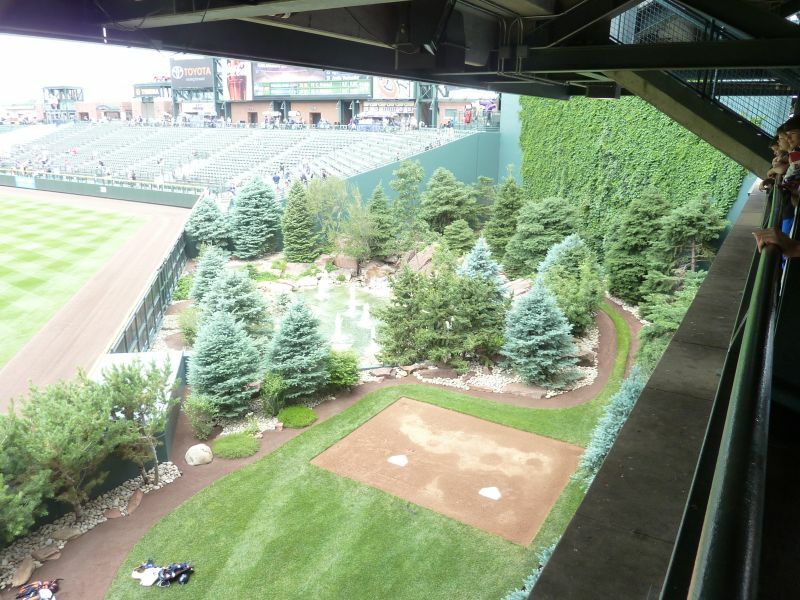 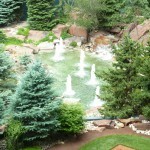 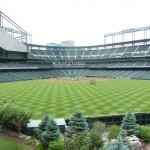 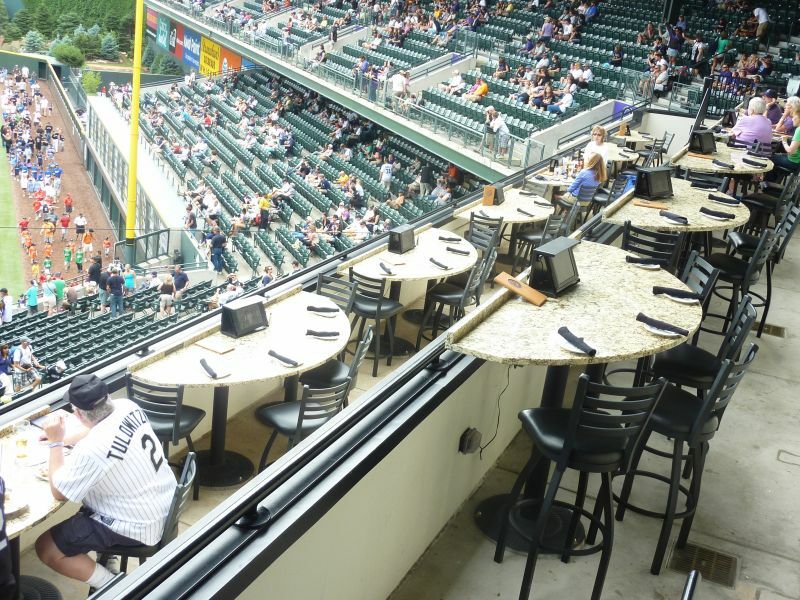 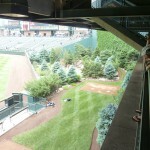 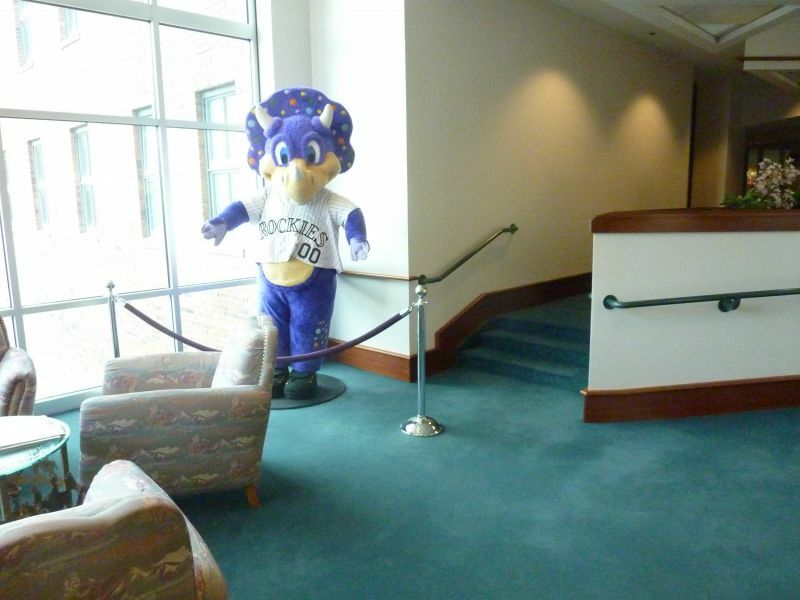 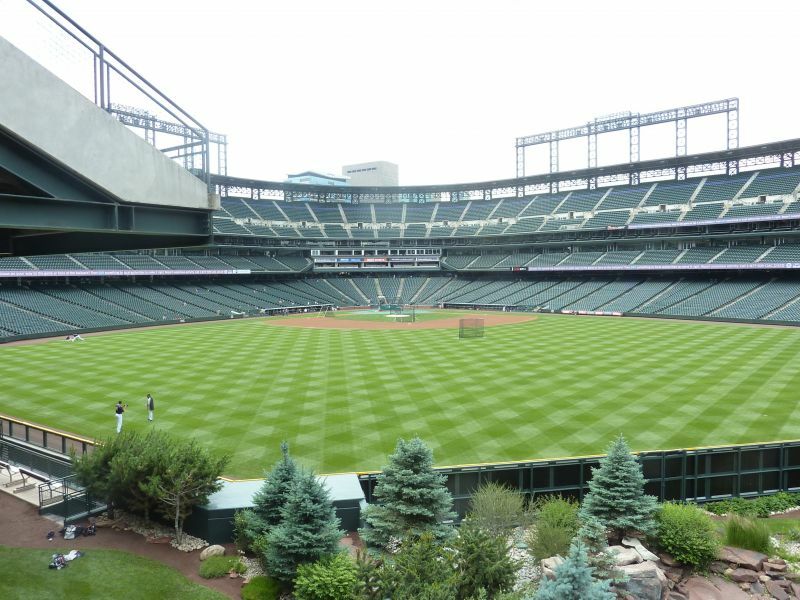 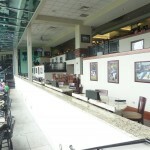 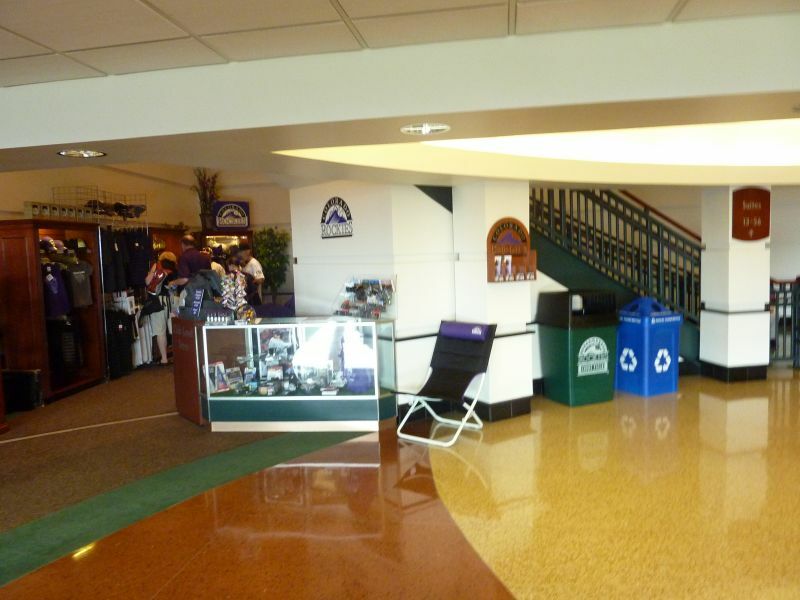 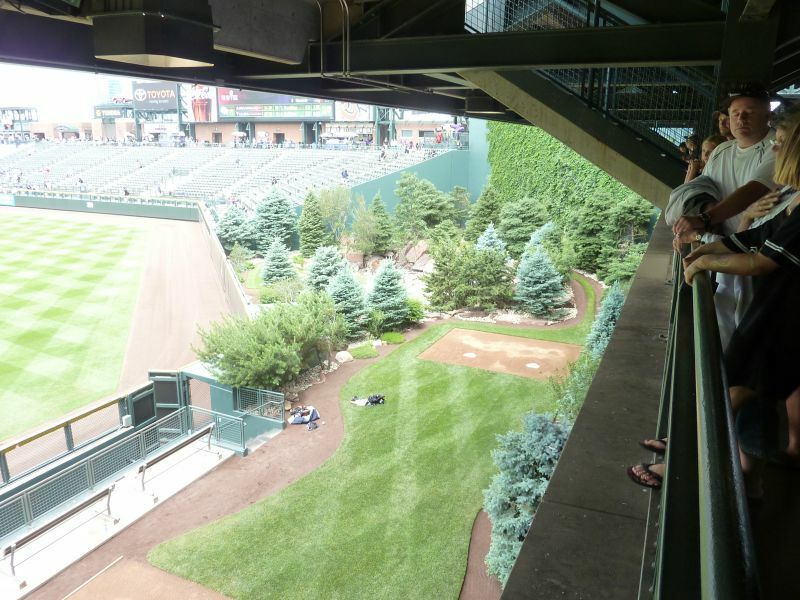 All things considered, the Rockies’ pad might have the best “setting” in the majors. 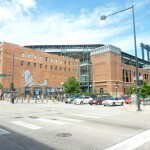 Coors Field fits in with its surroundings like a glove. 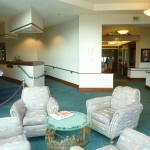 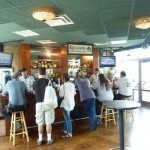 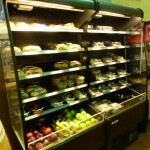 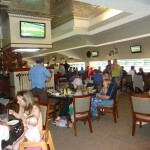 You couple this timeless feel and great local scene with a gorgeous exterior, and you have the makings an automatic gem. 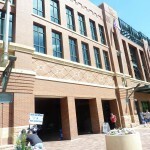 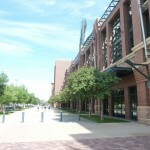 I’ve often expressed a low tolerance towards derivative brick facades, but this one is probably the best in baseball. 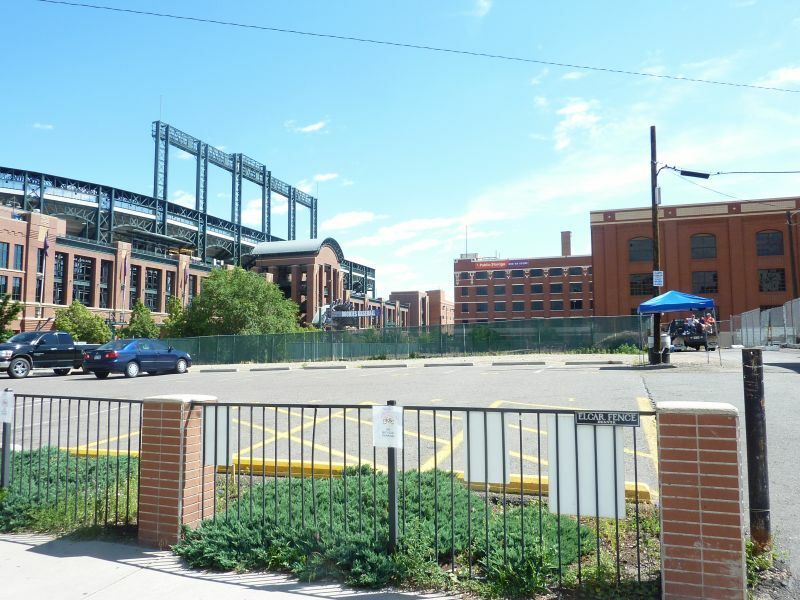 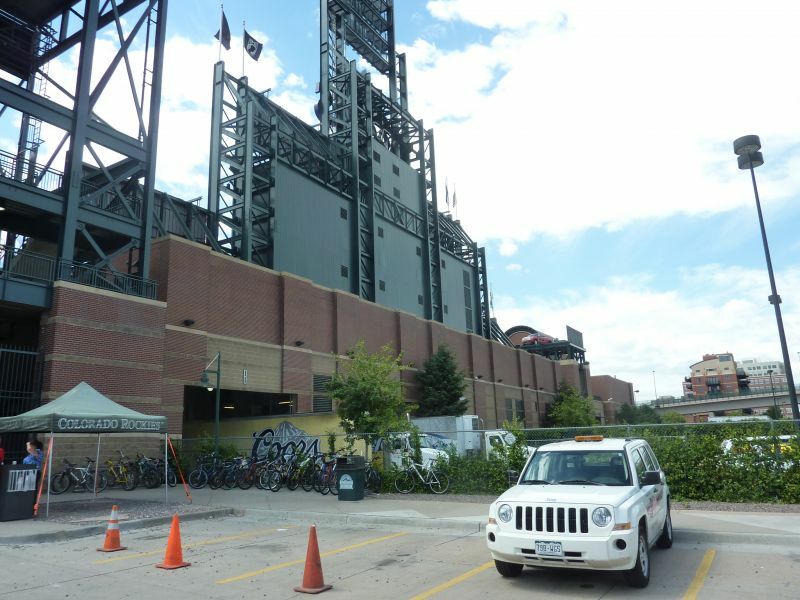 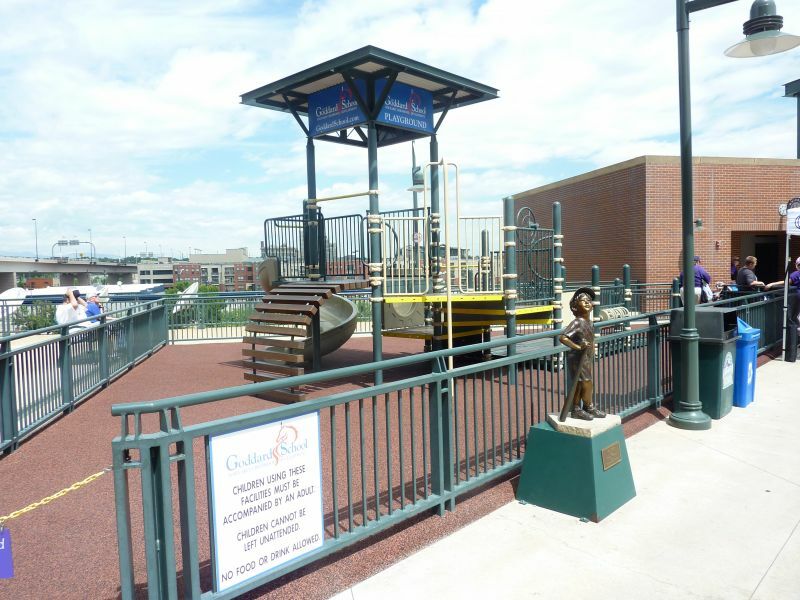 Another reason Coors Field seems to have the upper hand is that it was the first retro park to functionally improve on what Camden had done. 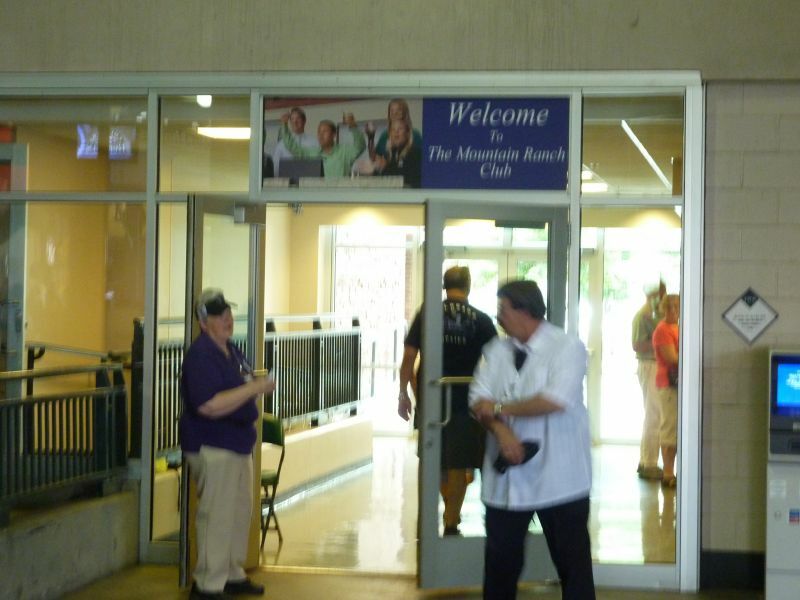 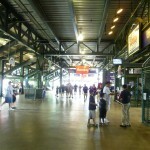 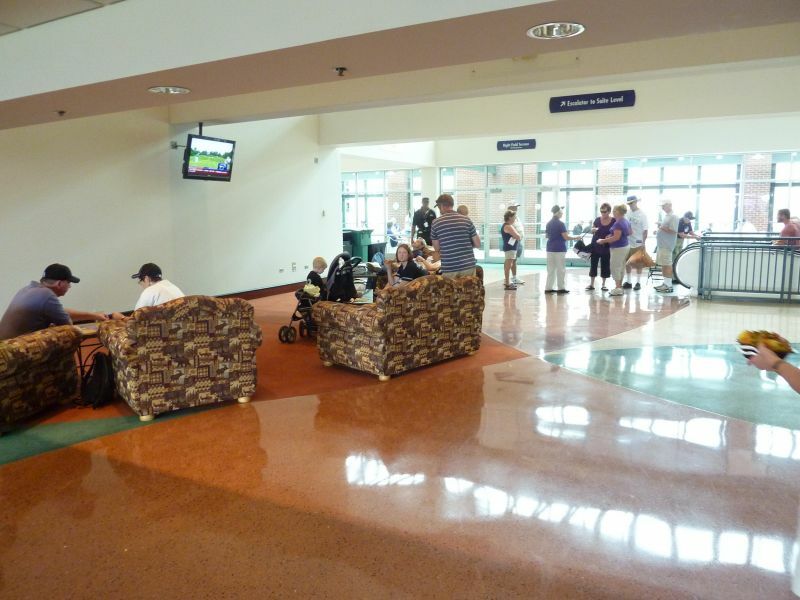 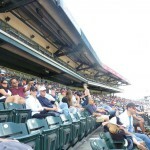 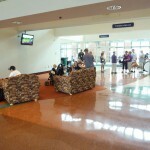 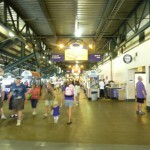 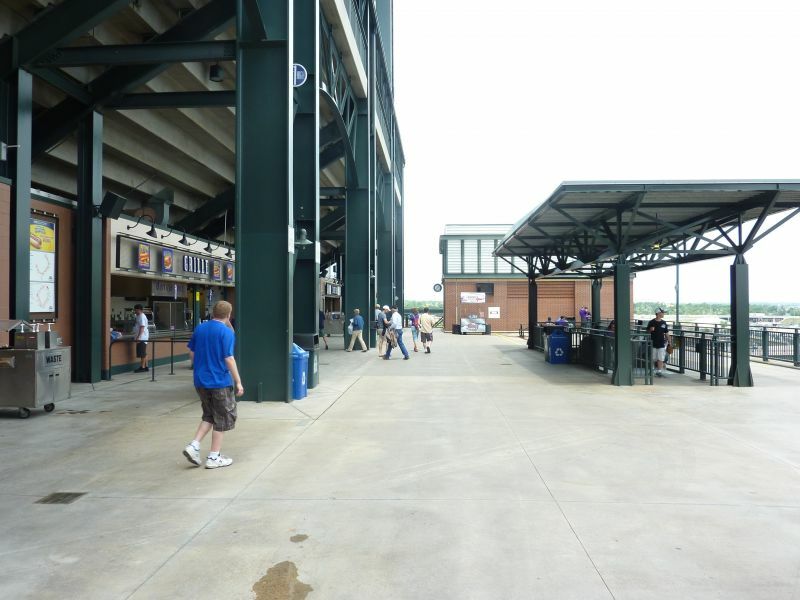 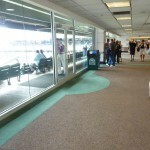 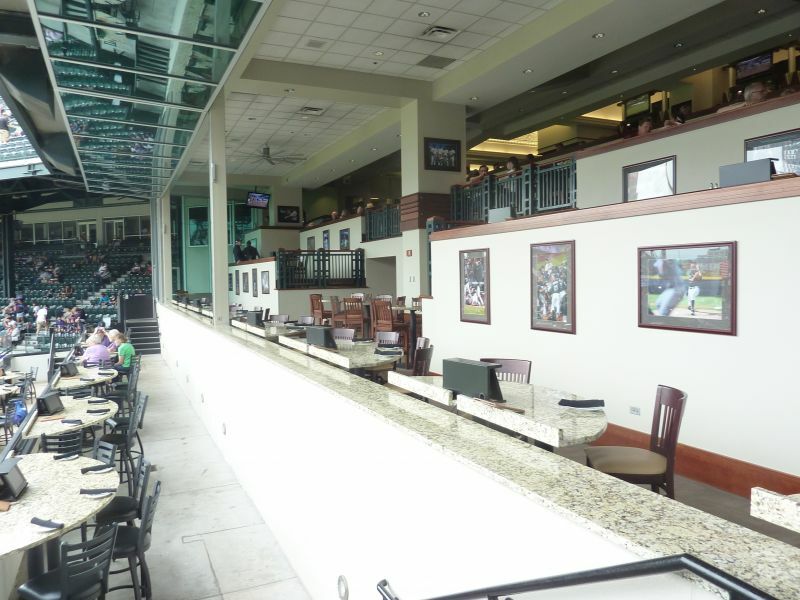 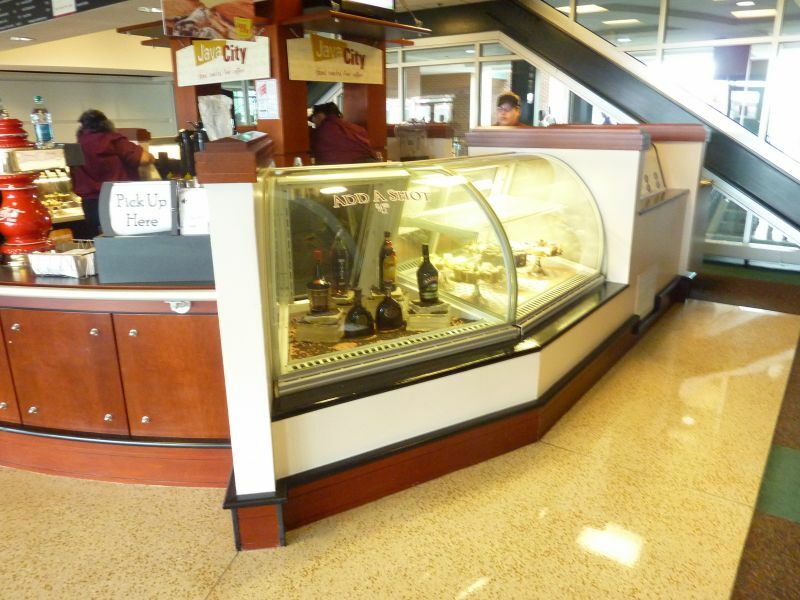 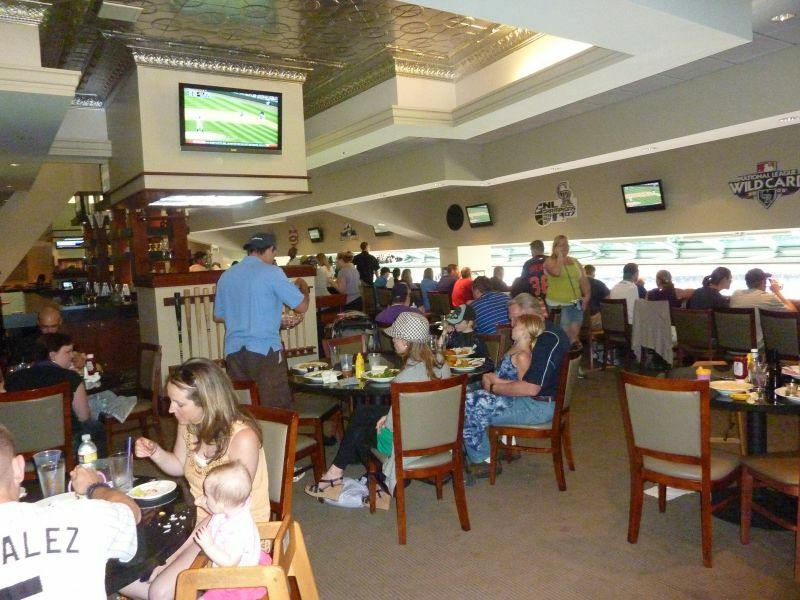 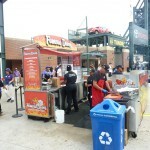 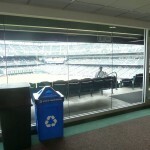 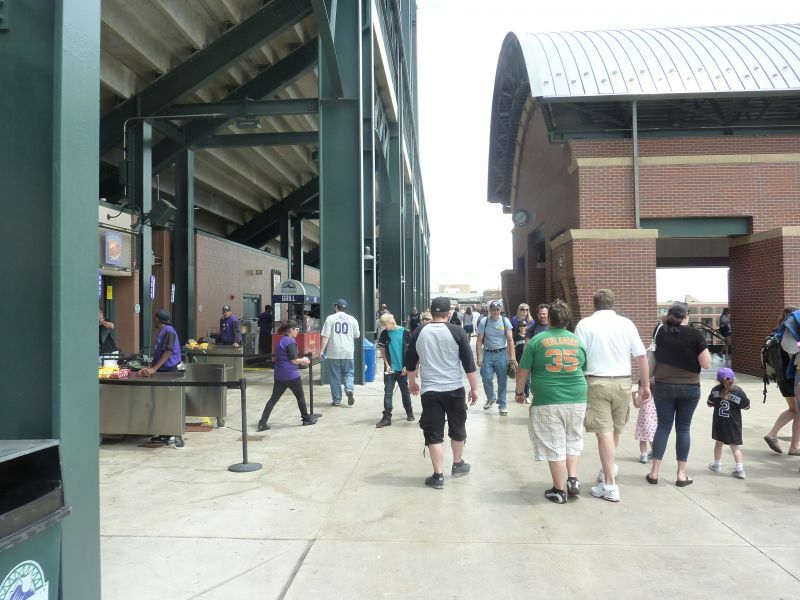 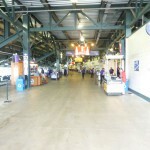 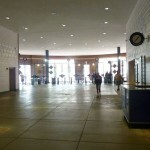 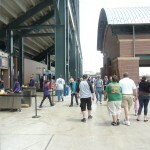 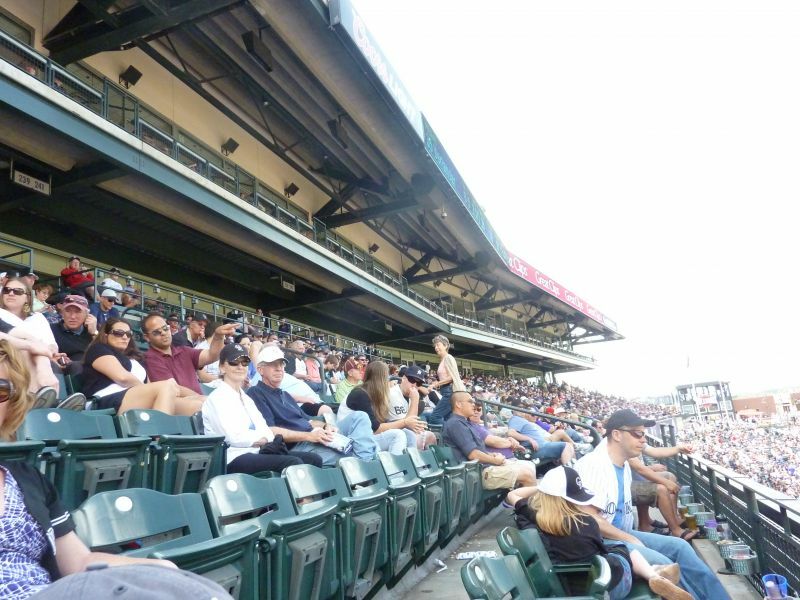 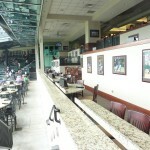 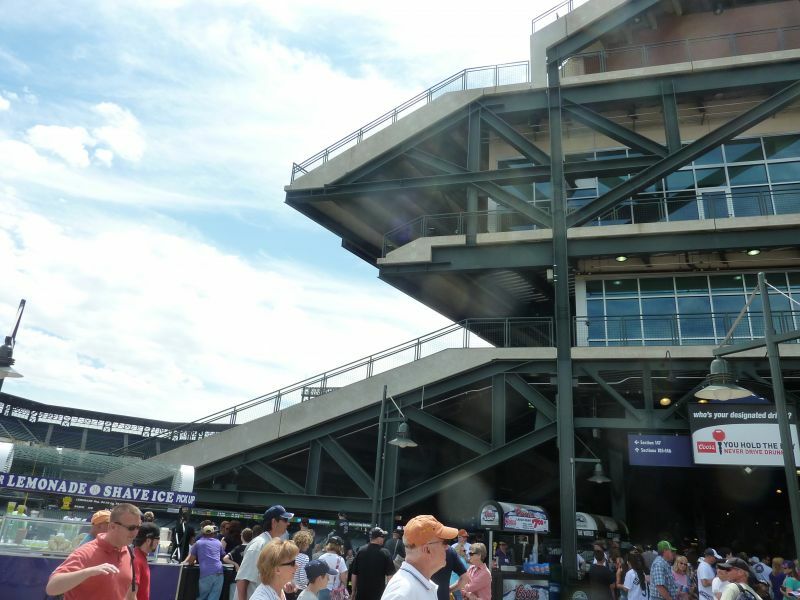 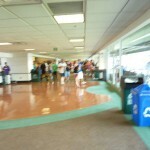 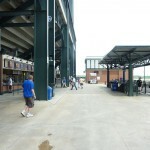 Unlike Progressive and Camden, we have good sightlines and an open, 360-degree concourse with great visibility. 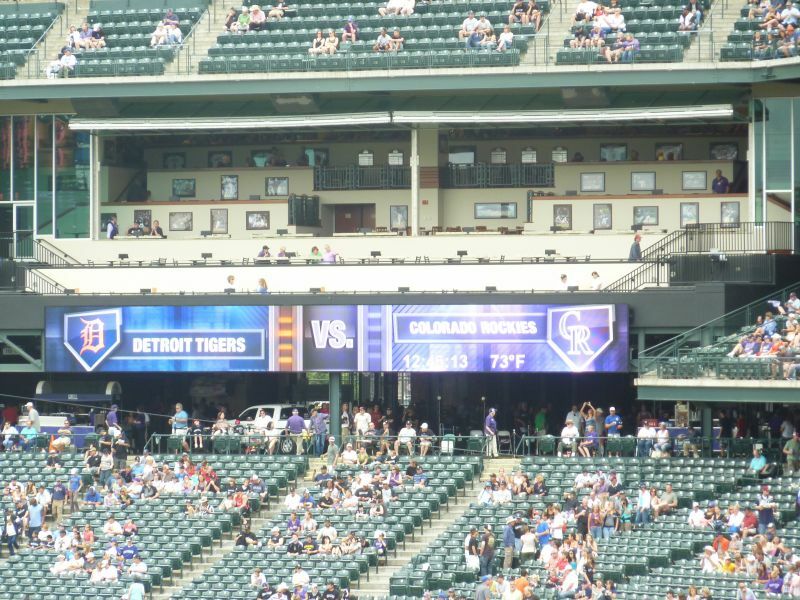 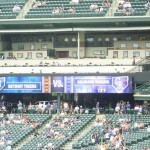 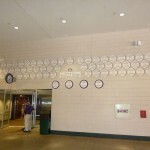 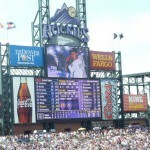 It seems to me that Coors Field really benefited from great timing. 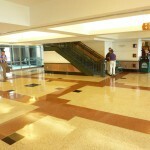 Derived from authenticity in 1995, it’s retro before the aesthetic became blasé, free from contrivances or gimmicks. 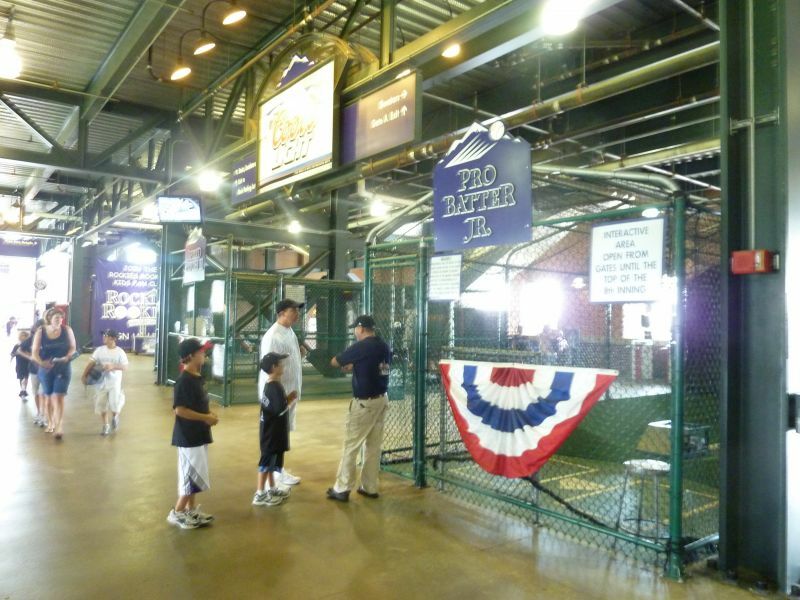 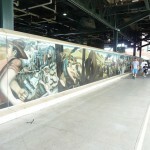 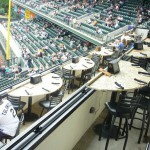 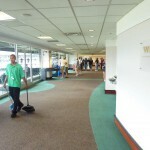 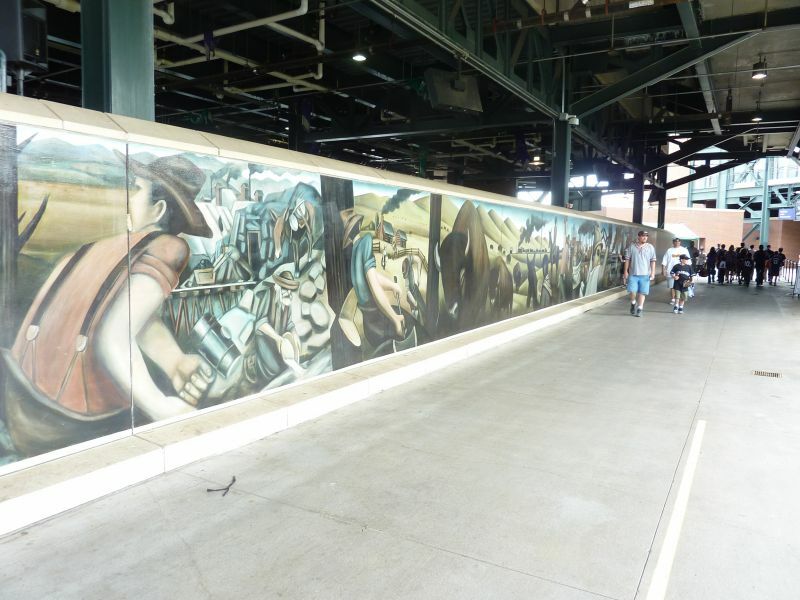 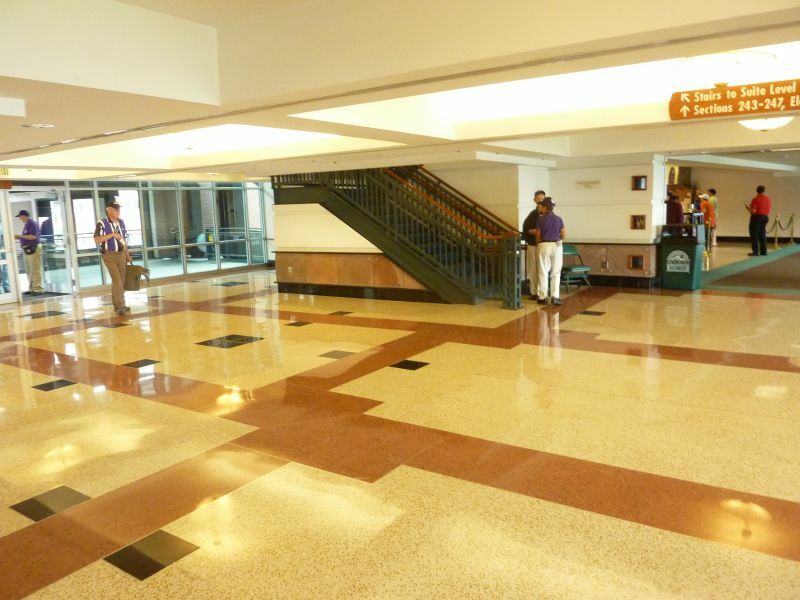 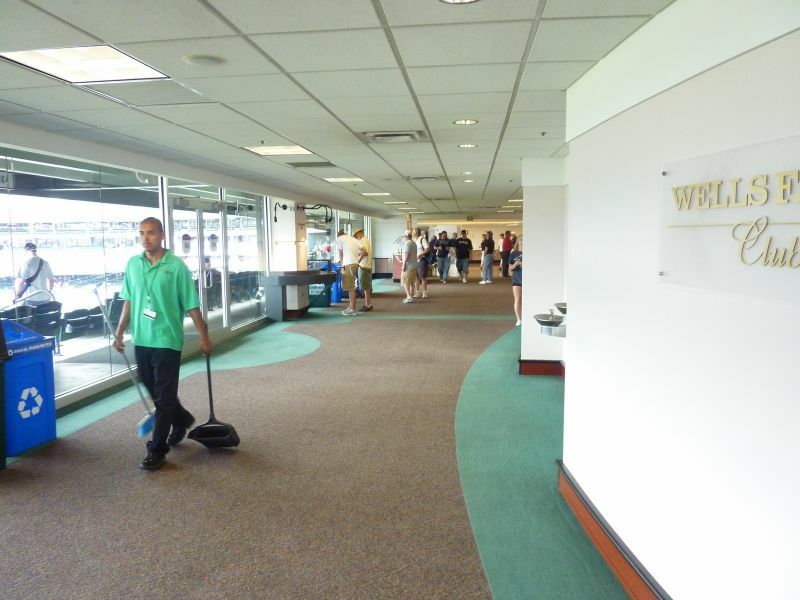 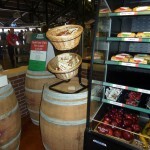 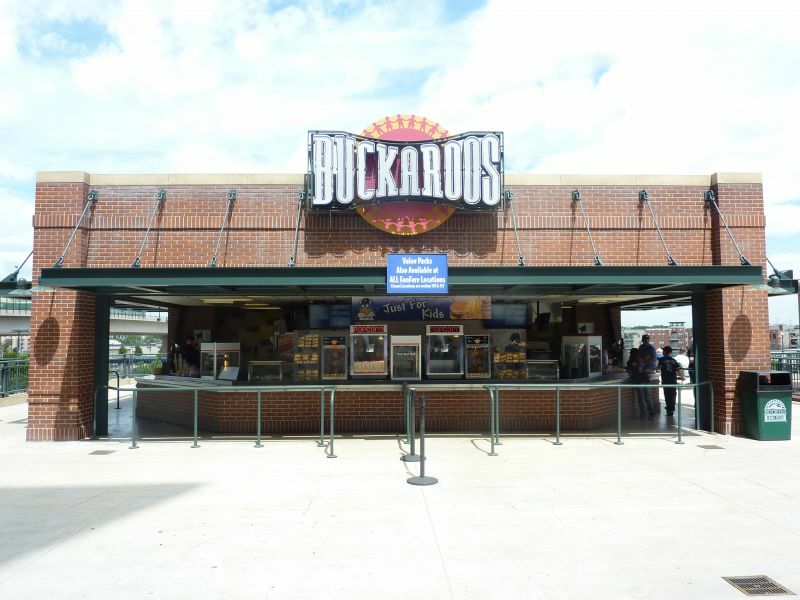 But at the same time, they fixed many of the functional flaws seen in Camden Yards and Progressive Field and established a template for the modern day retro park.